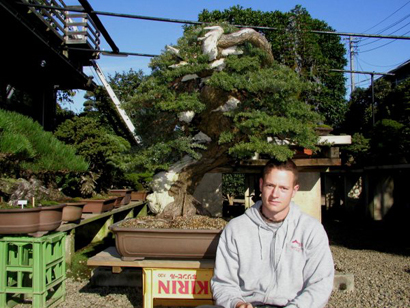 The interest in Ryan has grown considerably since he finished his apprenticeship in 2010. 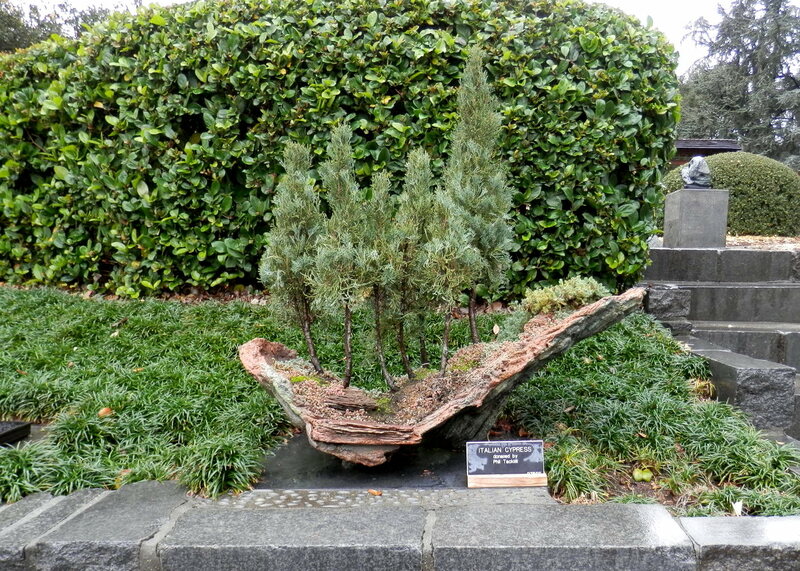 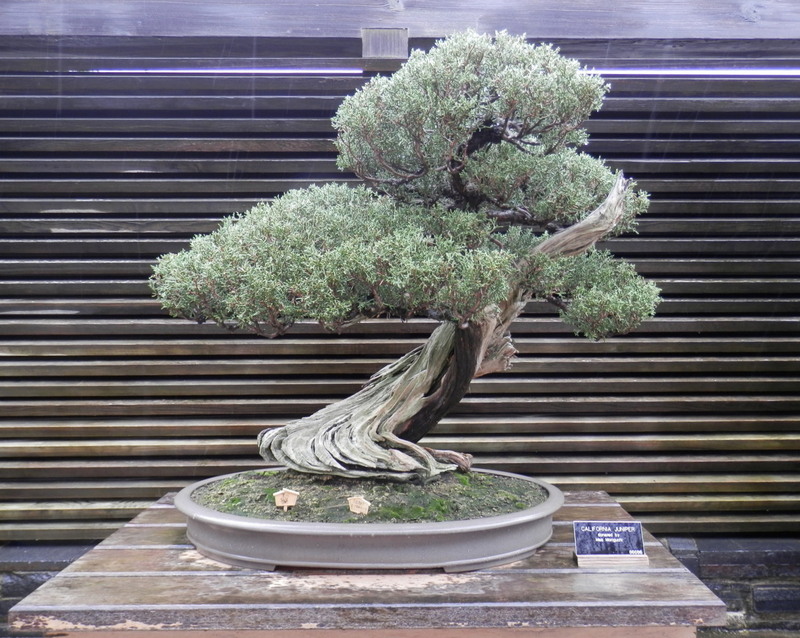 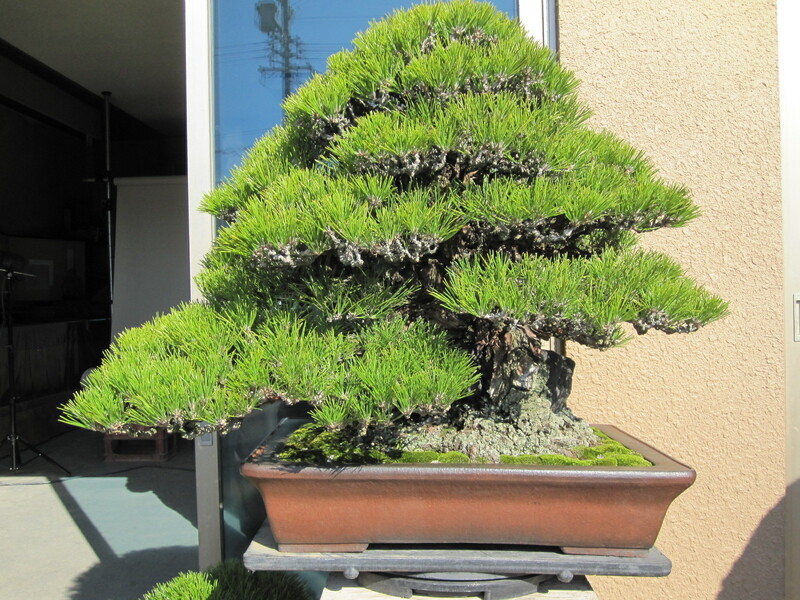 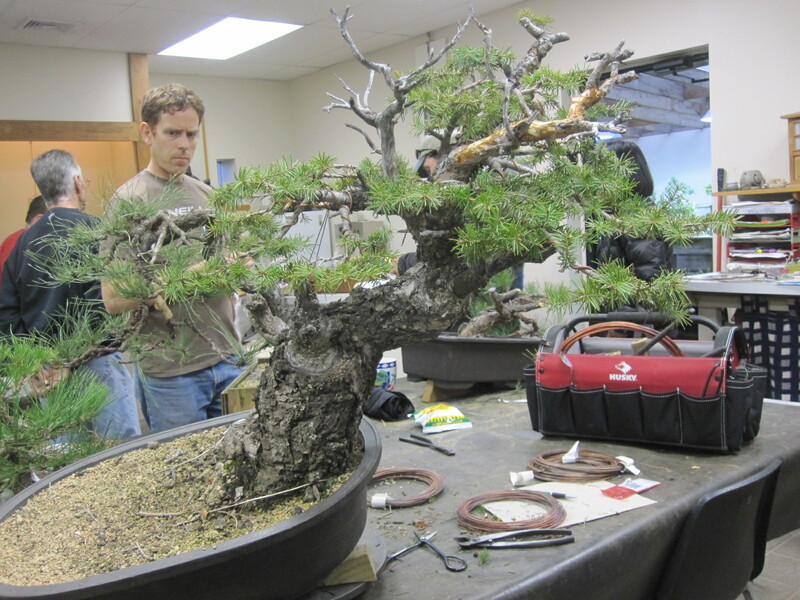 He has become a headliner at European and U.S. bonsai shows and has also started his own garden, International Bonsai Mirai, where he is developing some of the nicest collected material I’ve seen in a long time. 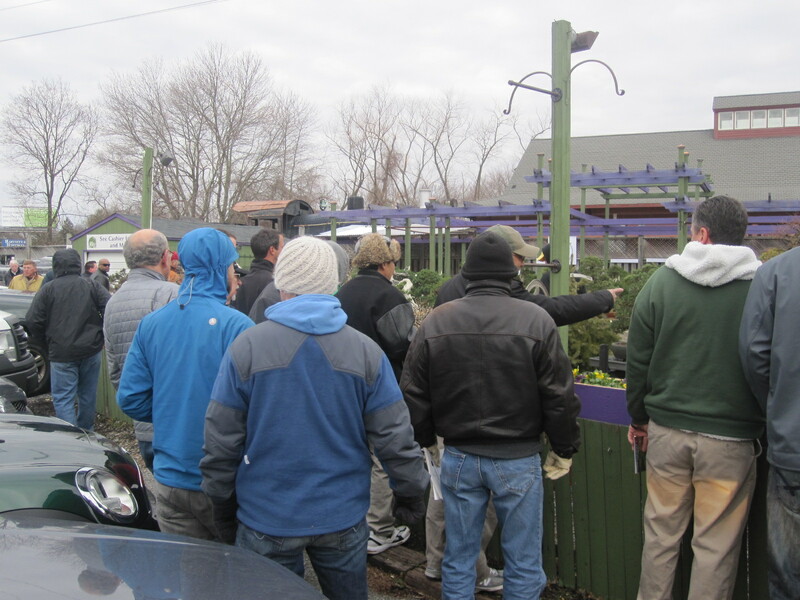 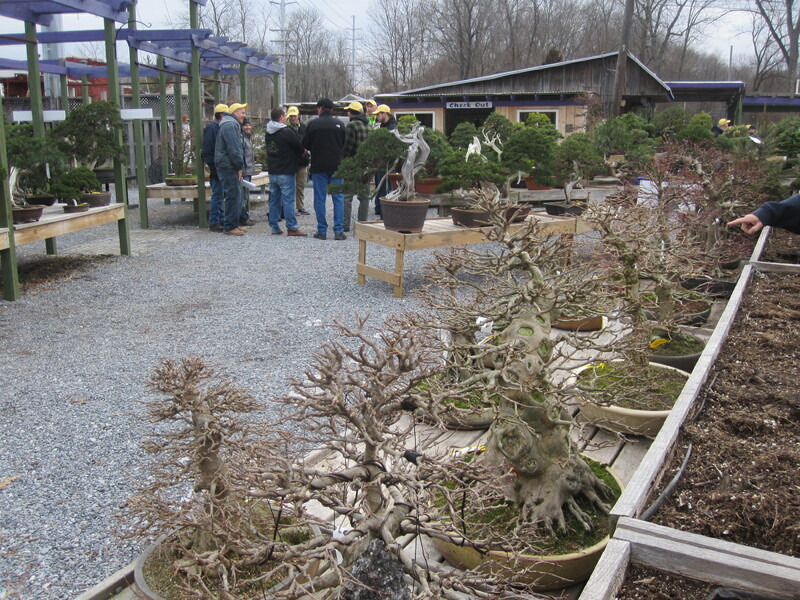 This interest has also created a demand for him as a teacher which is why a few bonsai buddies and I traveled from DC to Harrisburg, PA, to attend a design workshop with Ryan at Nature’s Way Nursery. 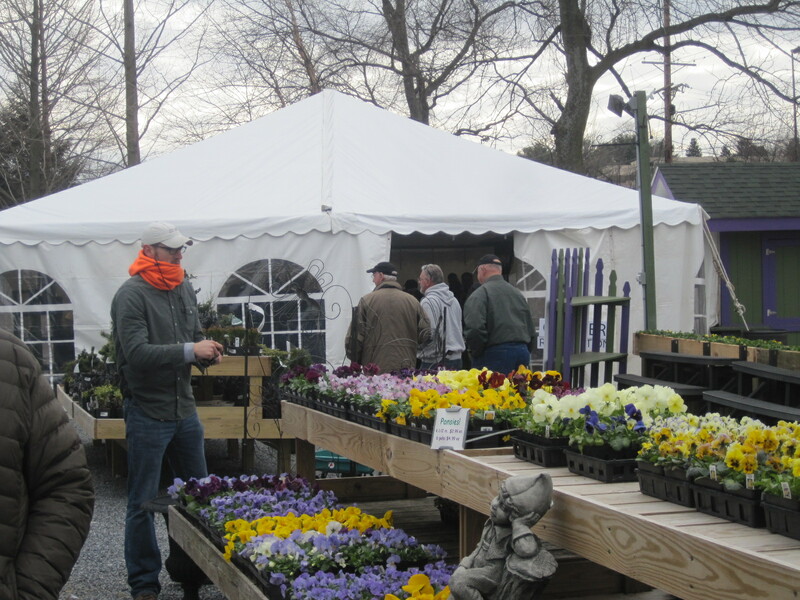 Nature’s Way Nursery is owned and operated by Jim Doyle and his wife Mary Kay. 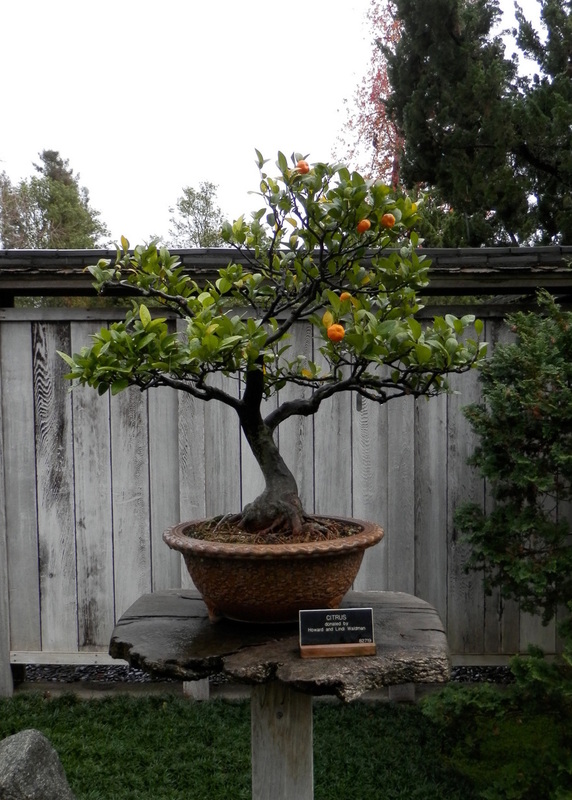 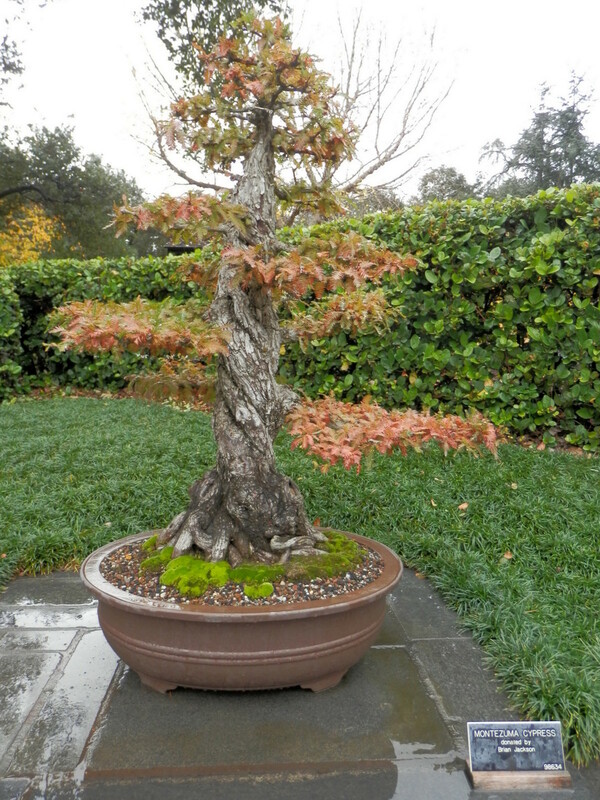 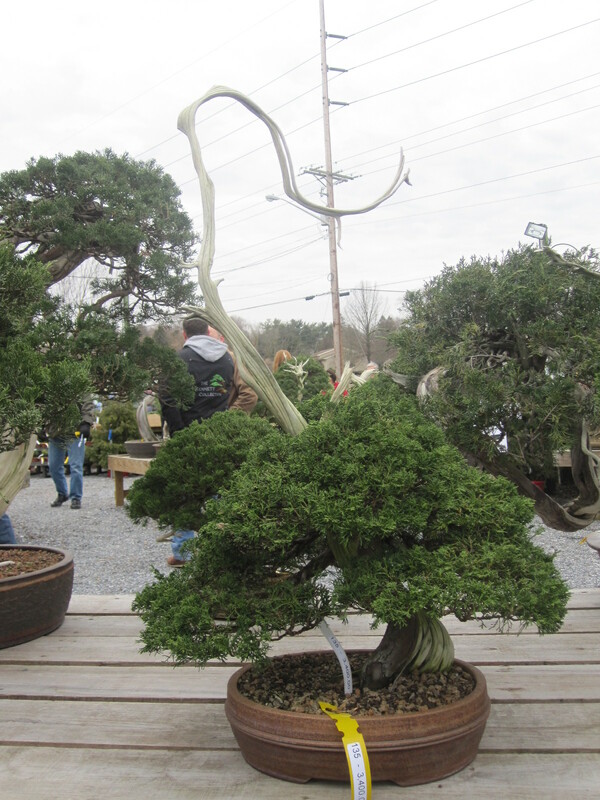 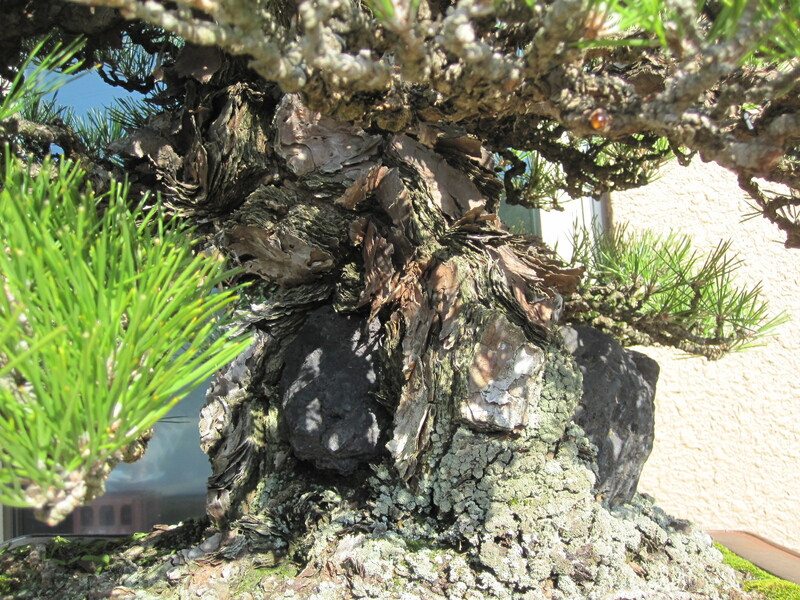 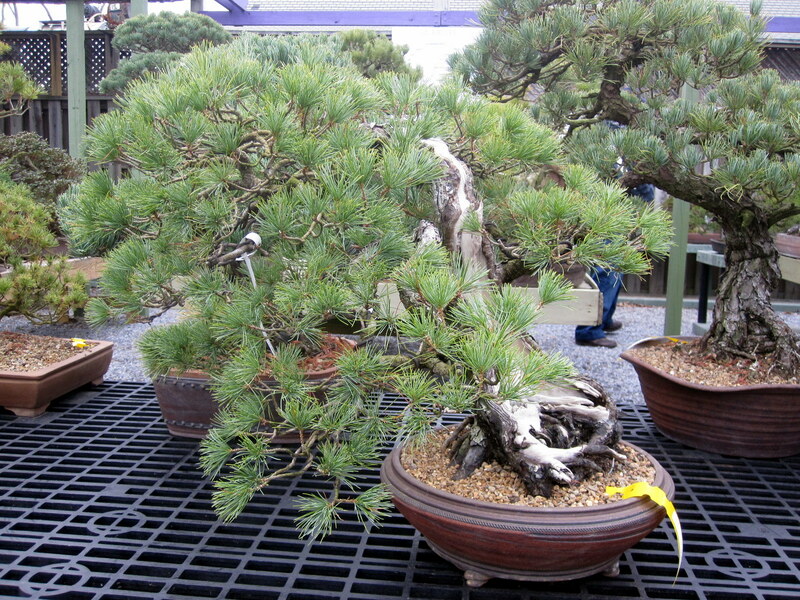 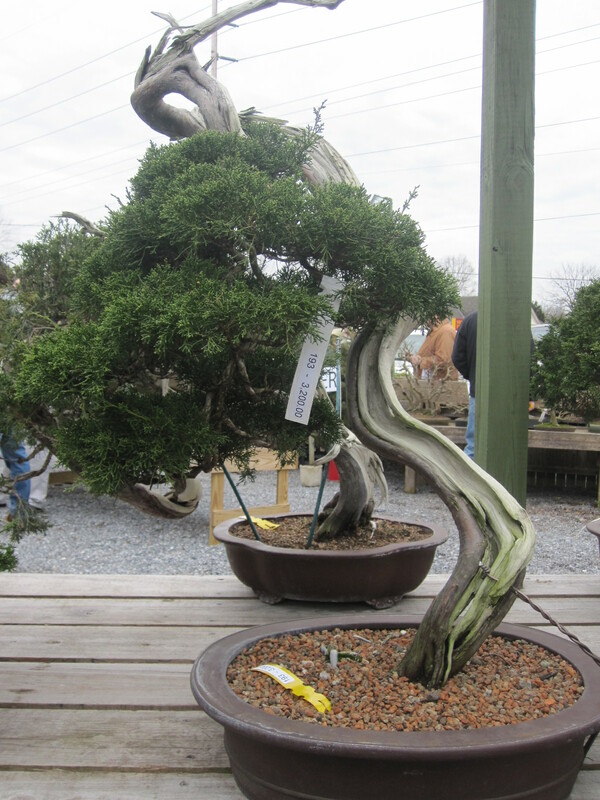 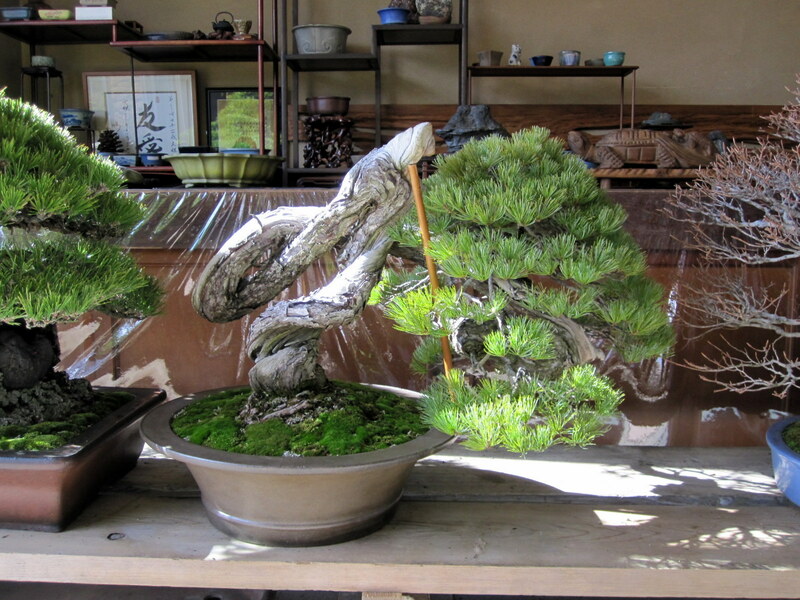 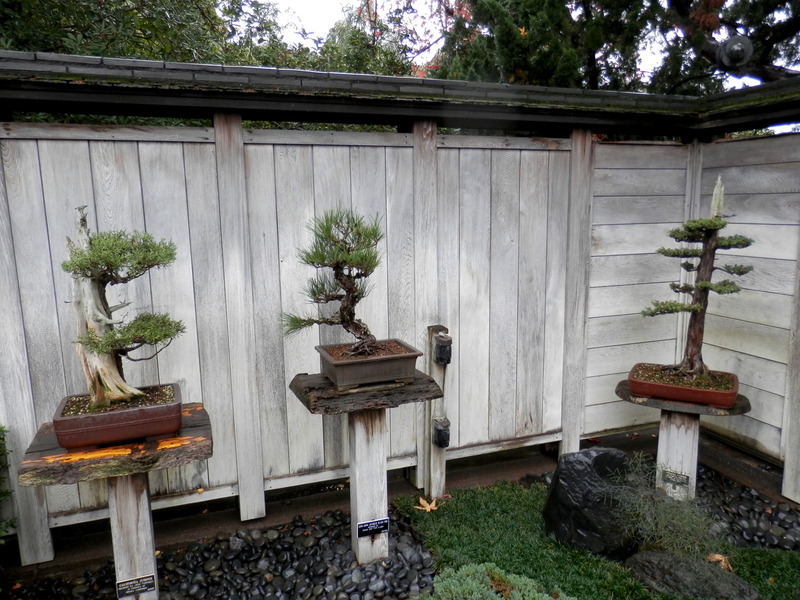 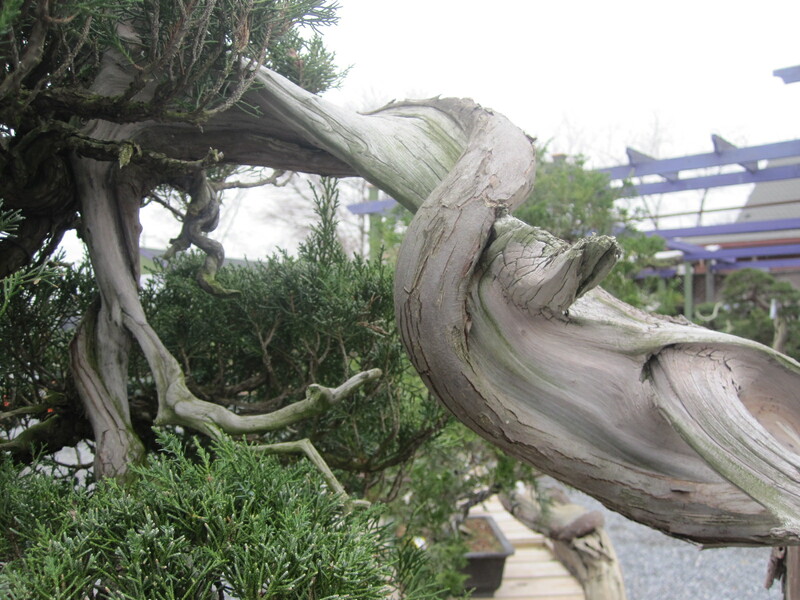 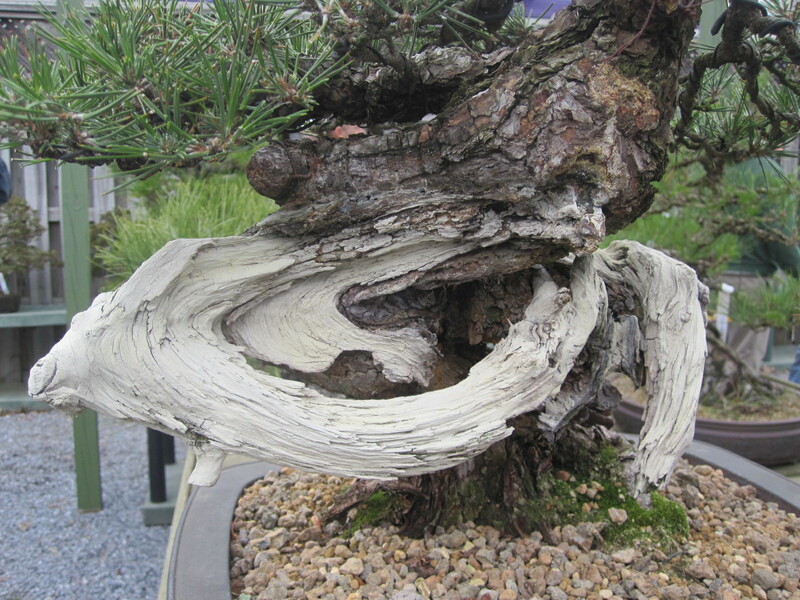 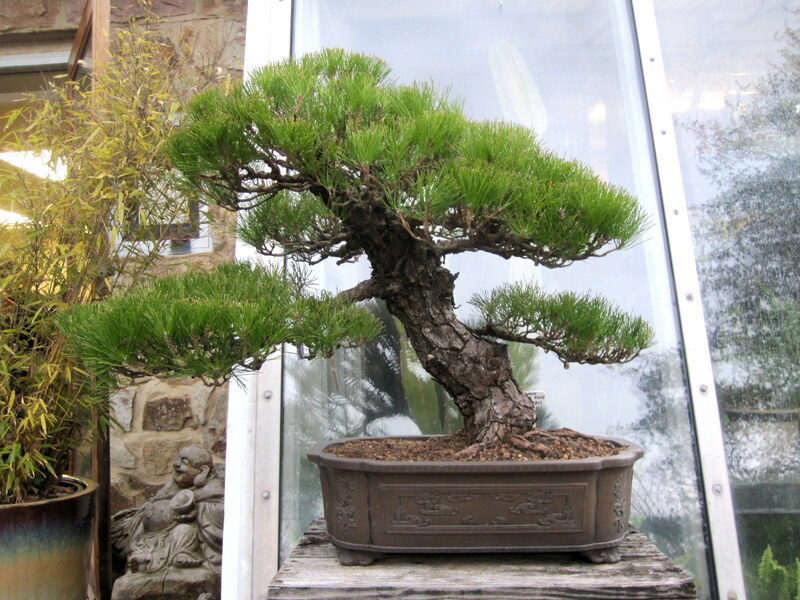 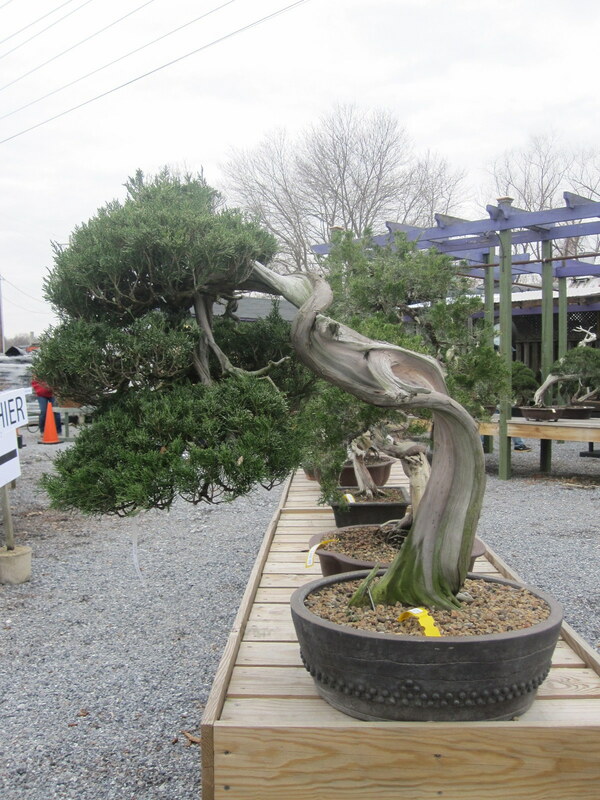 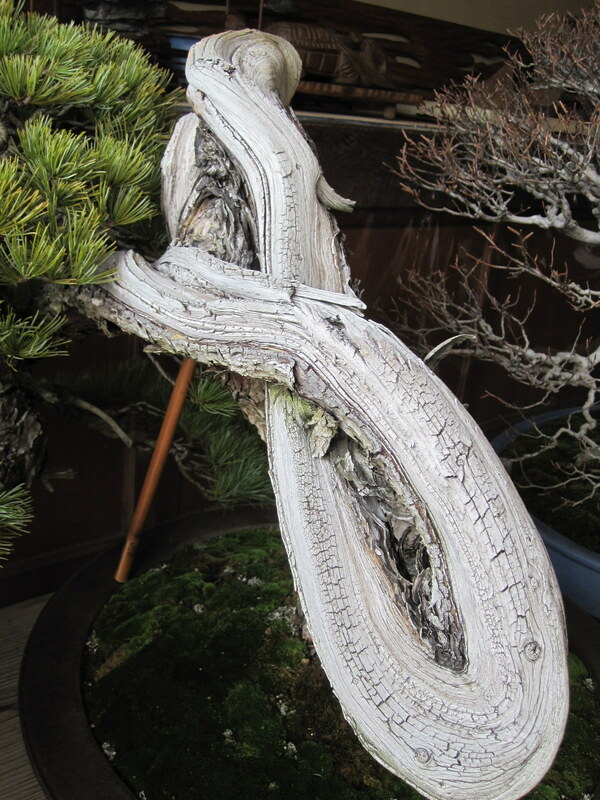 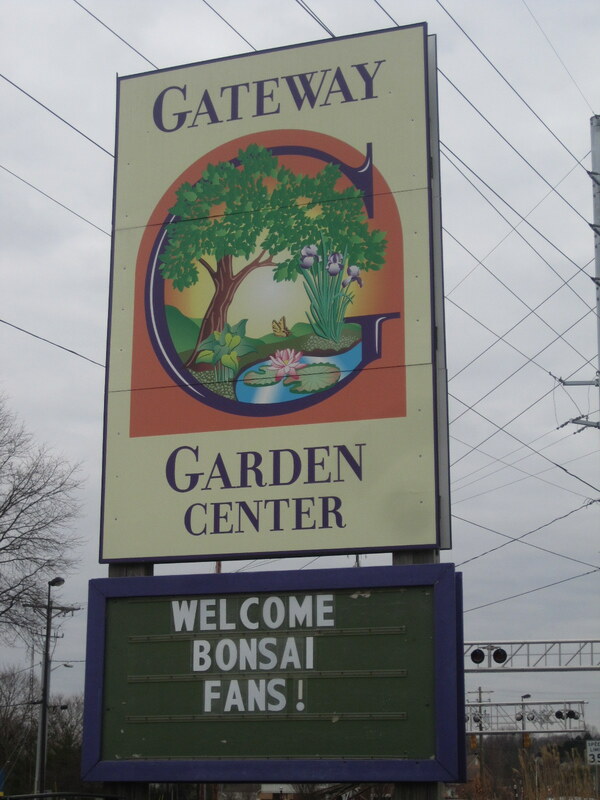 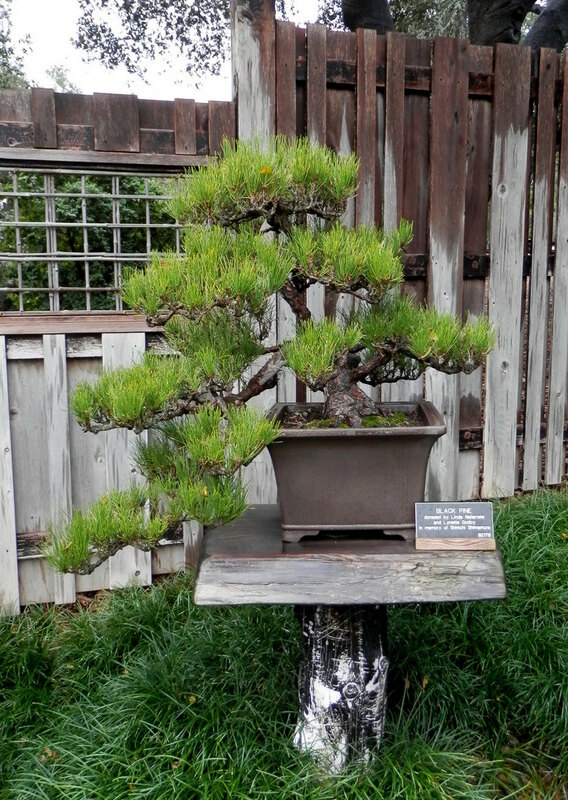 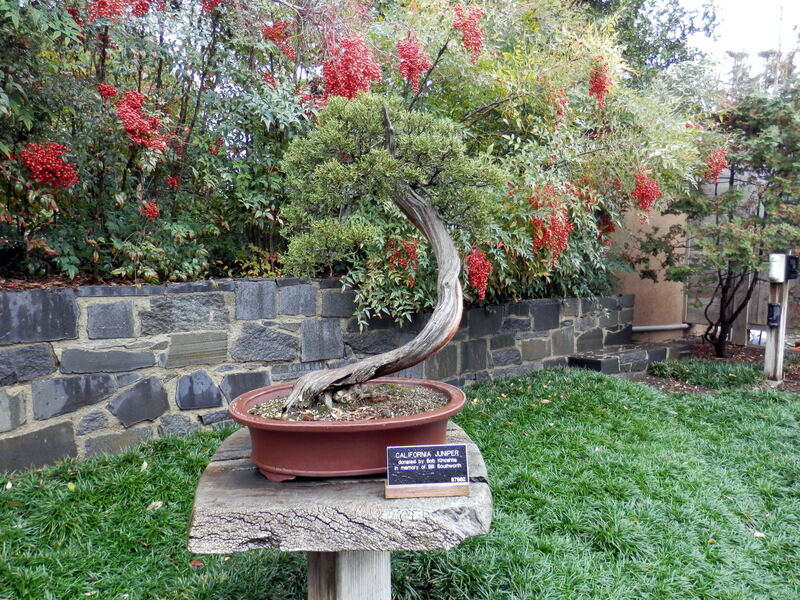 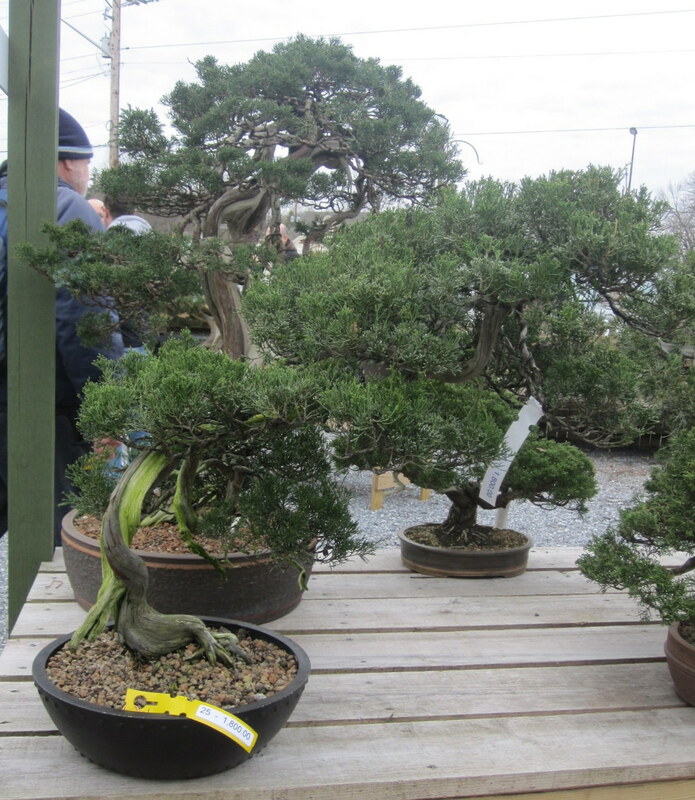 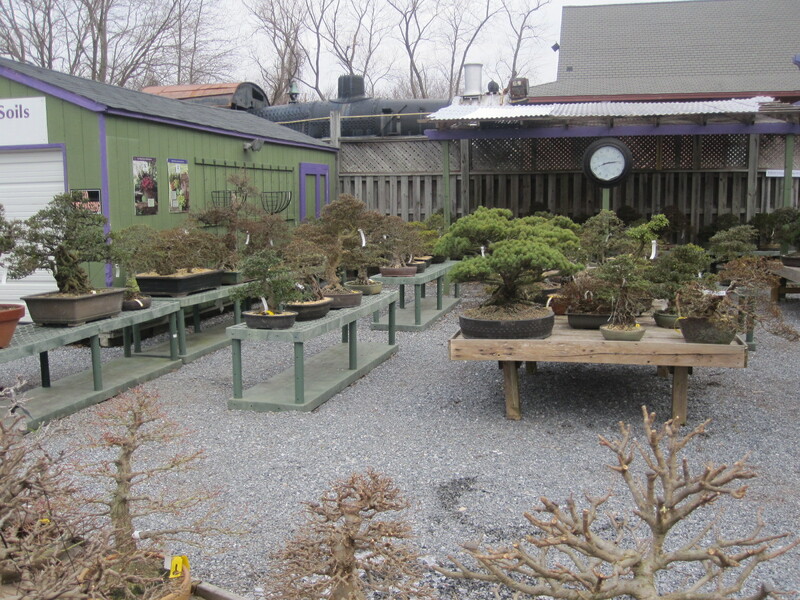 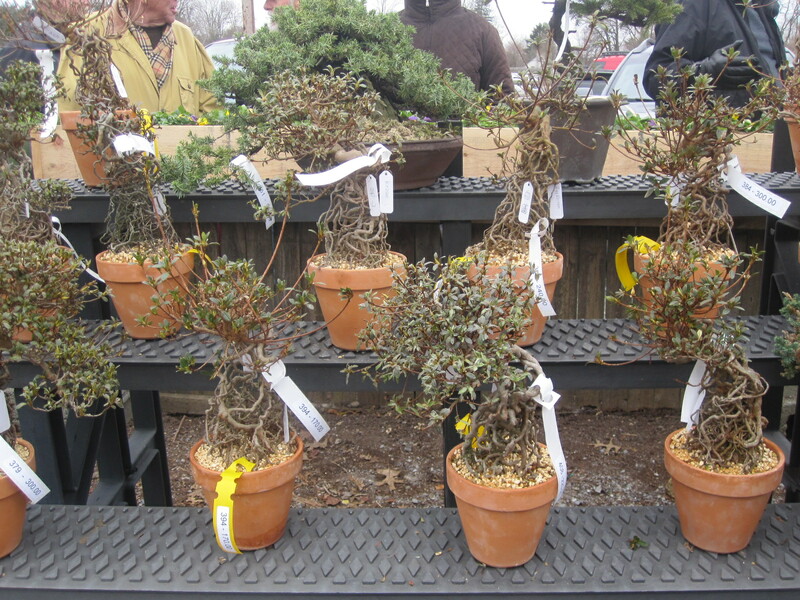 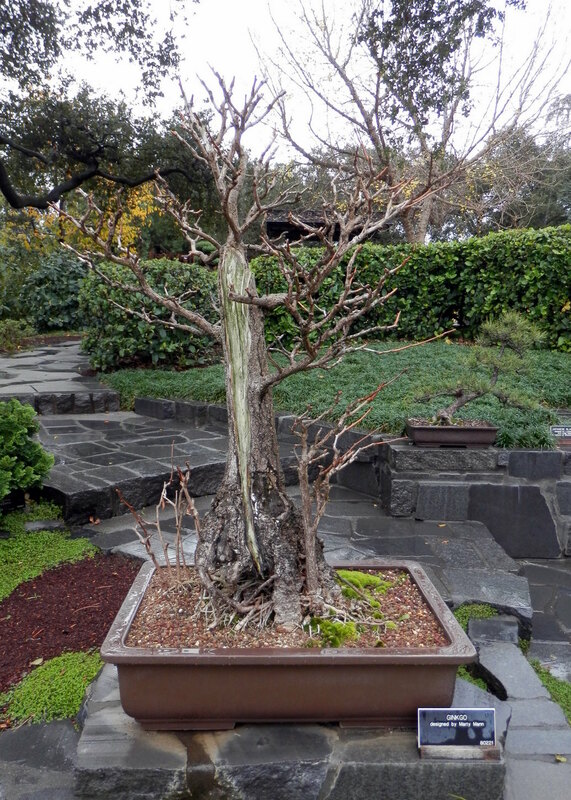 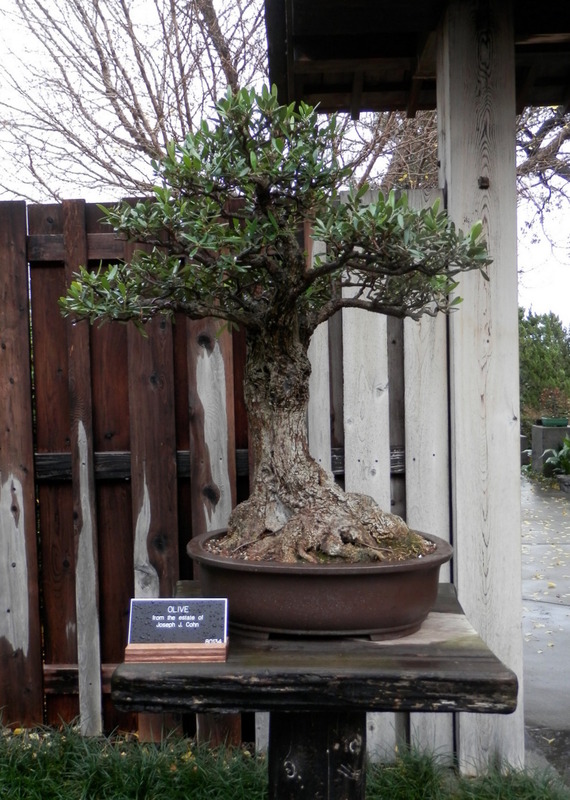 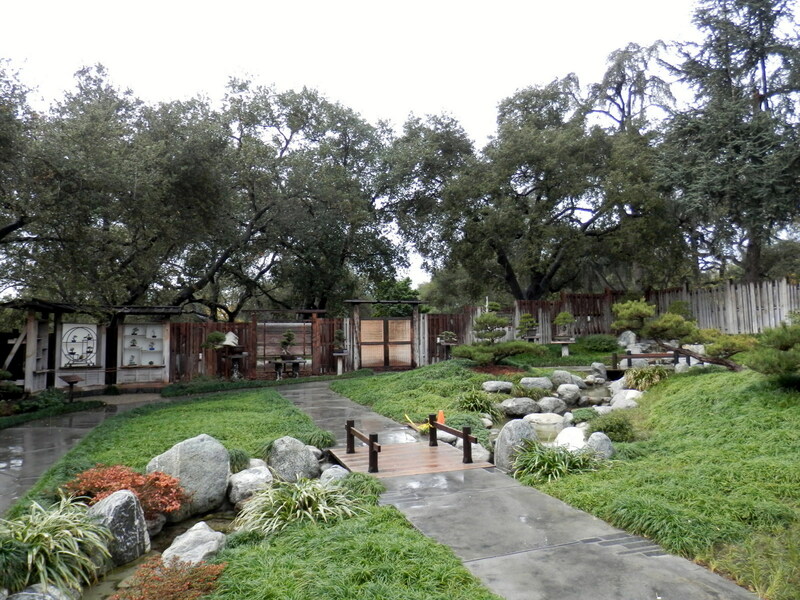 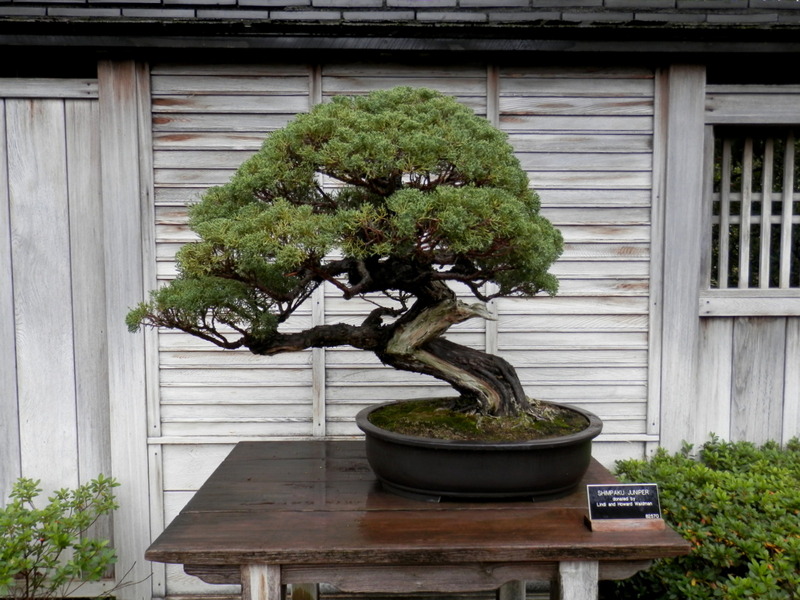 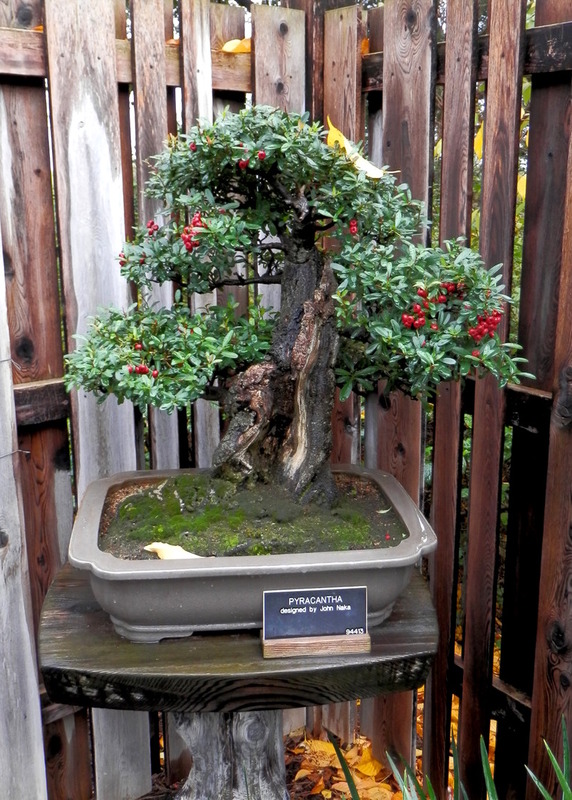 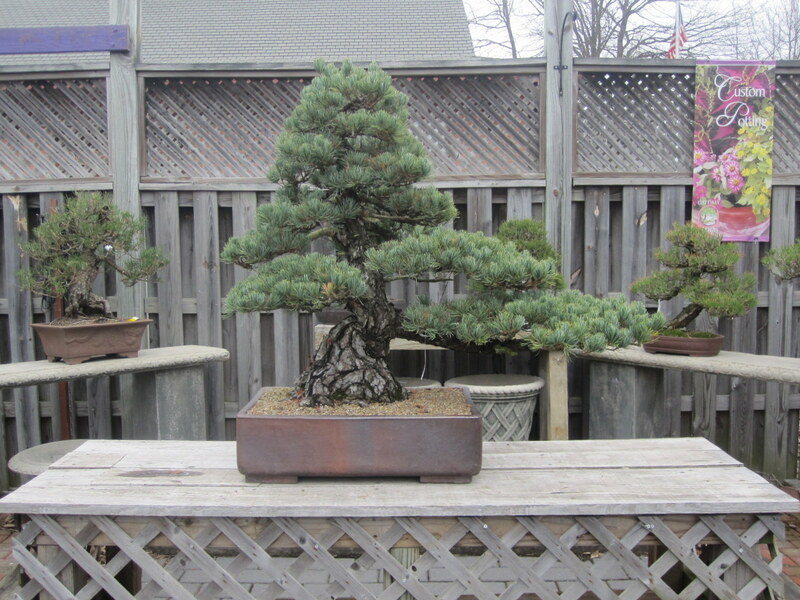 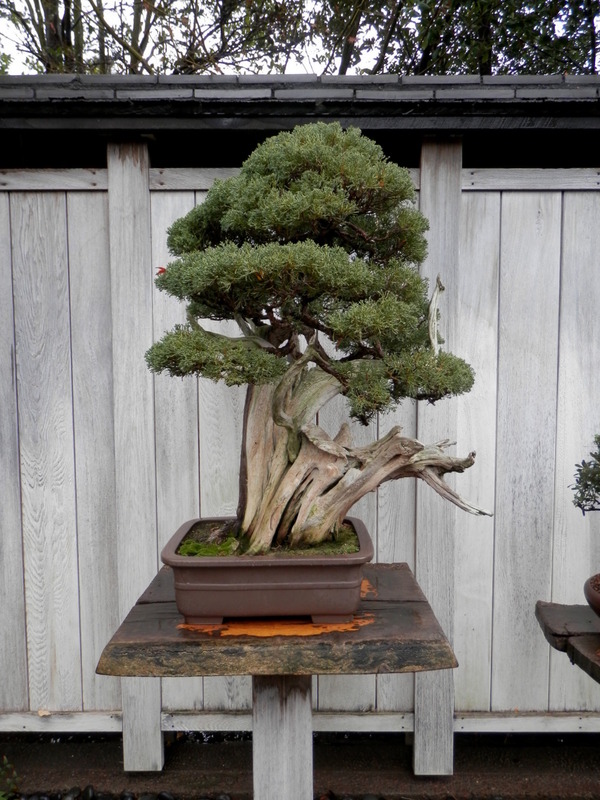 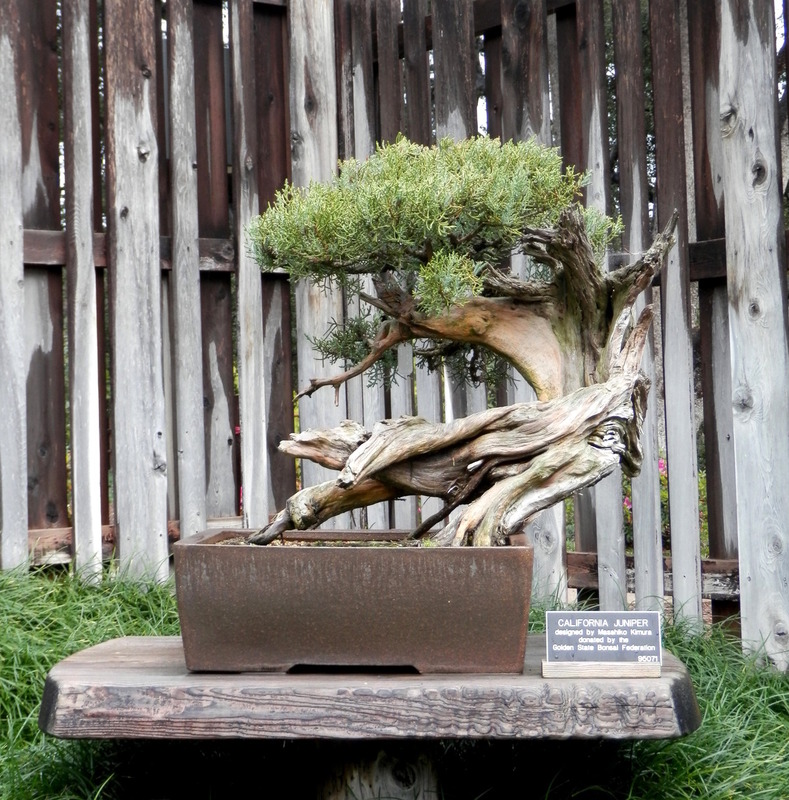 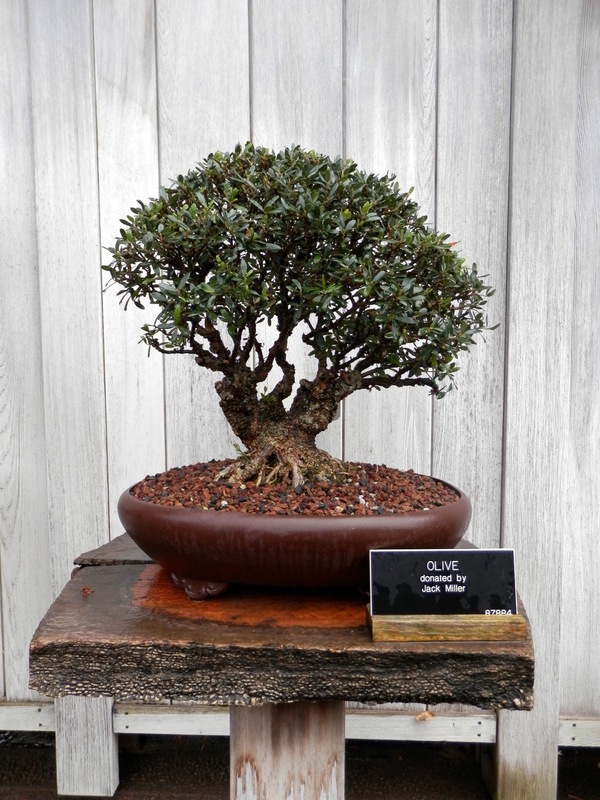 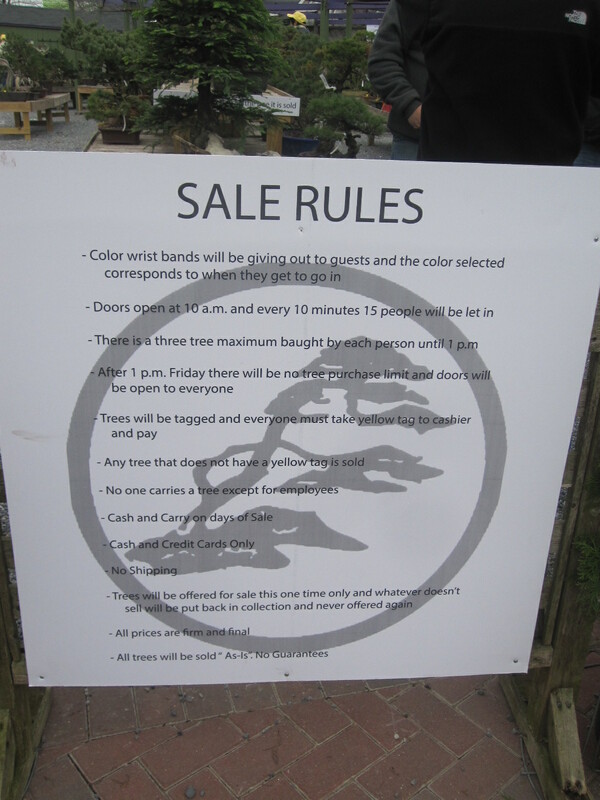 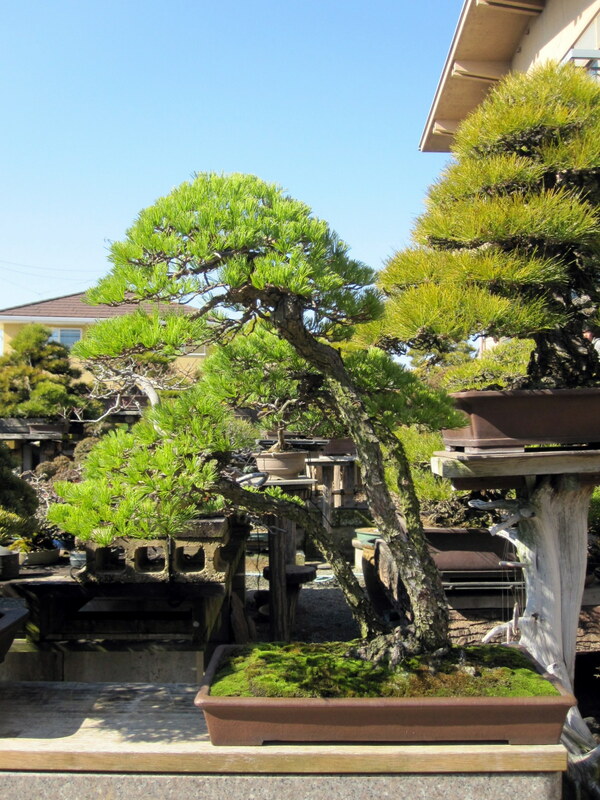 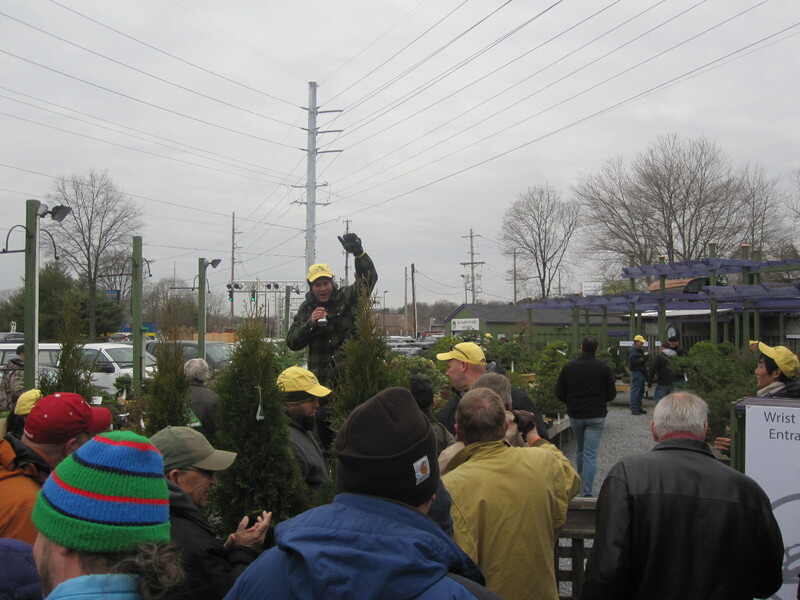 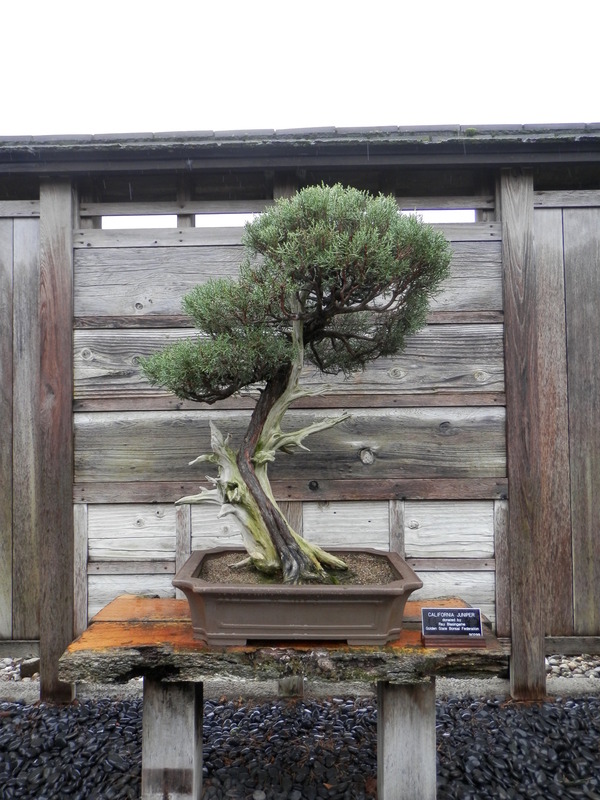 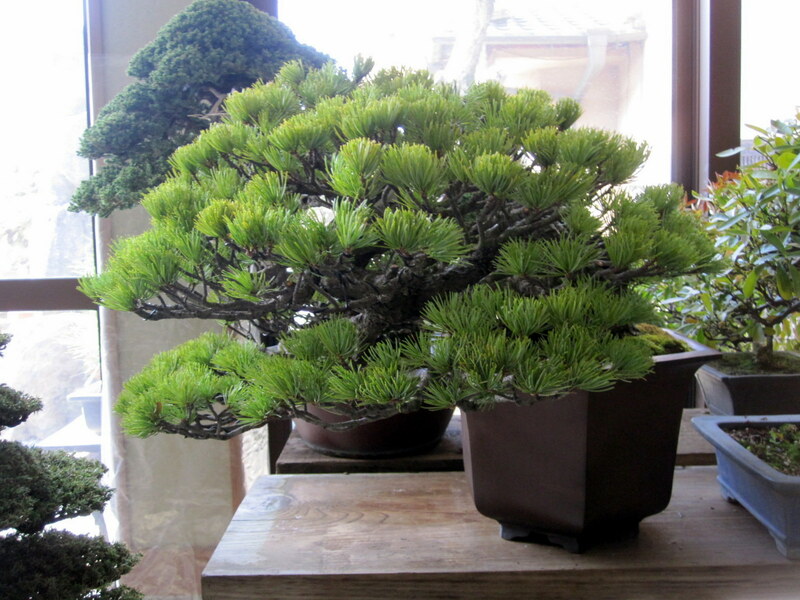 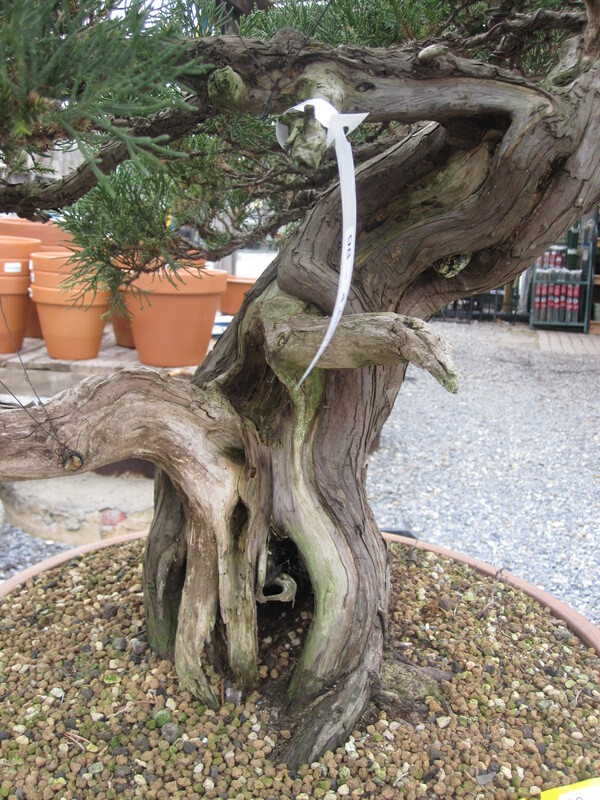 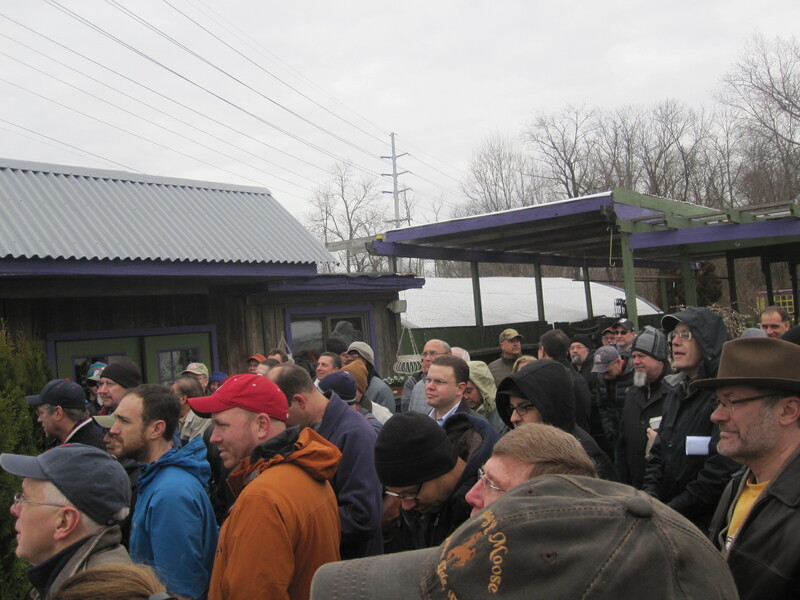 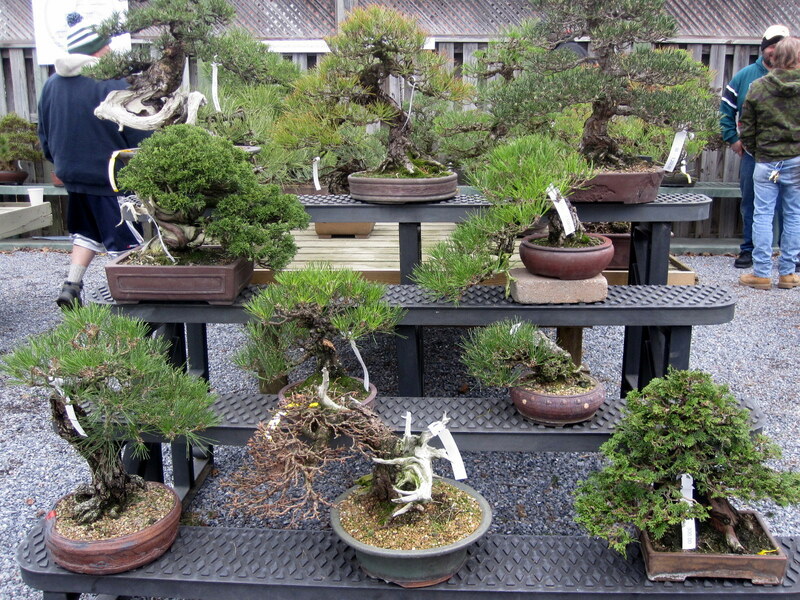 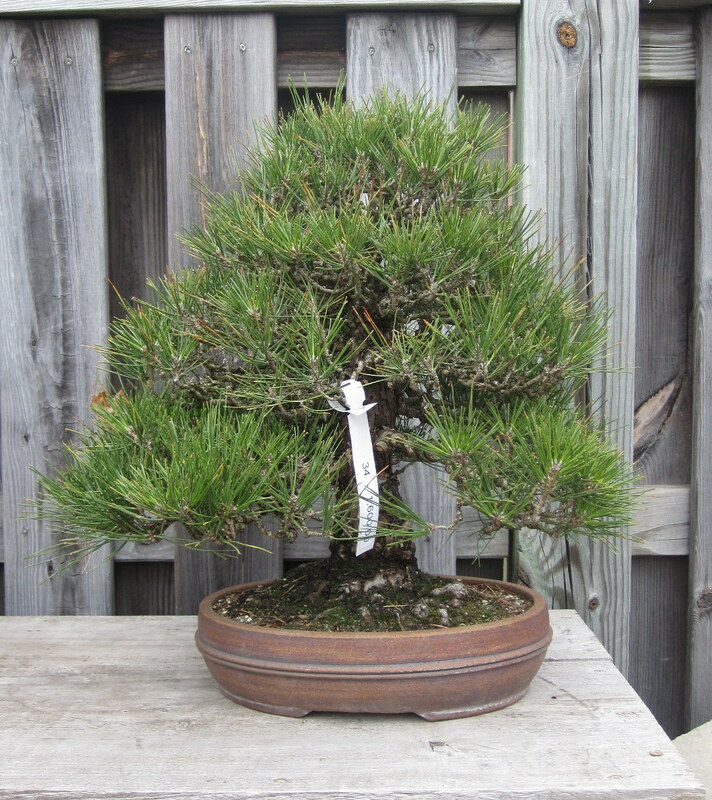 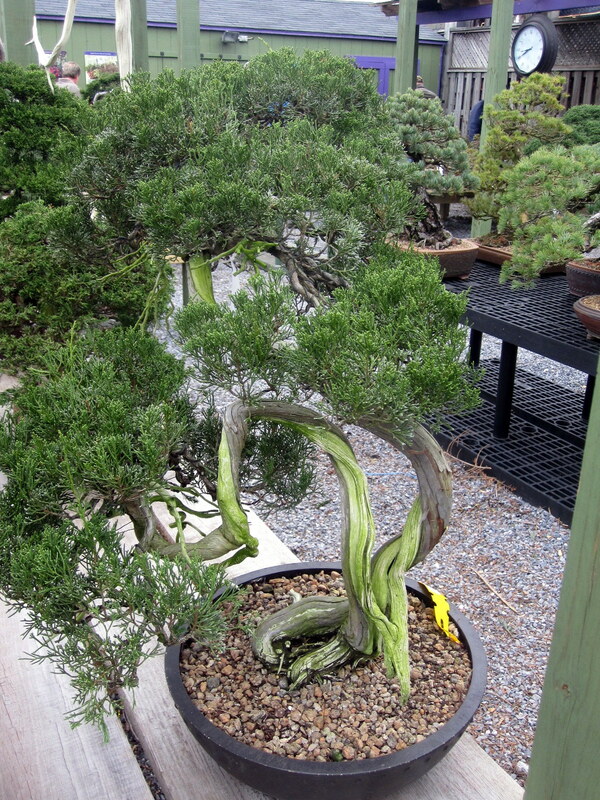 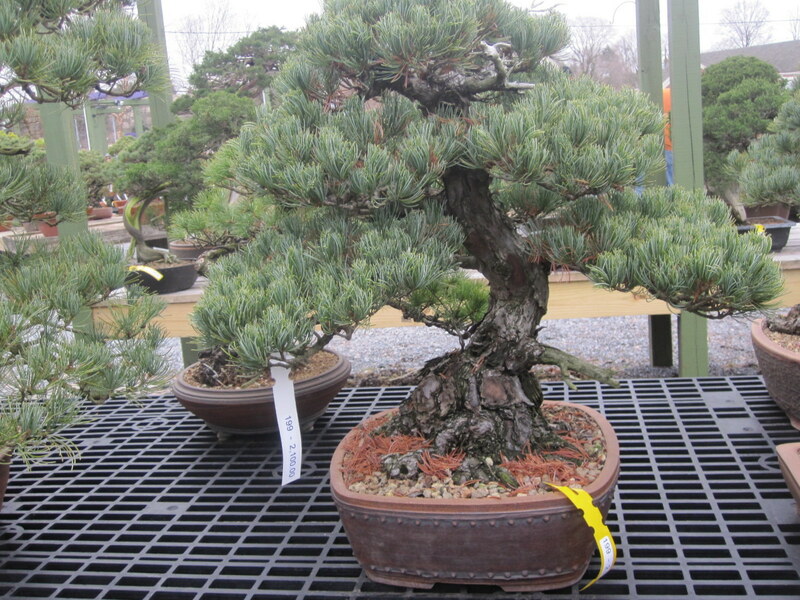 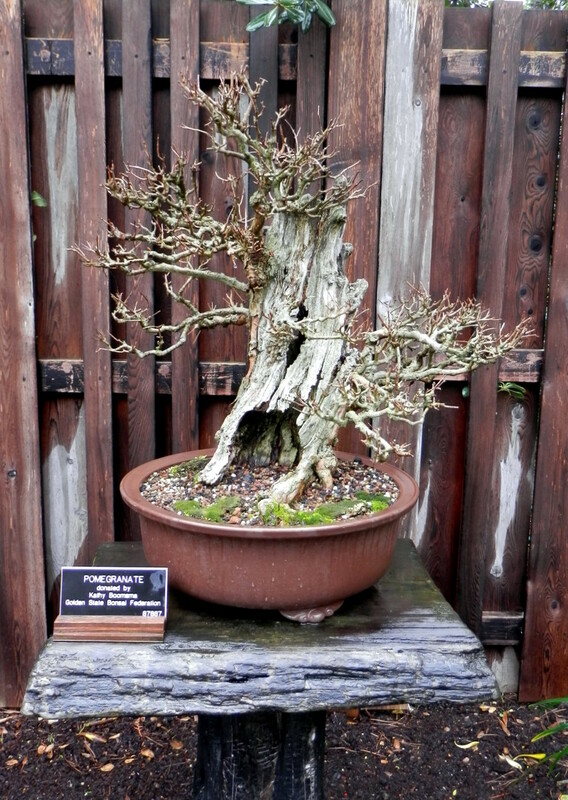 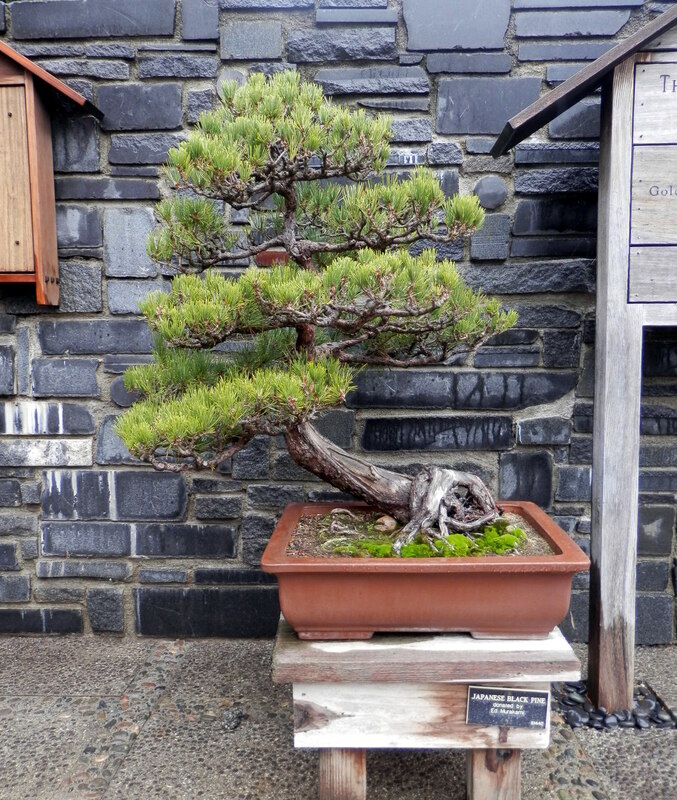 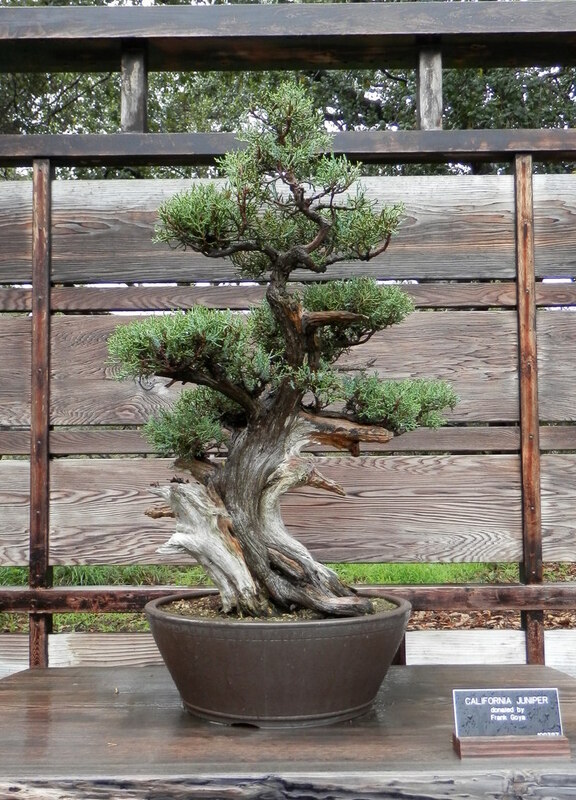 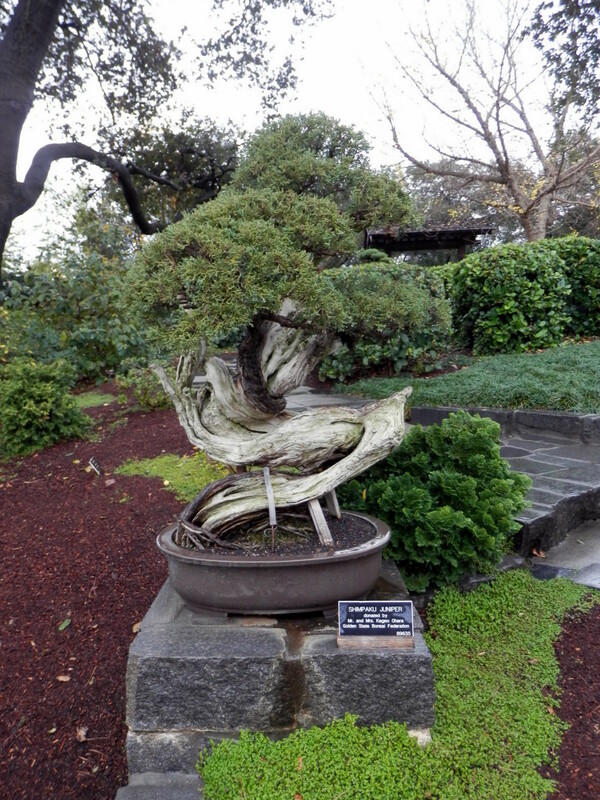 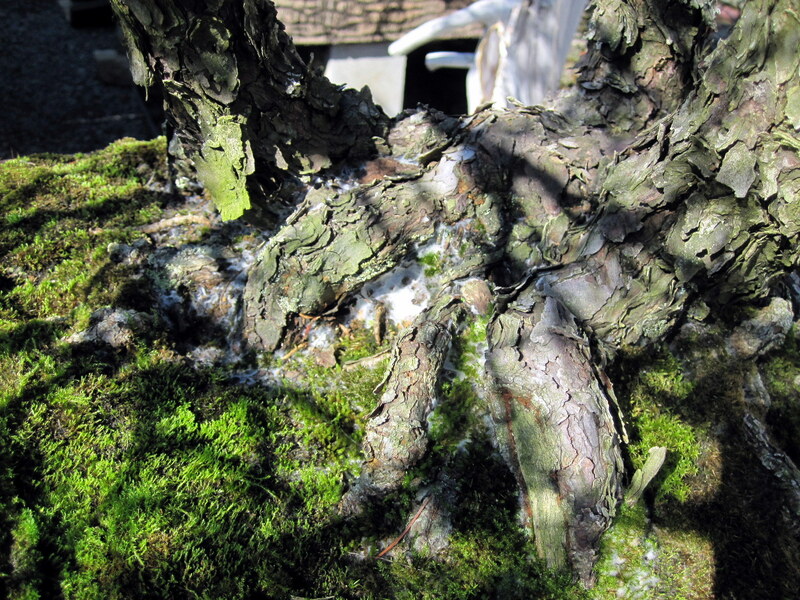 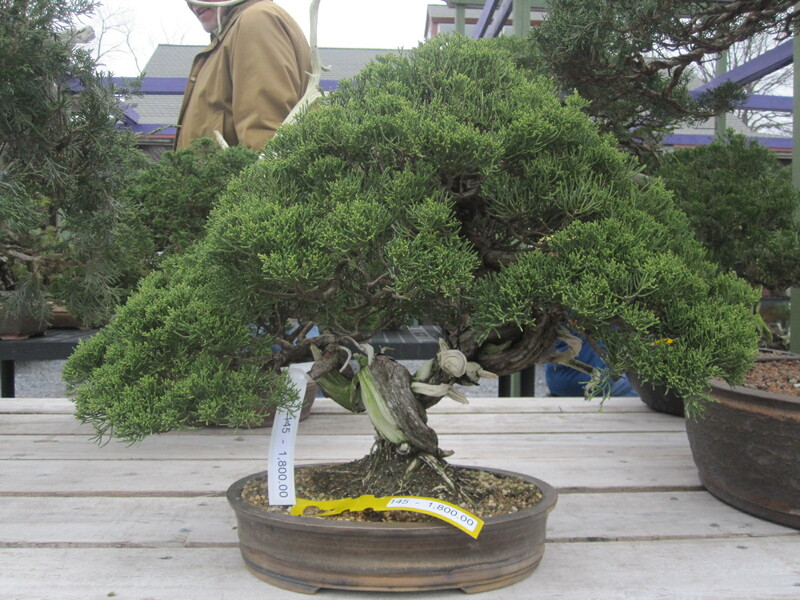 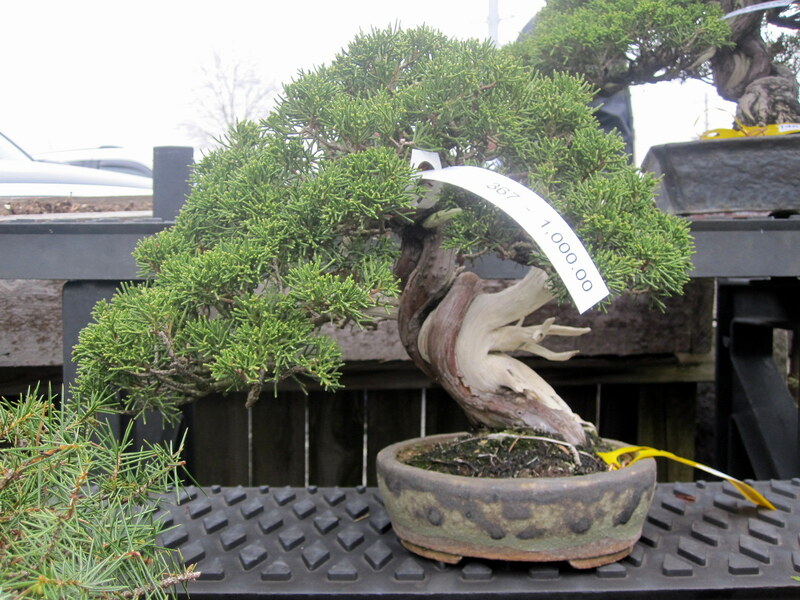 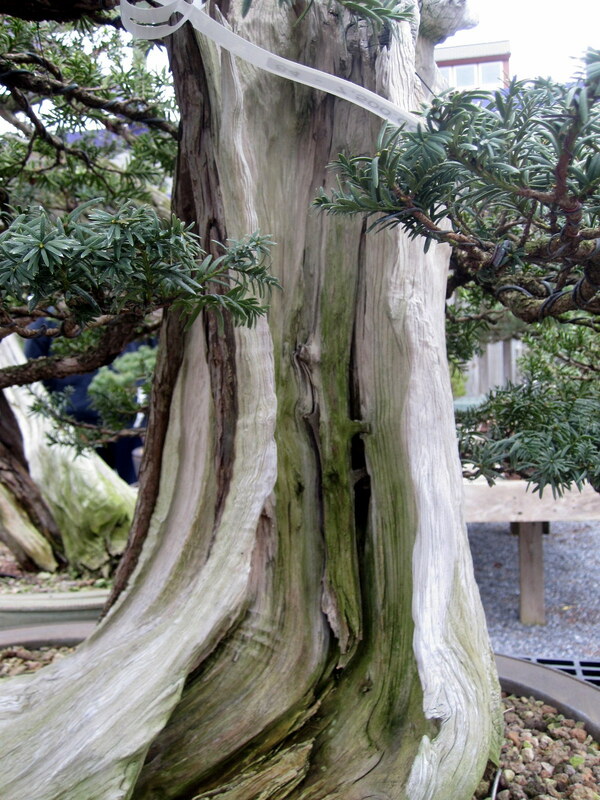 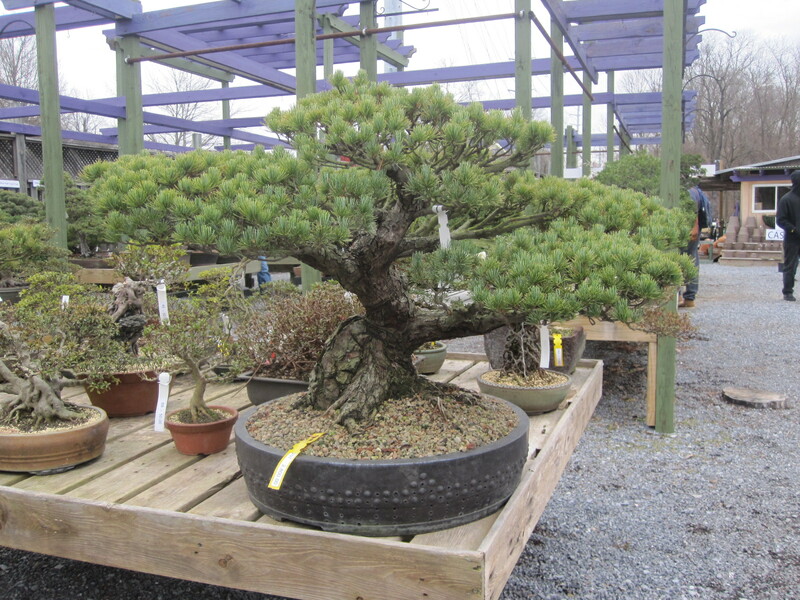 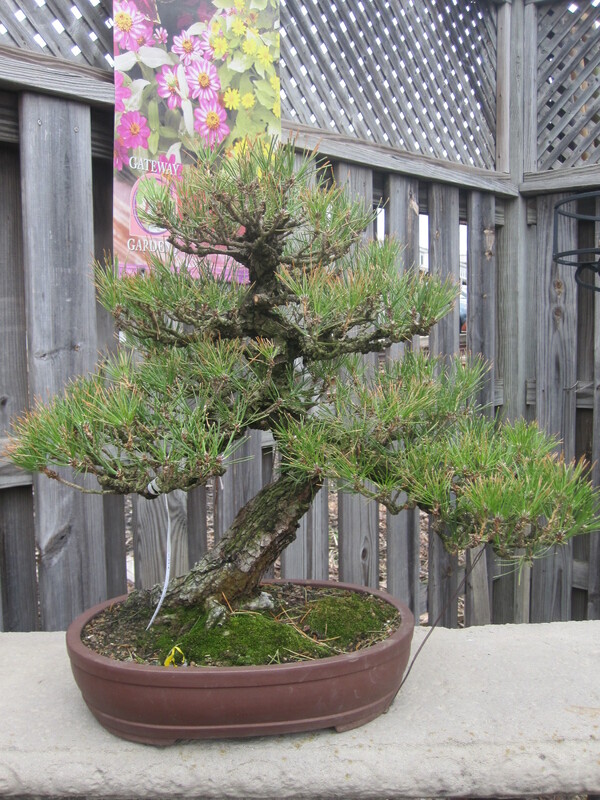 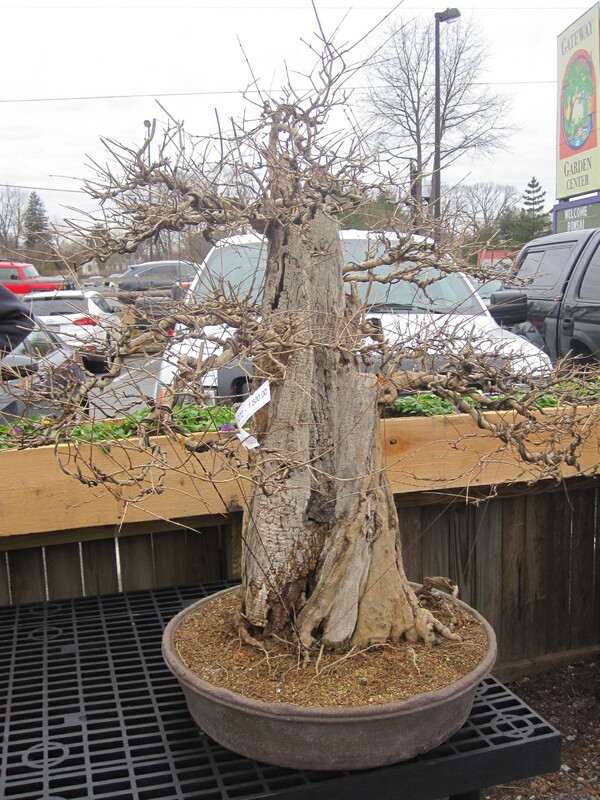 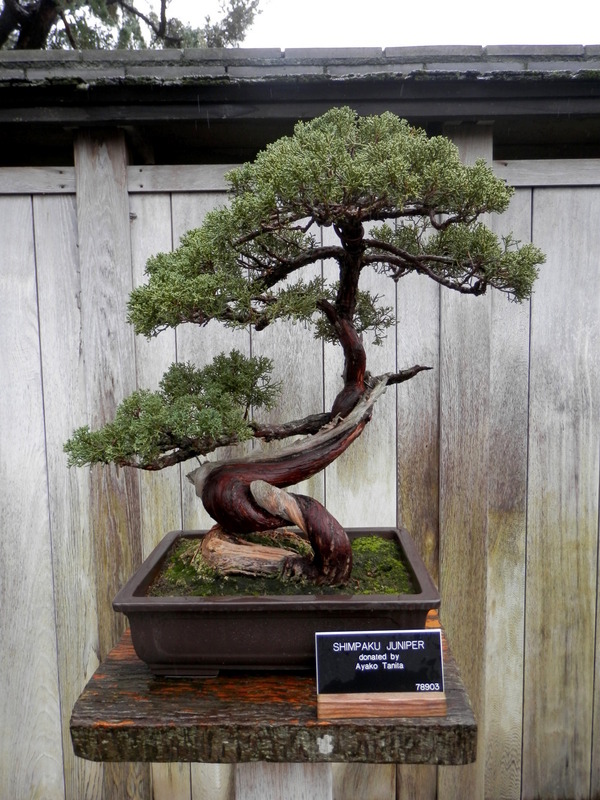 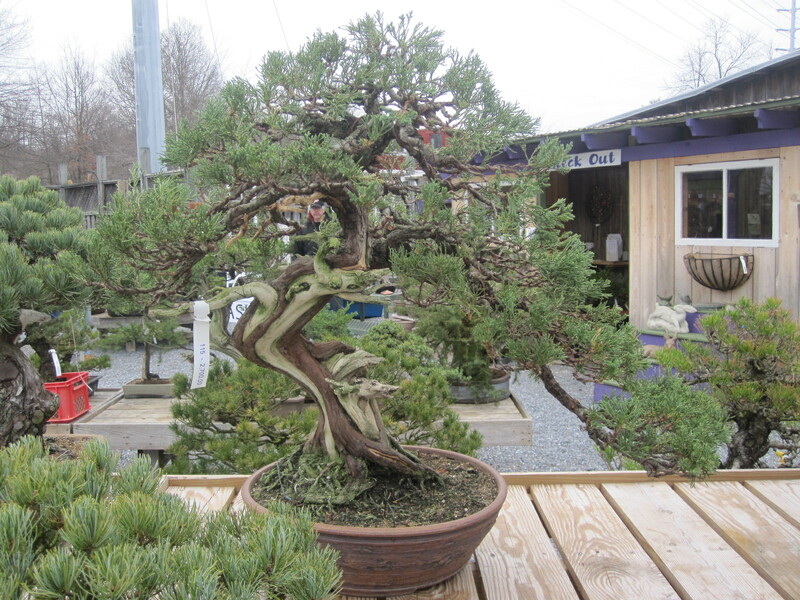 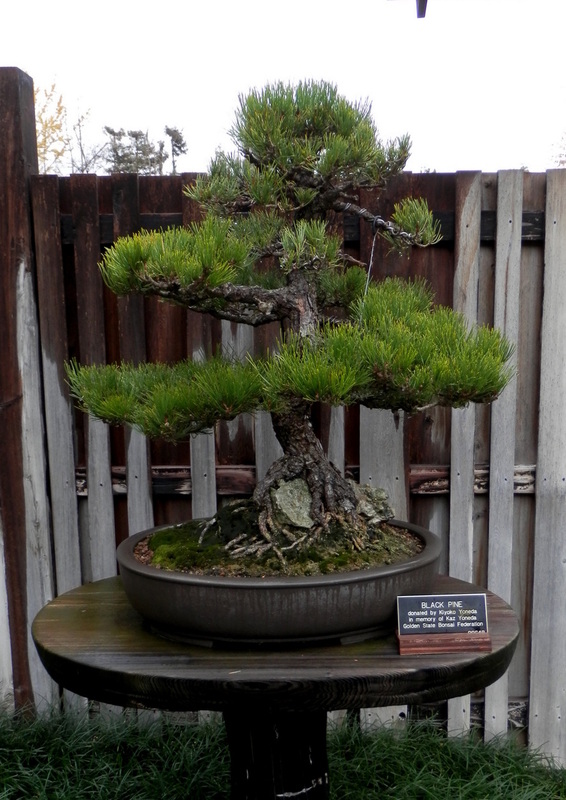 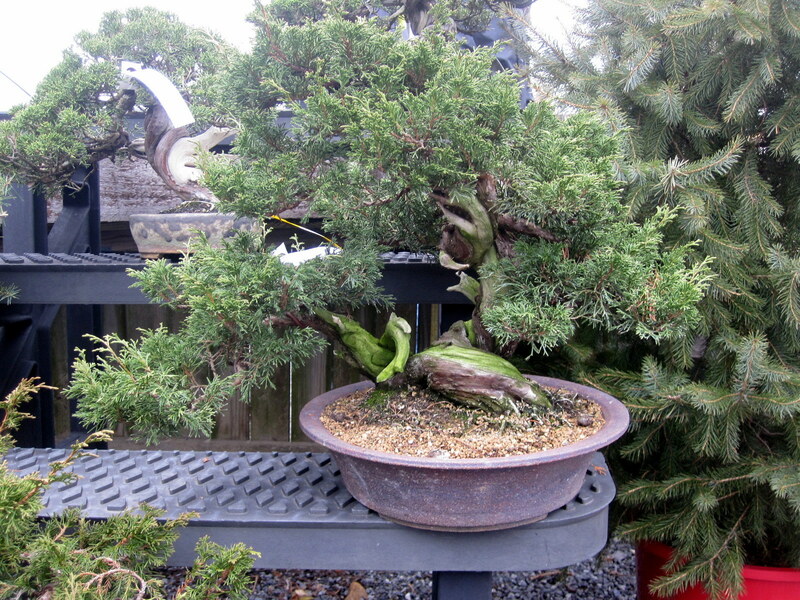 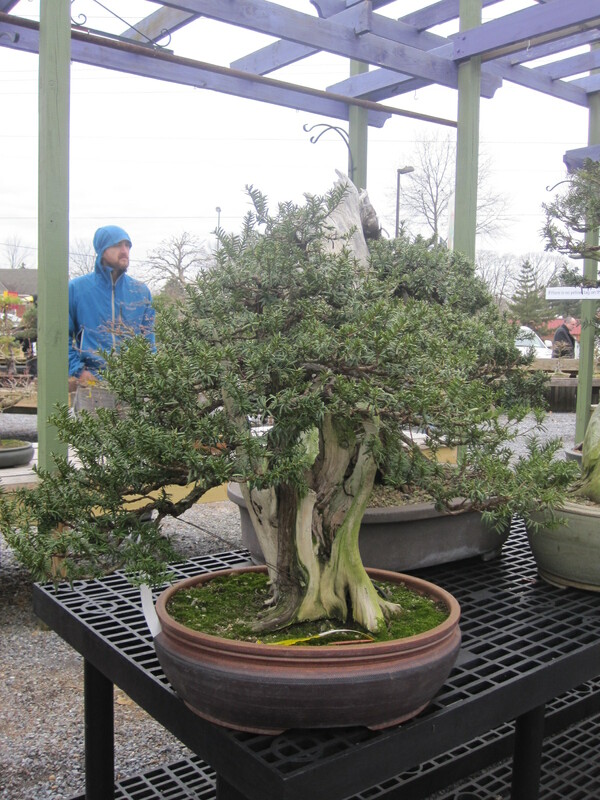 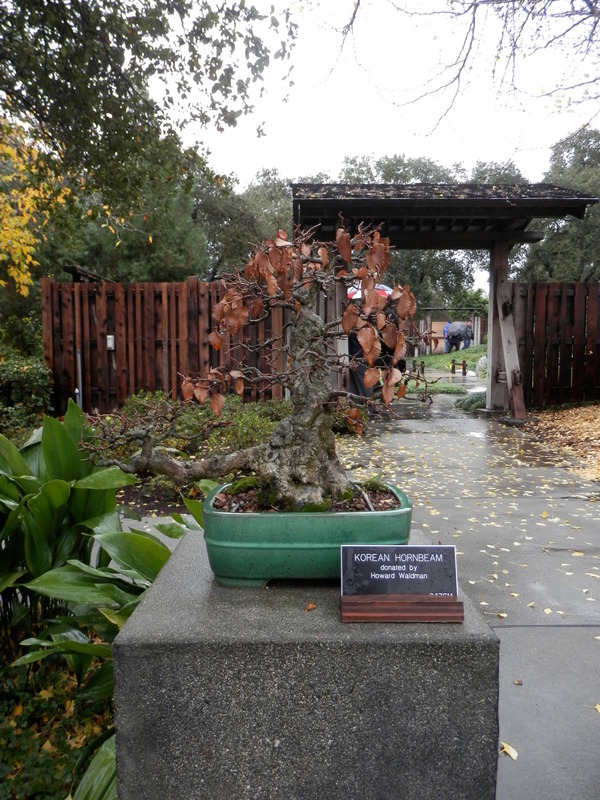 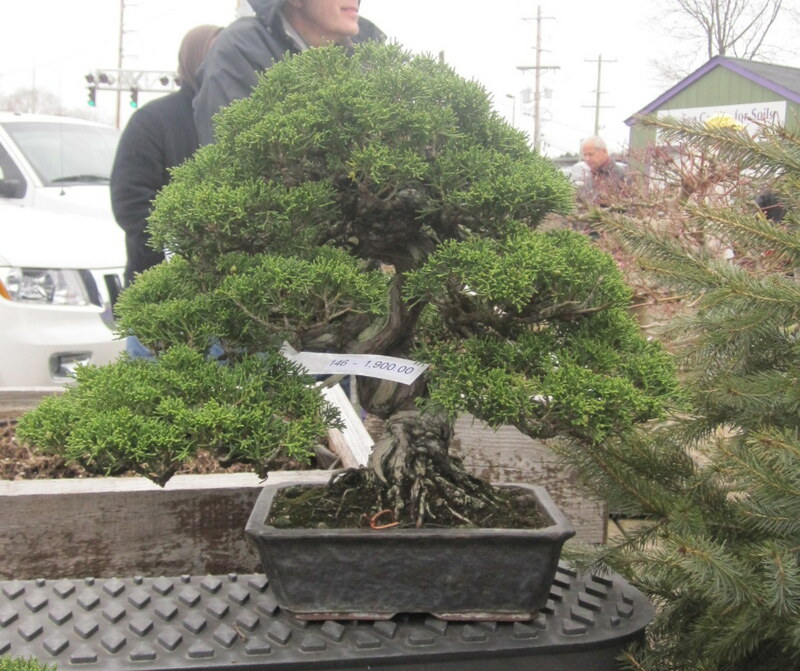 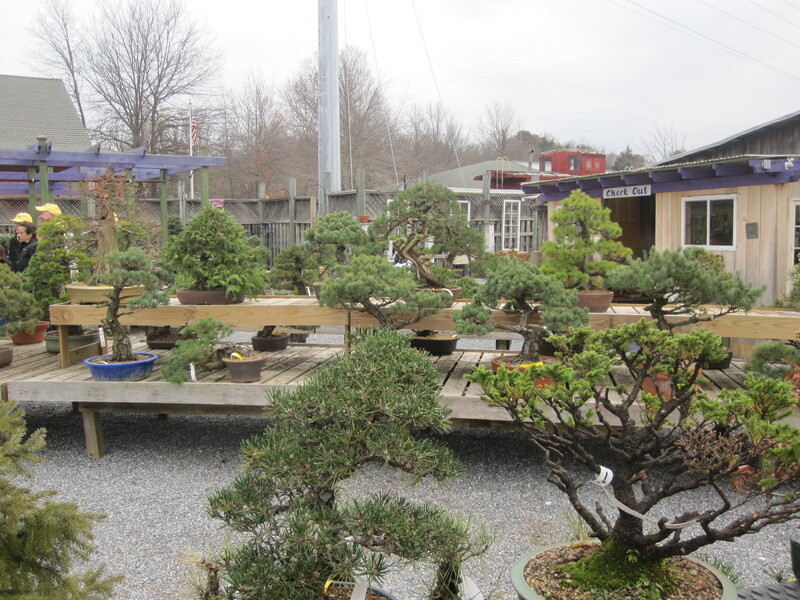 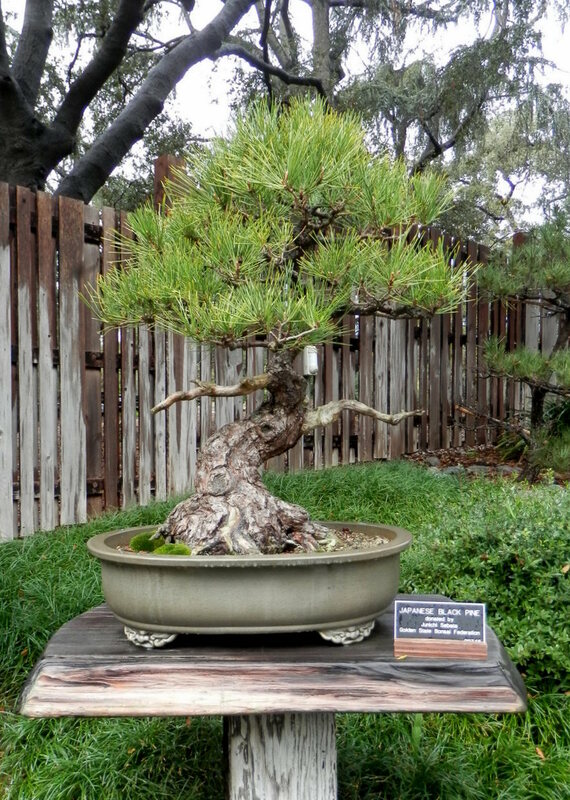 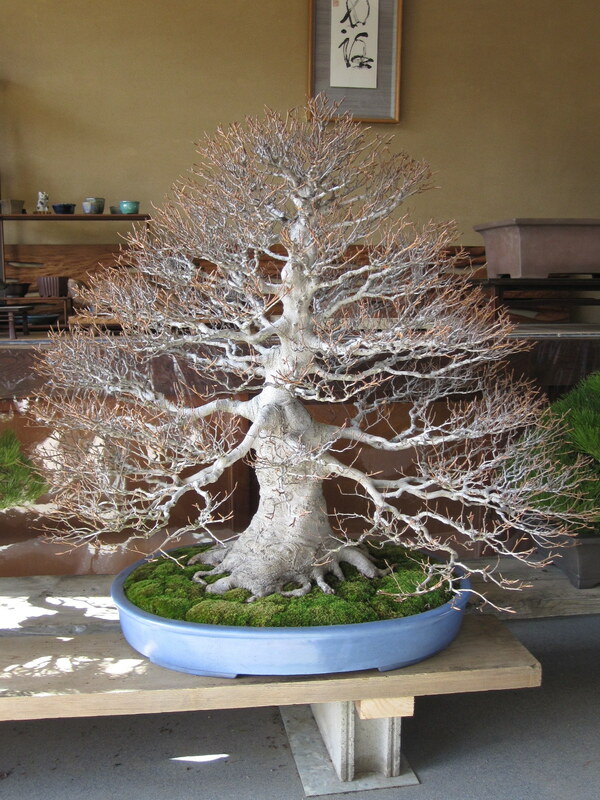 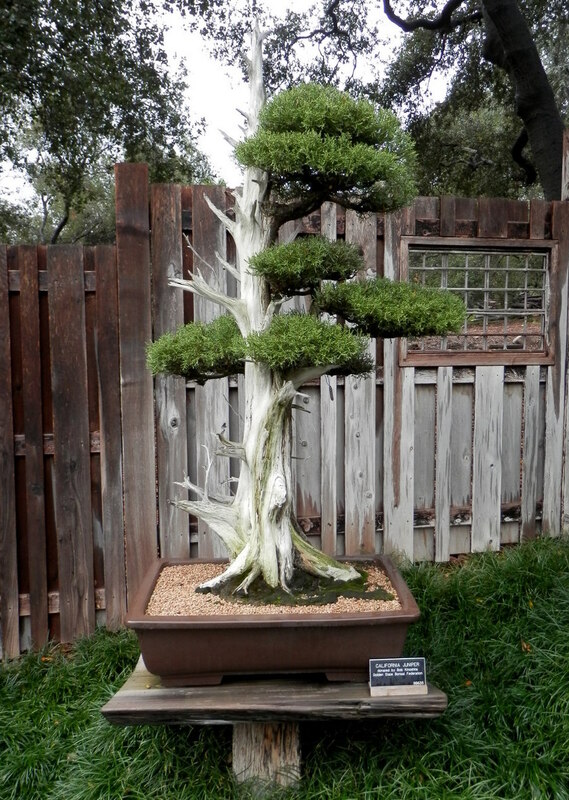 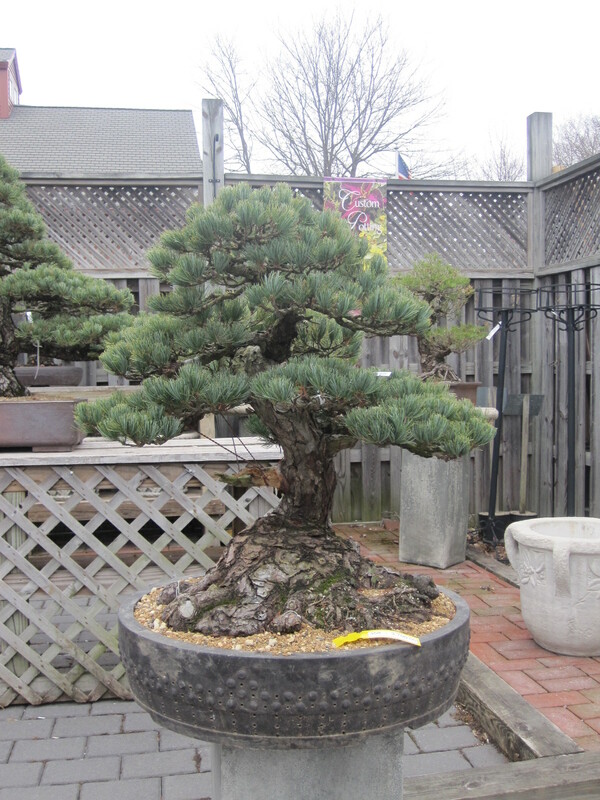 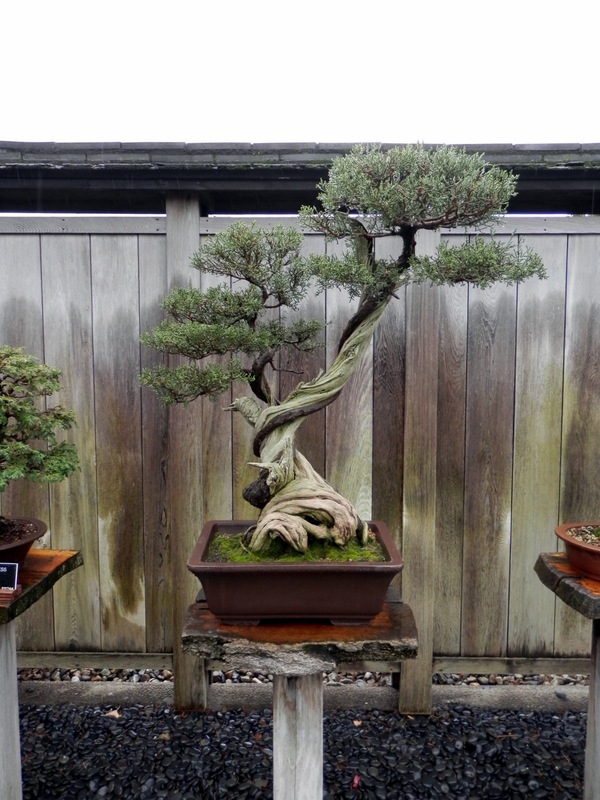 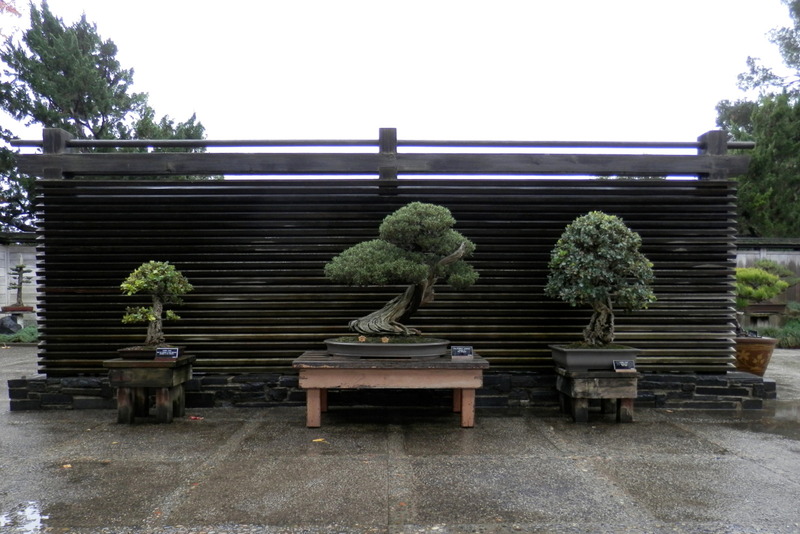 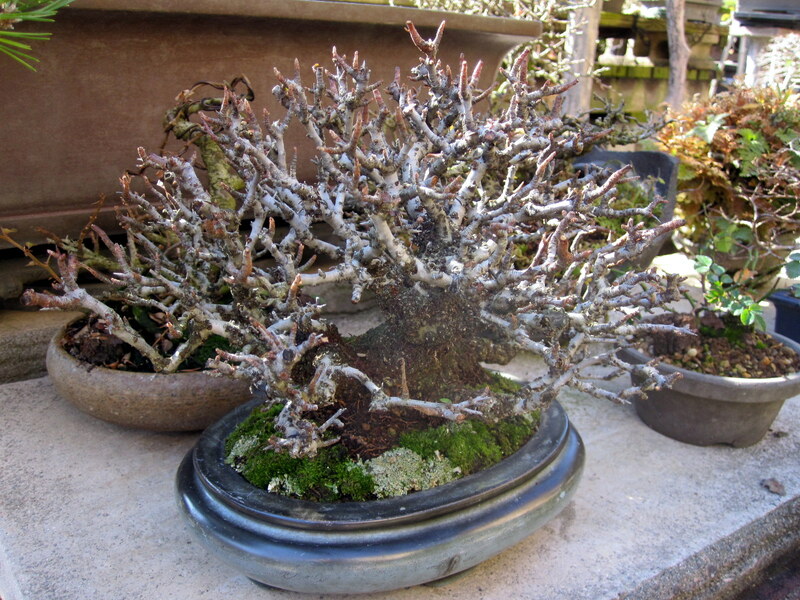 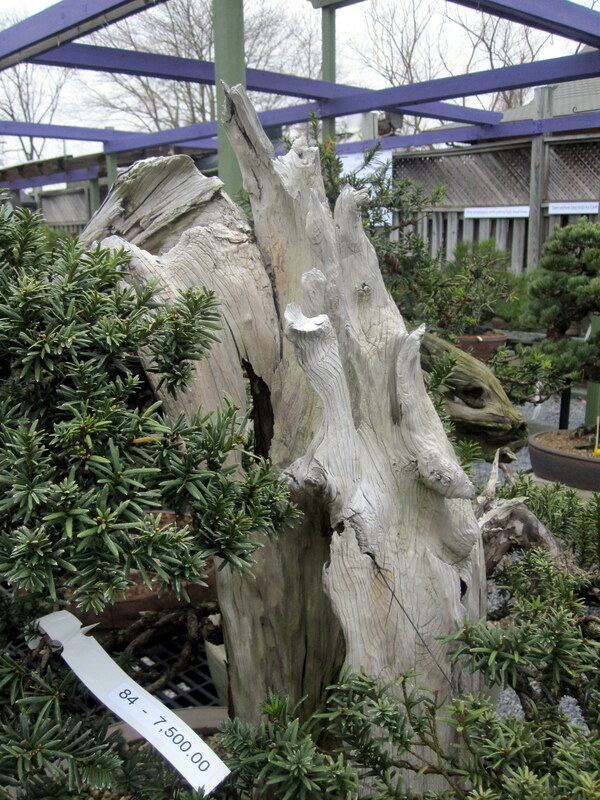 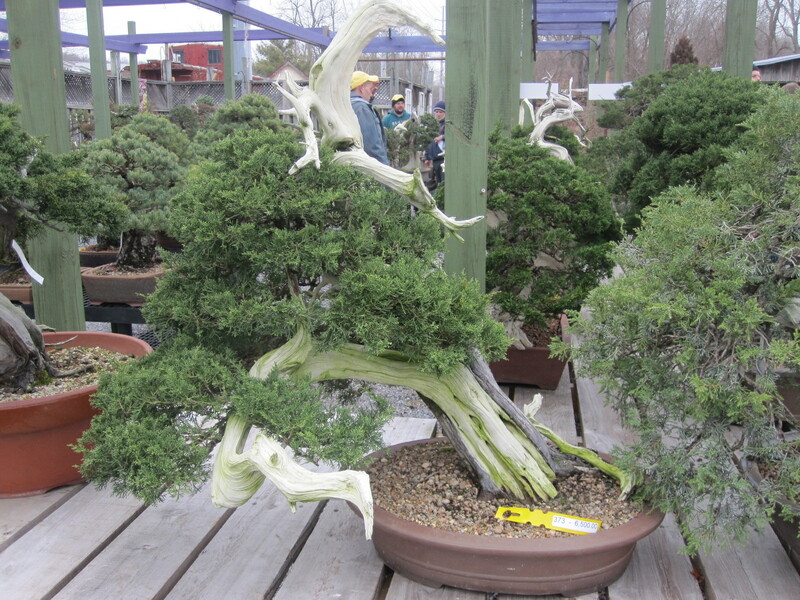 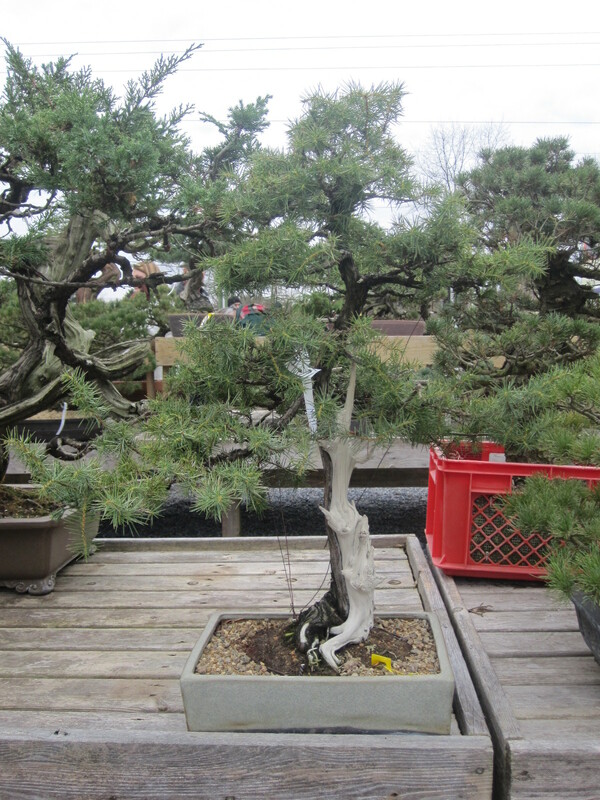 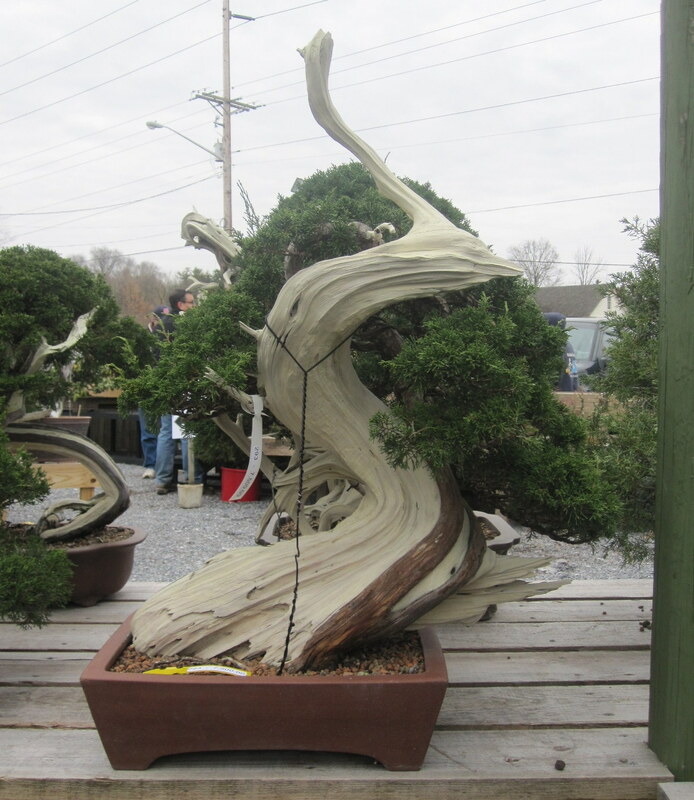 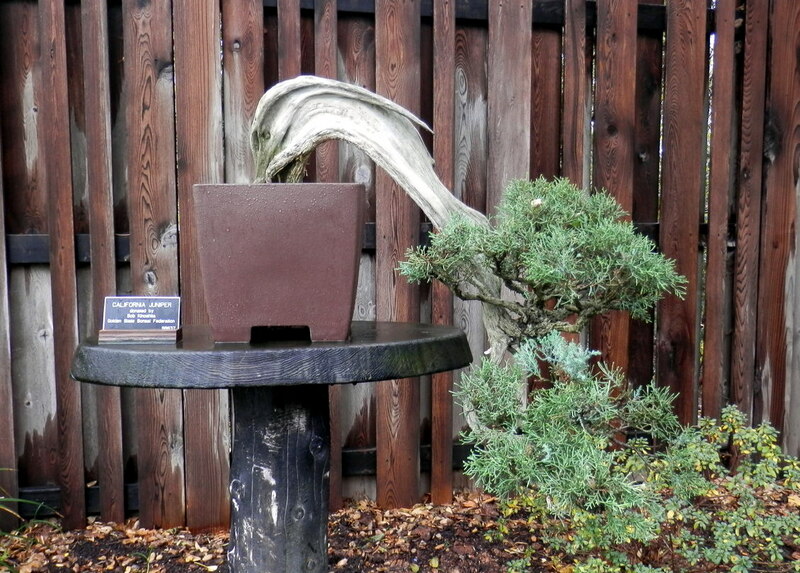 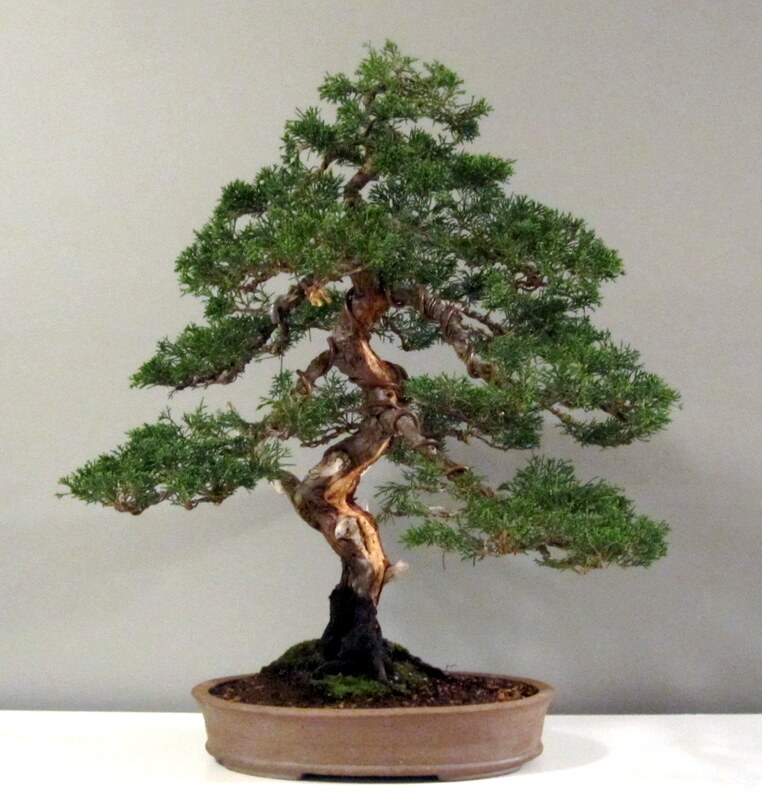 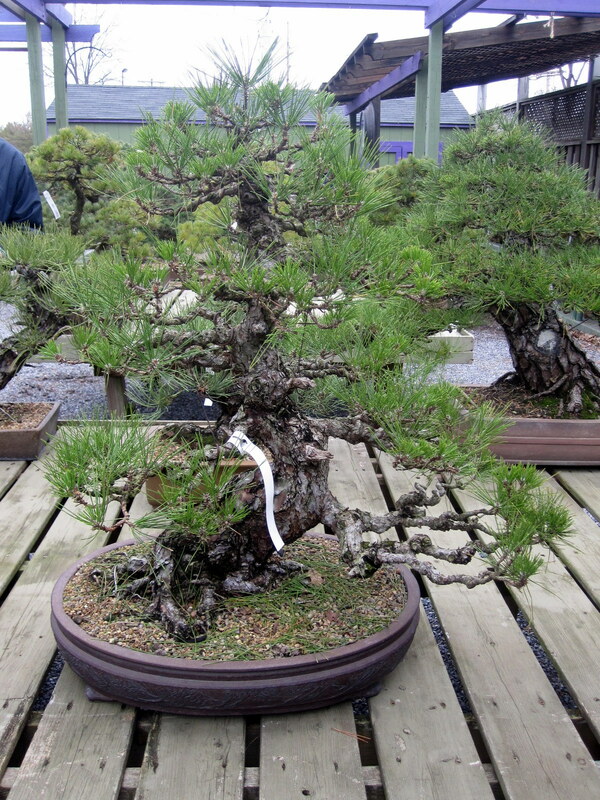 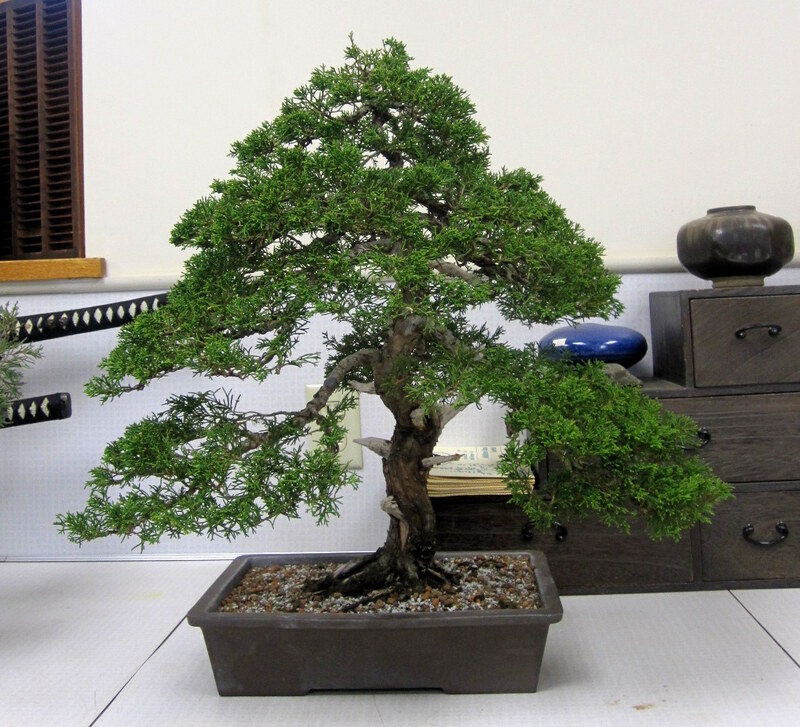 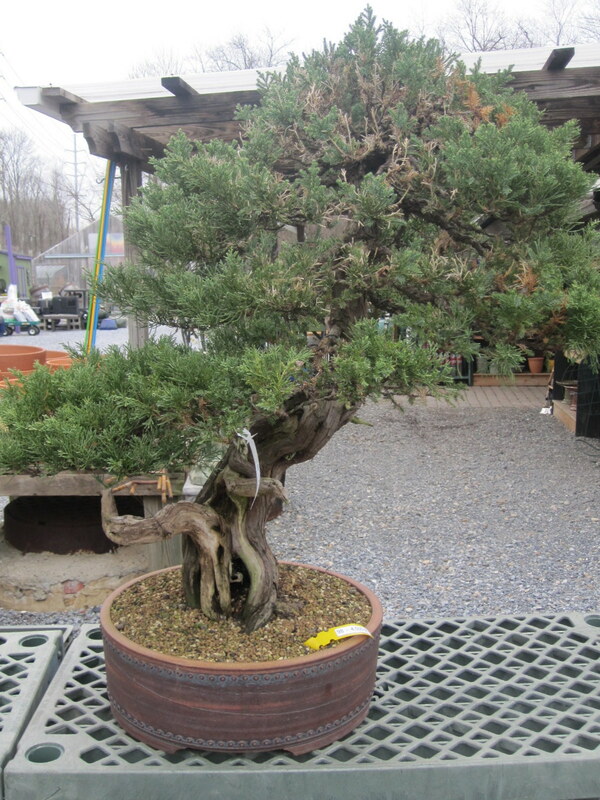 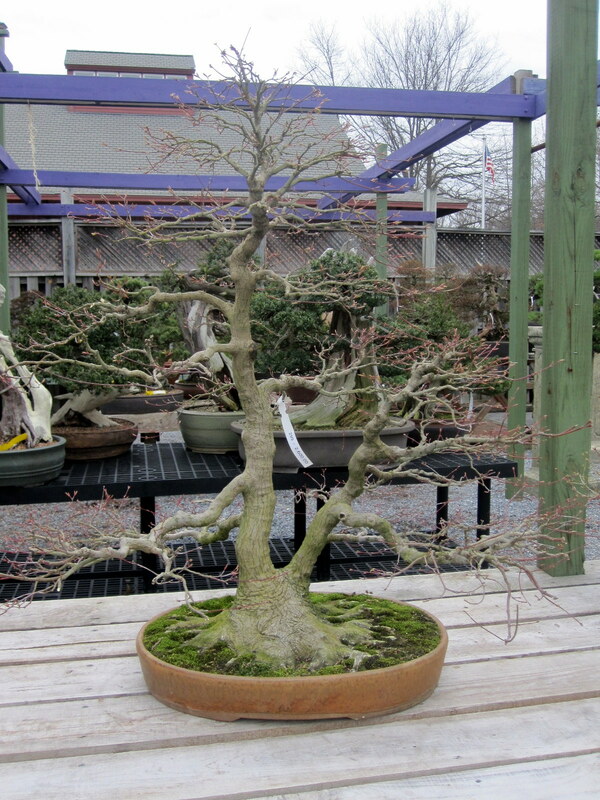 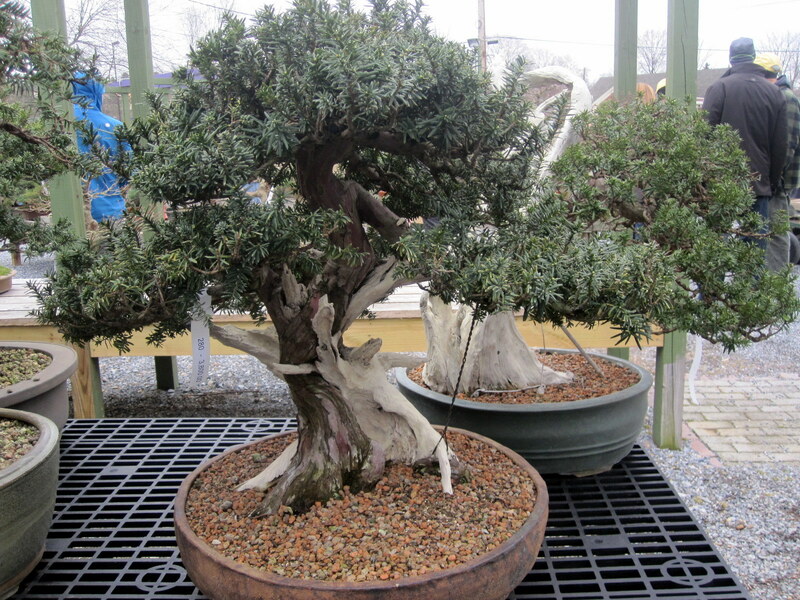 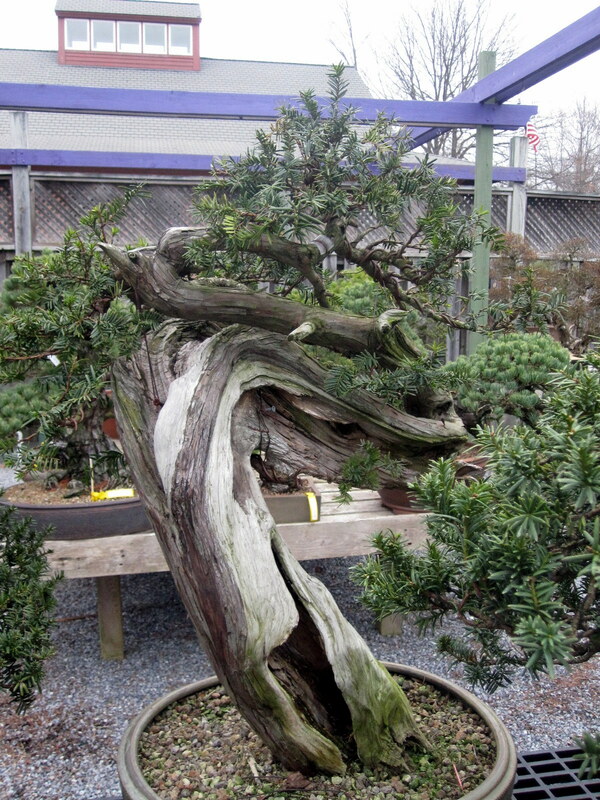 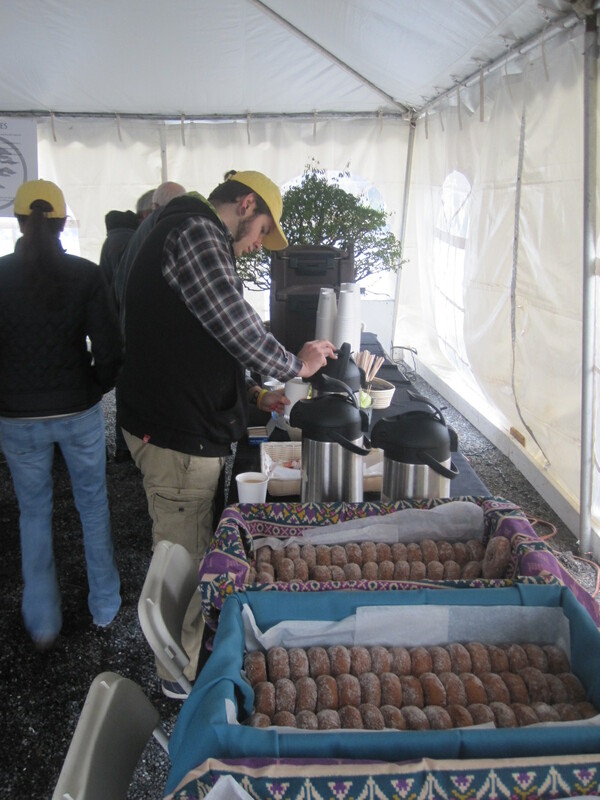 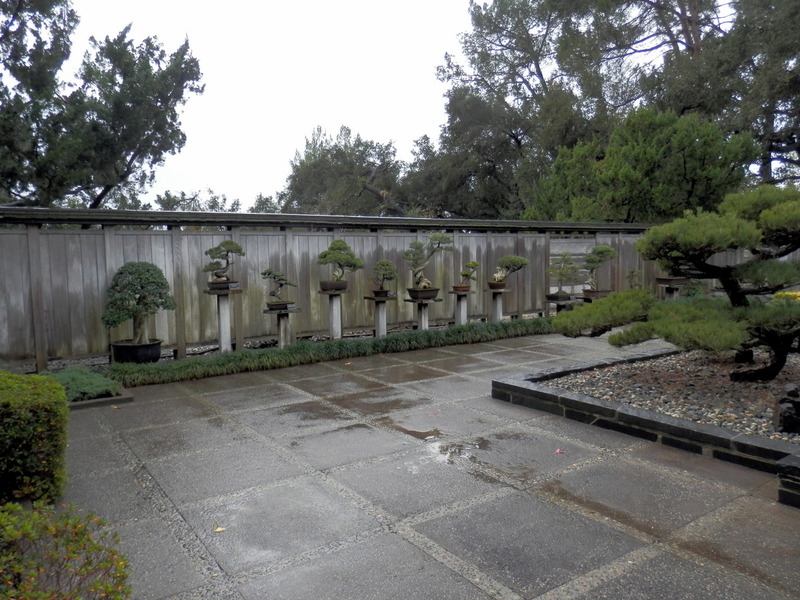 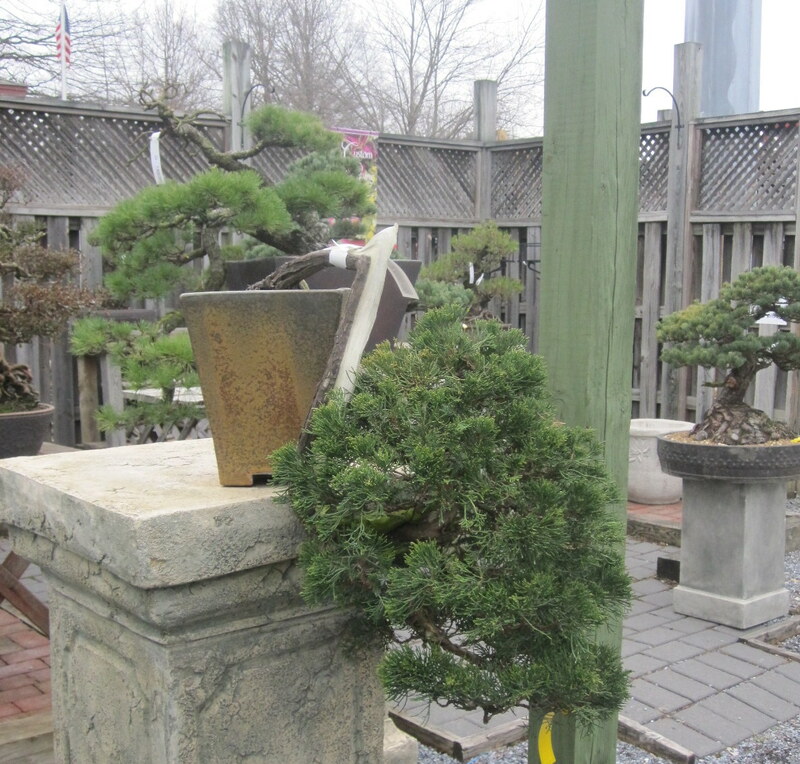 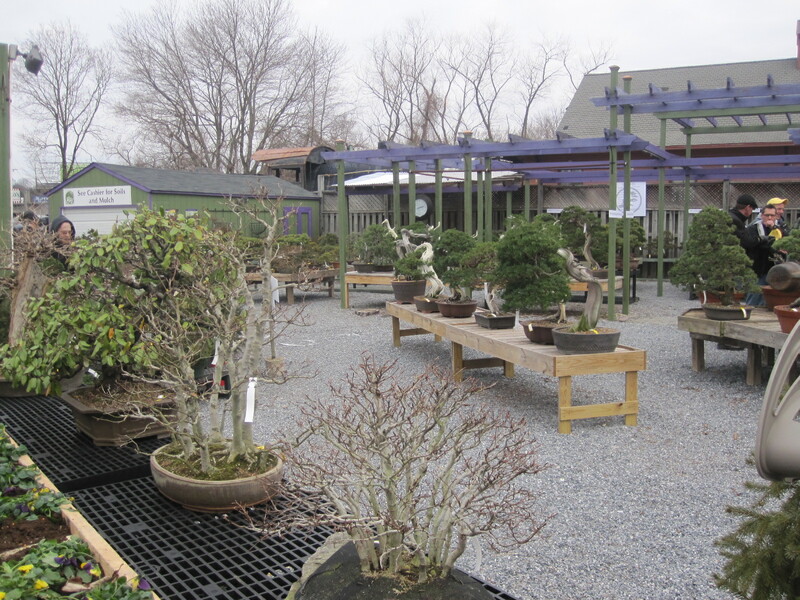 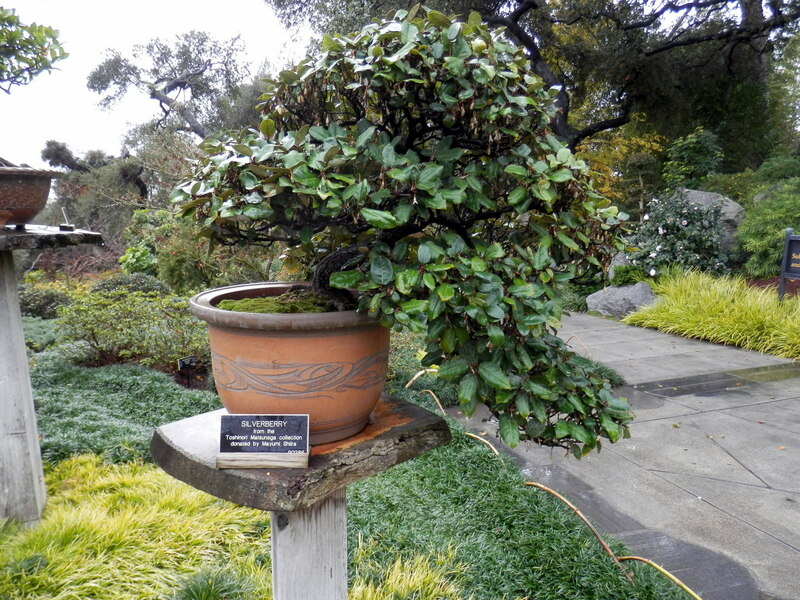 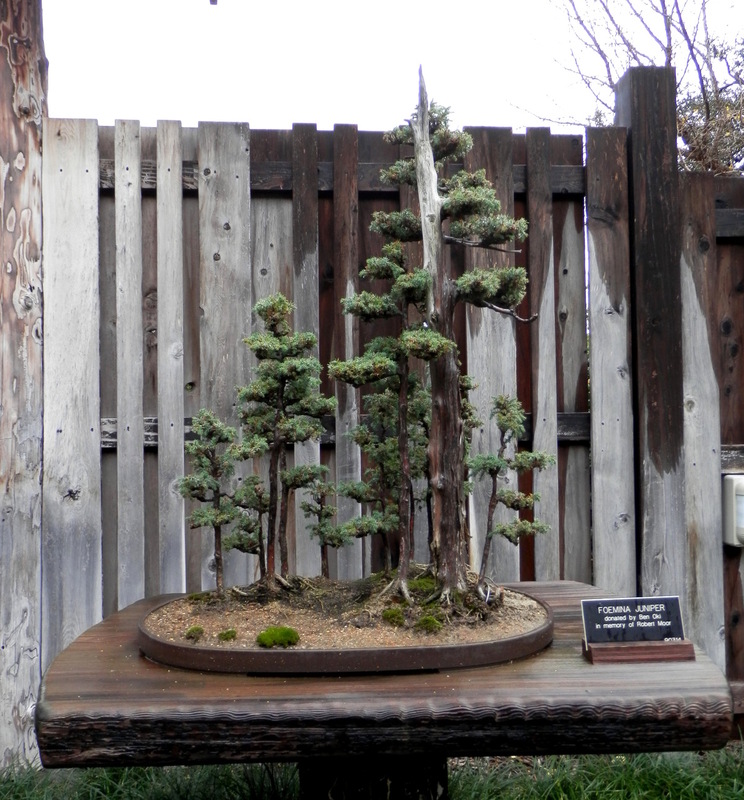 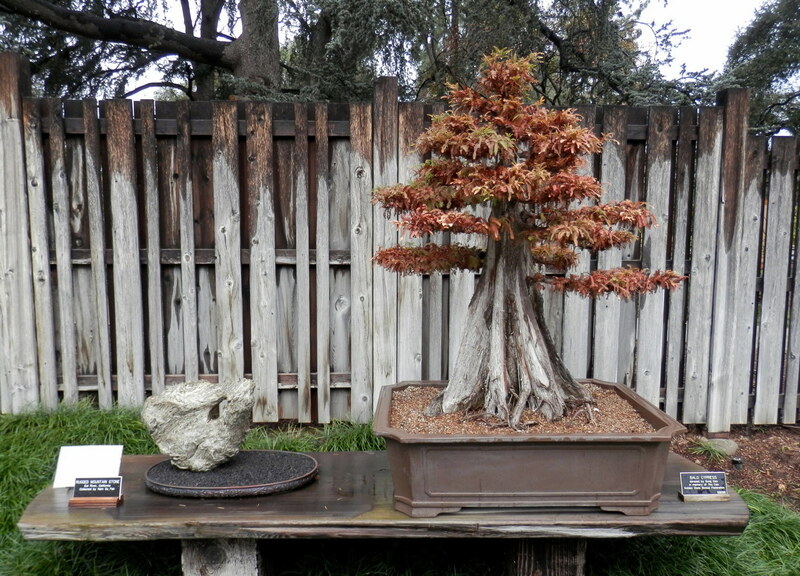 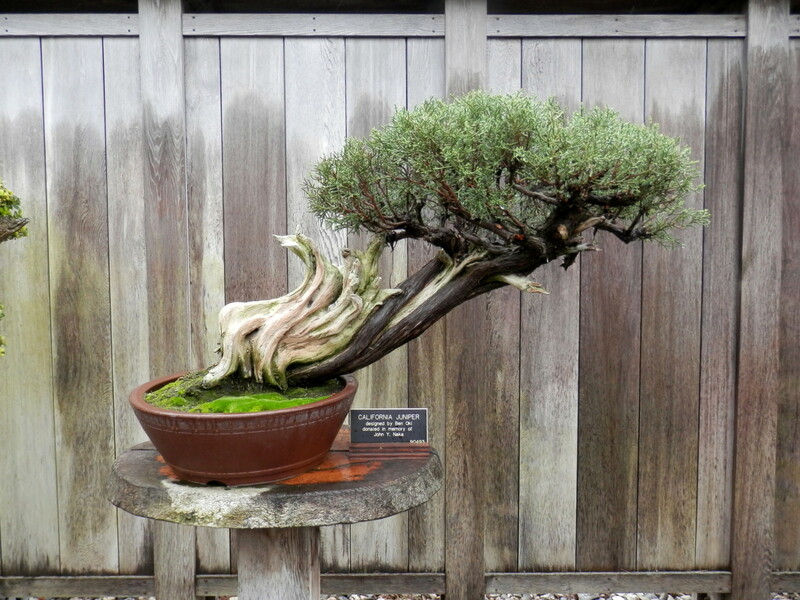 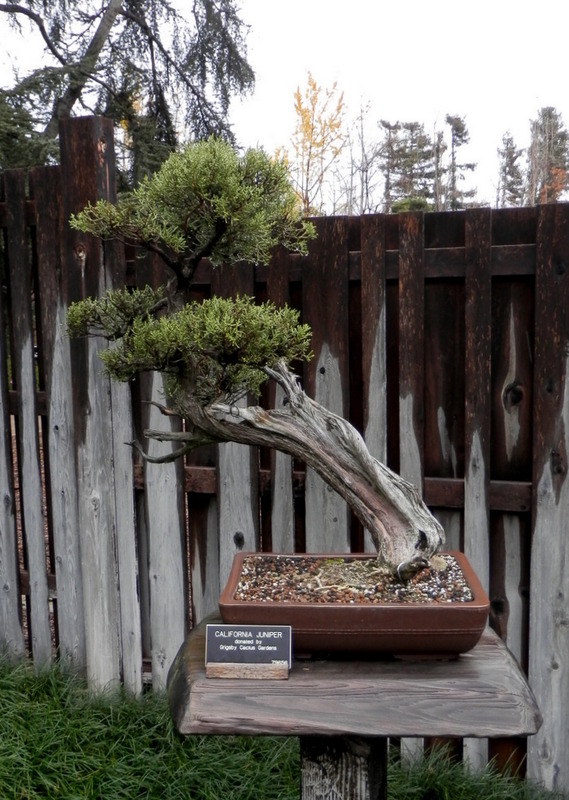 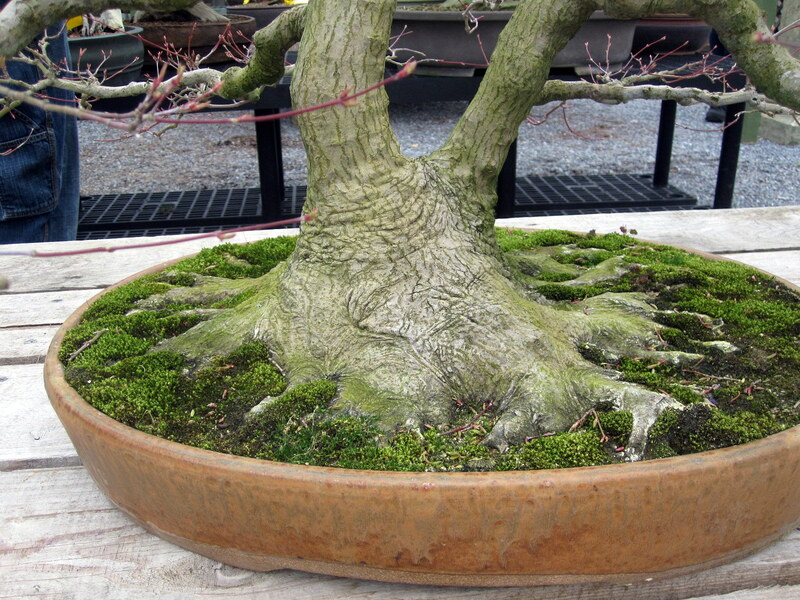 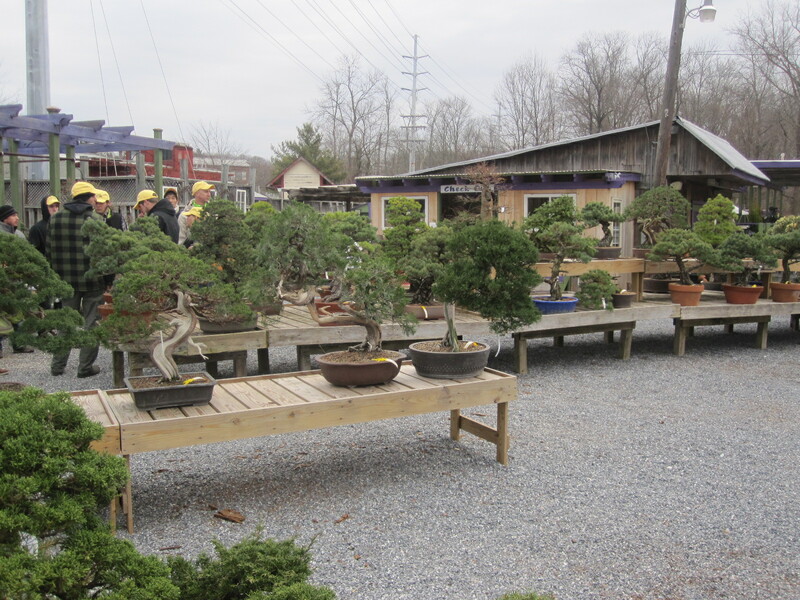 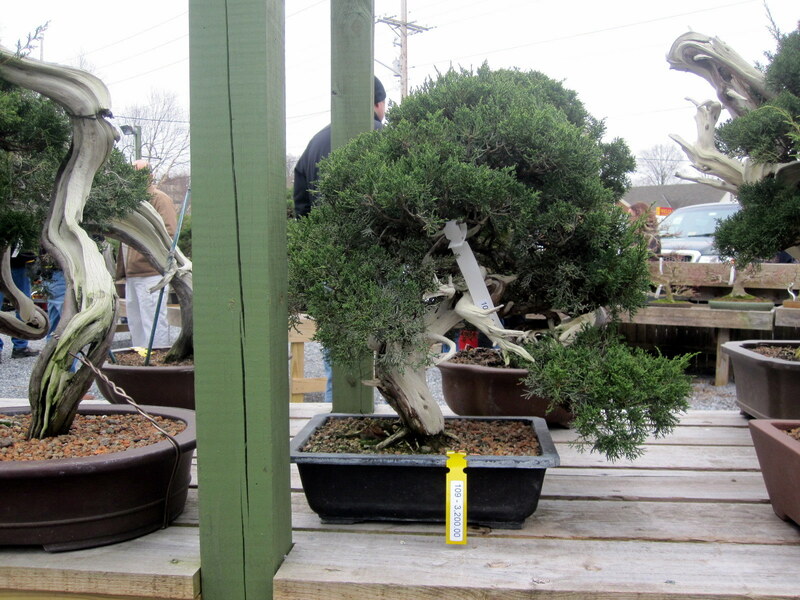 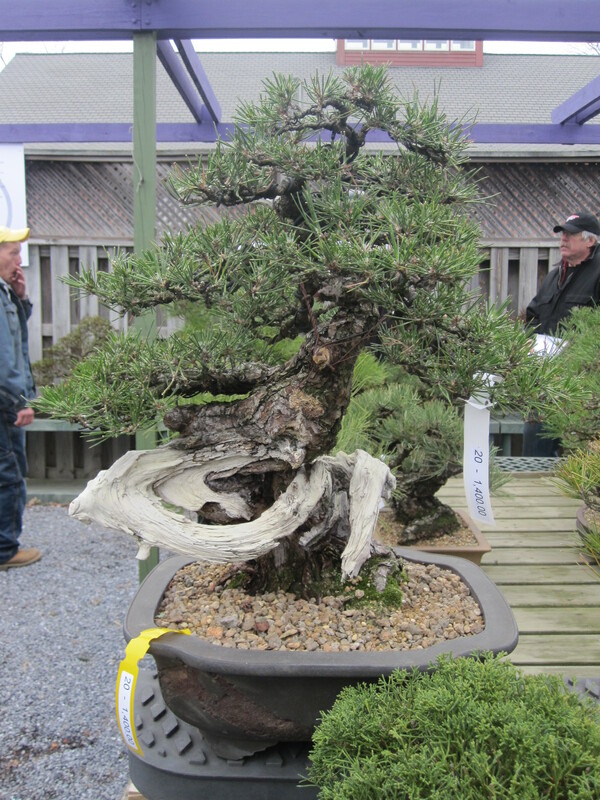 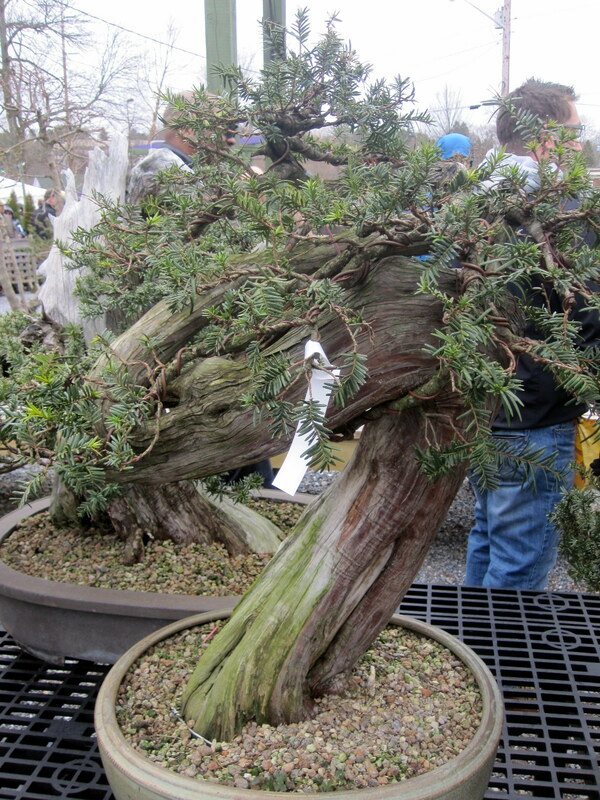 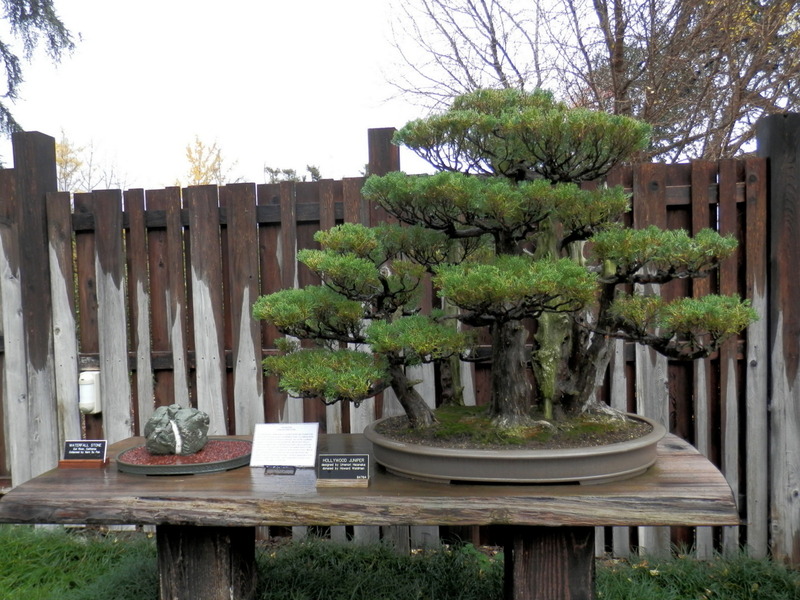 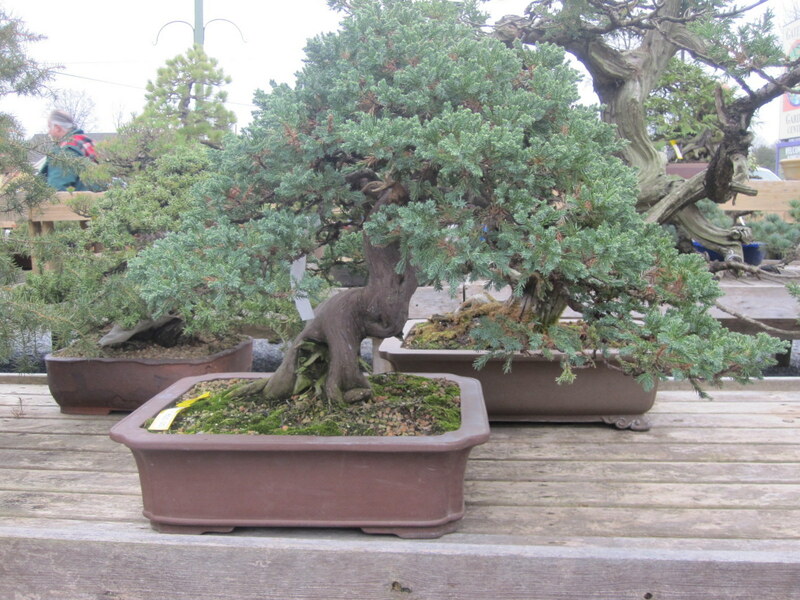 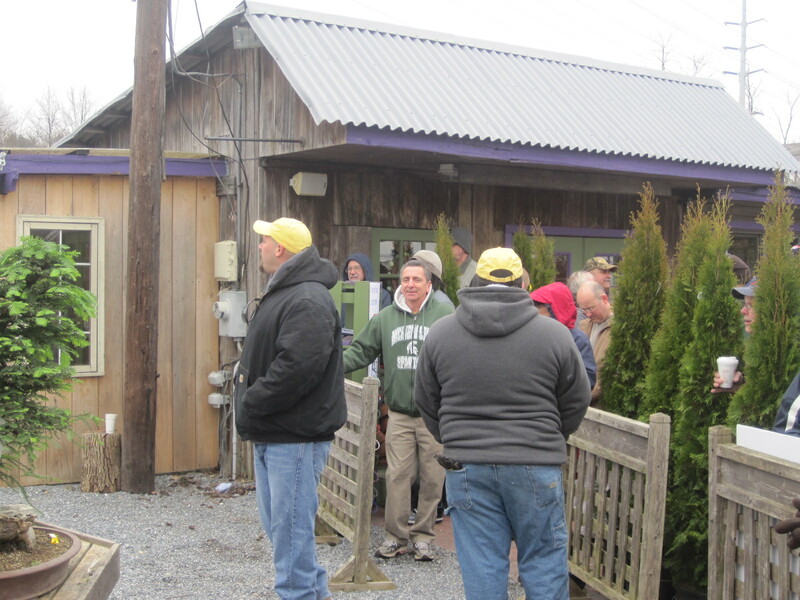 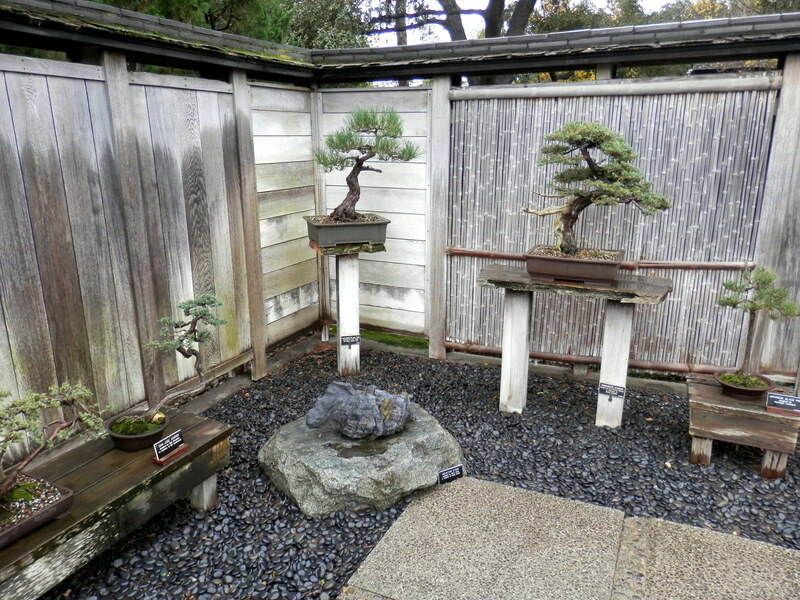 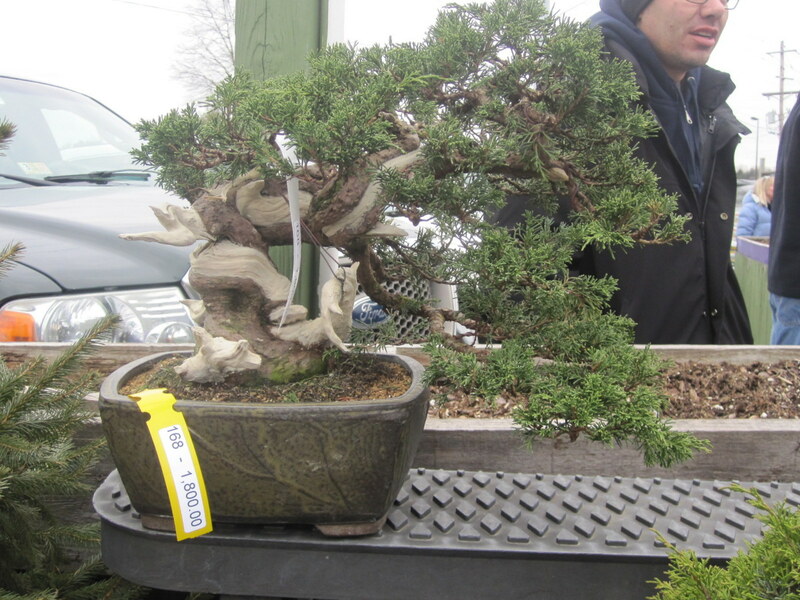 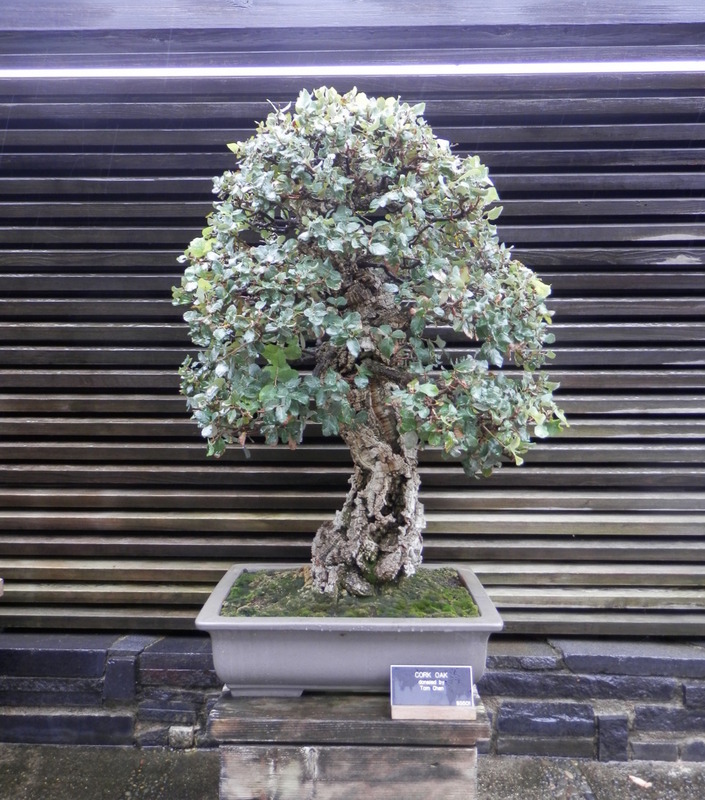 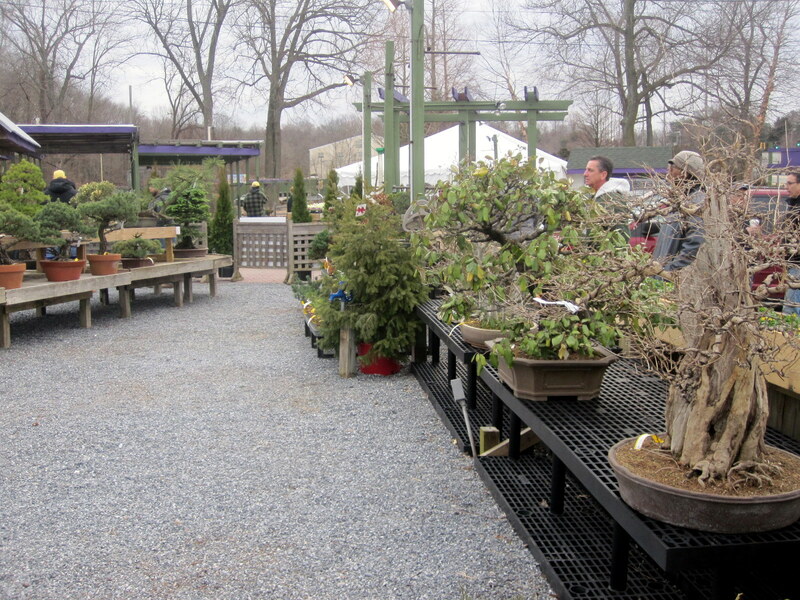 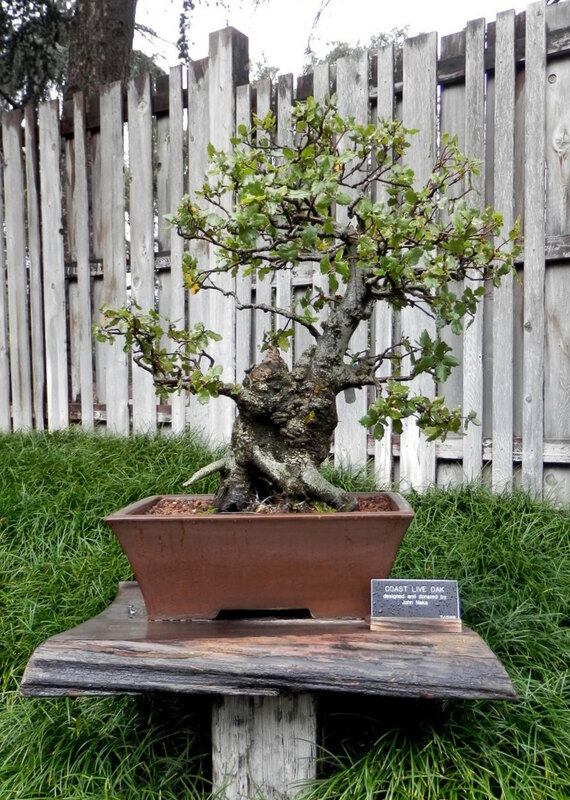 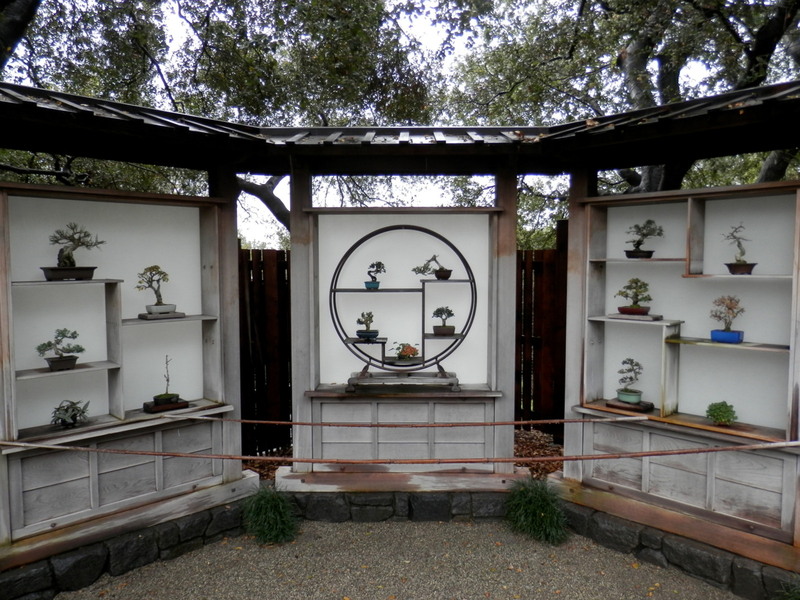 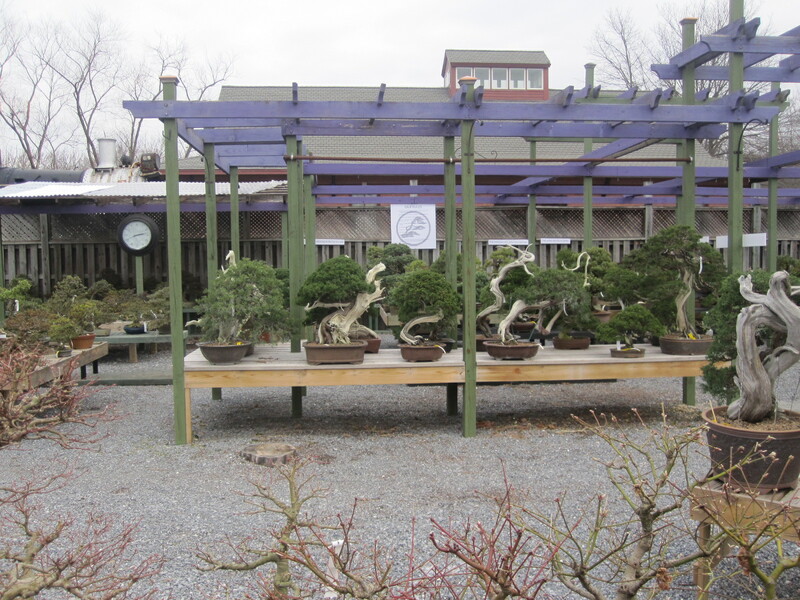 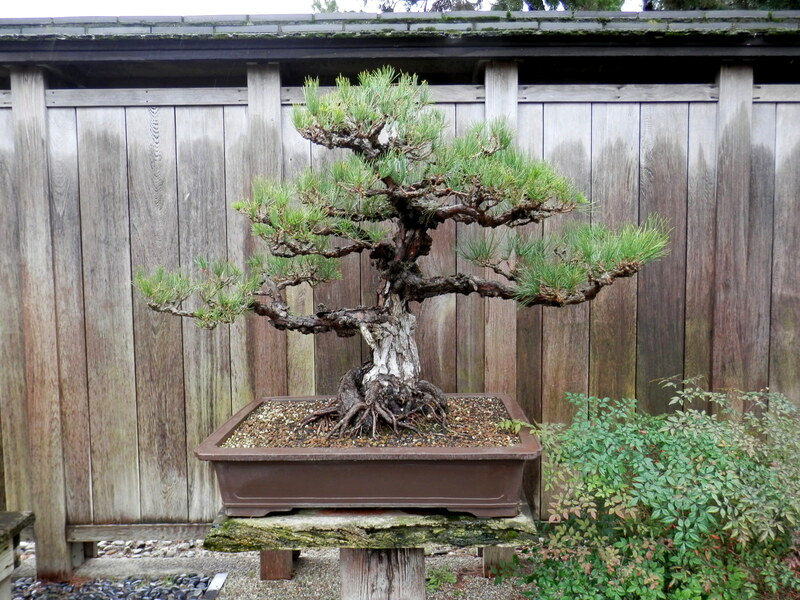 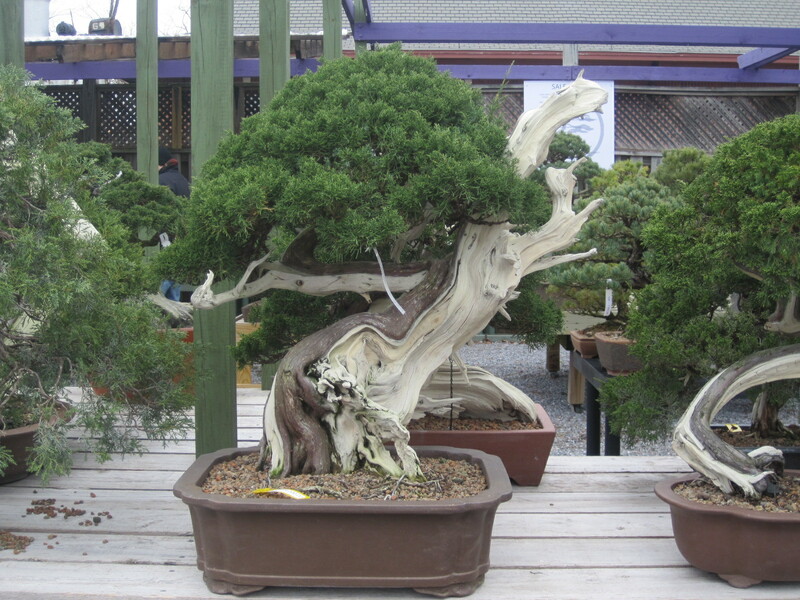 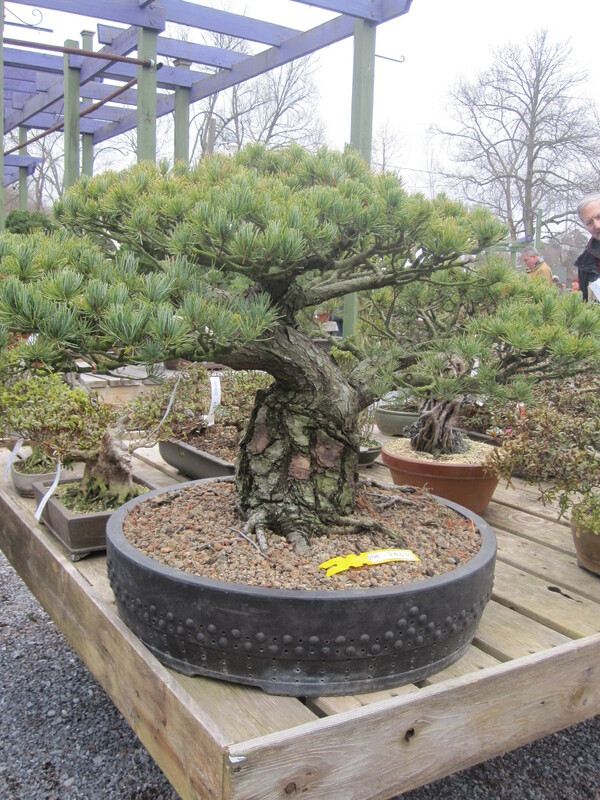 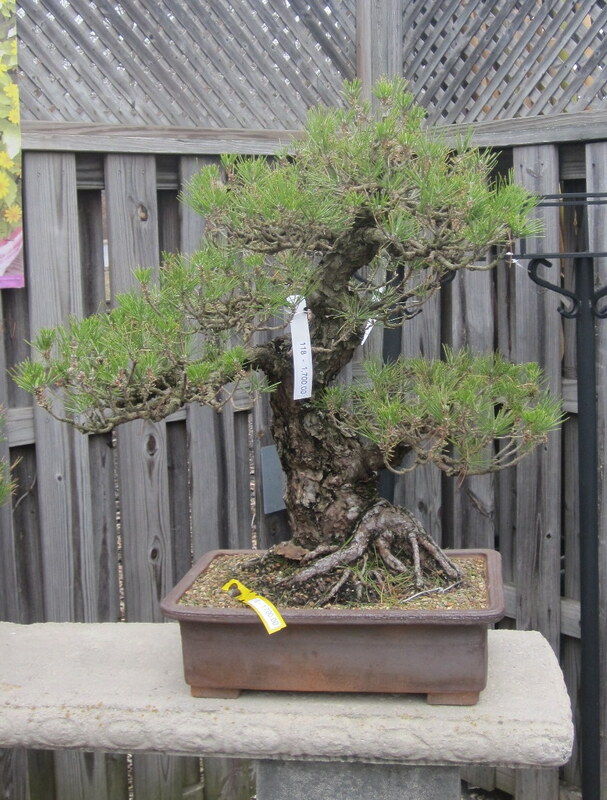 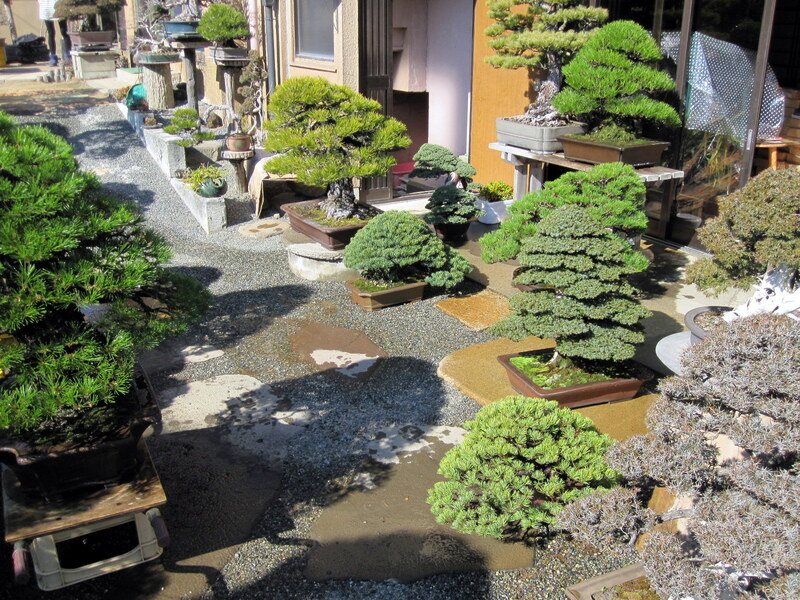 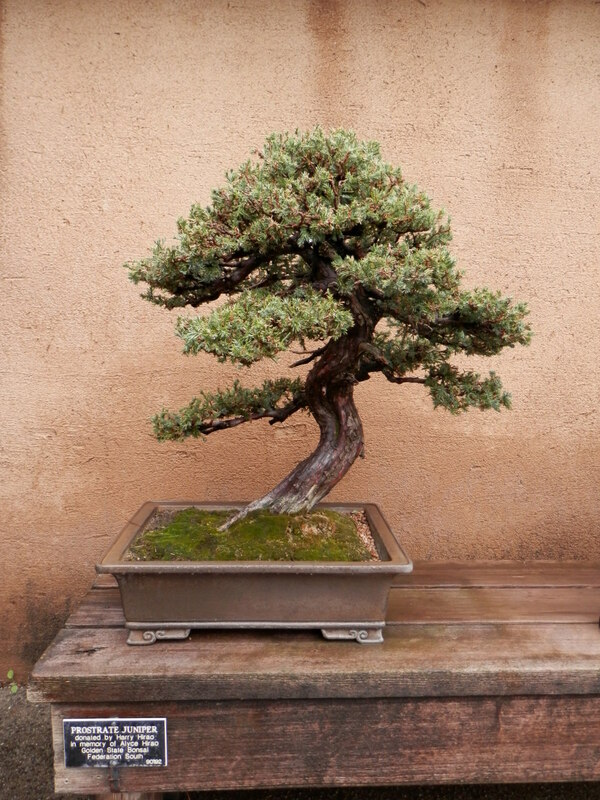 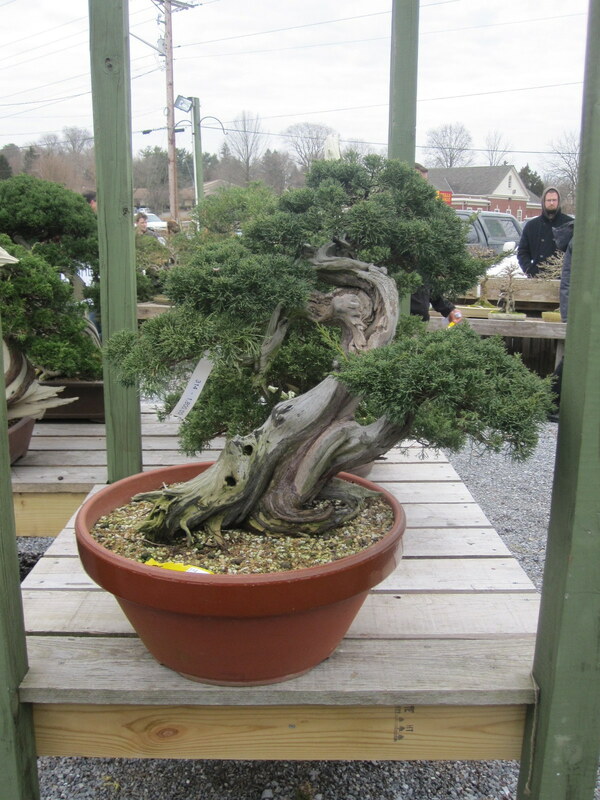 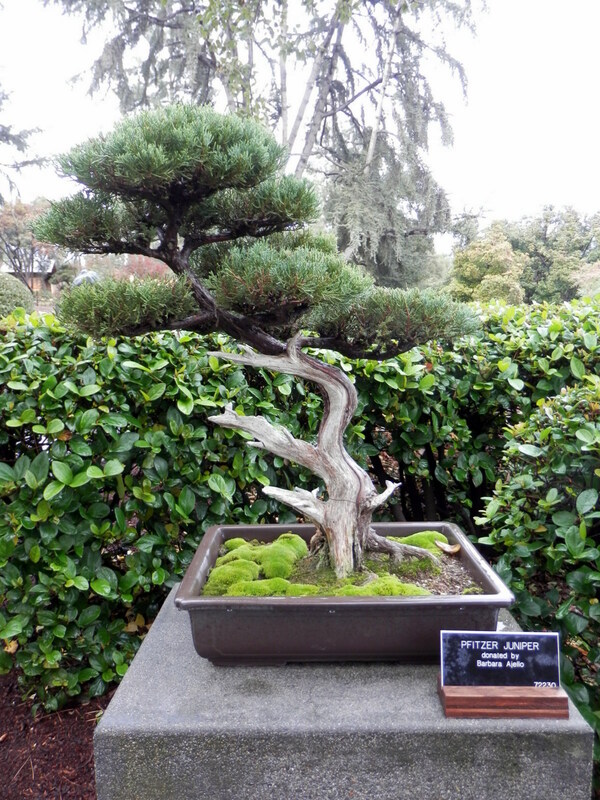 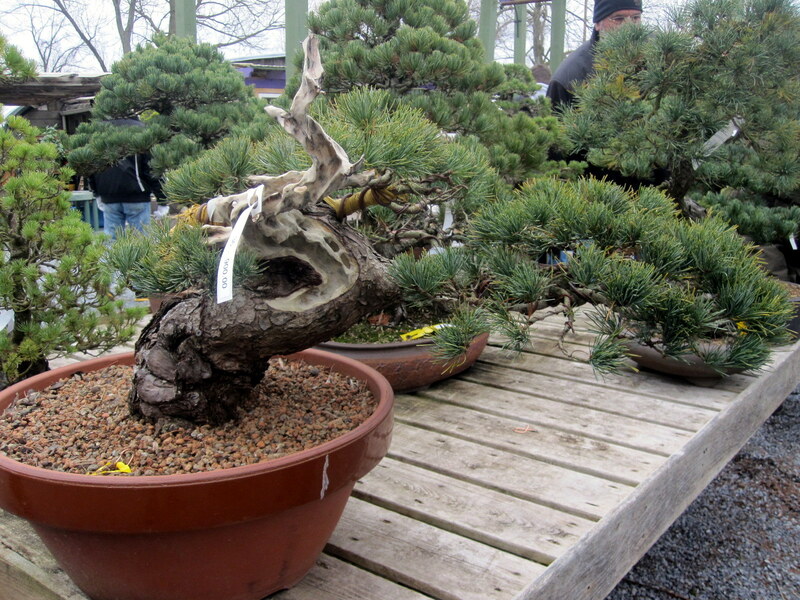 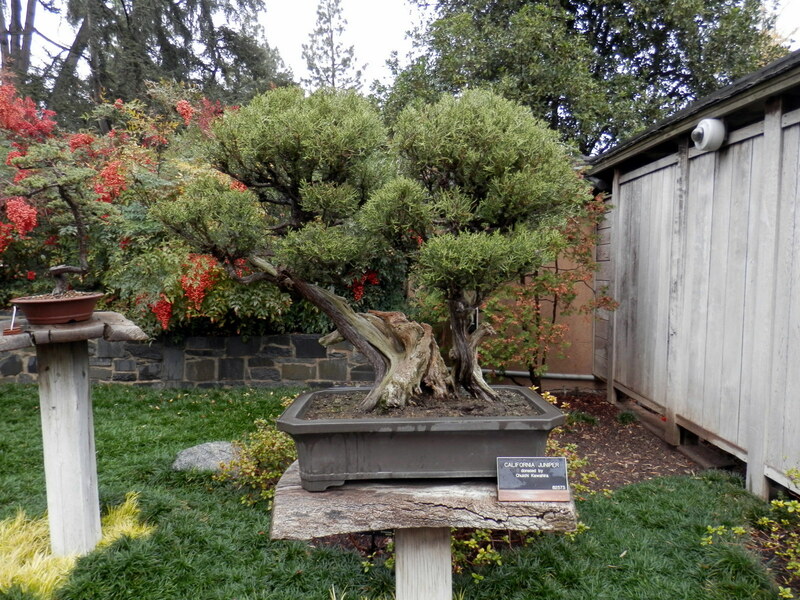 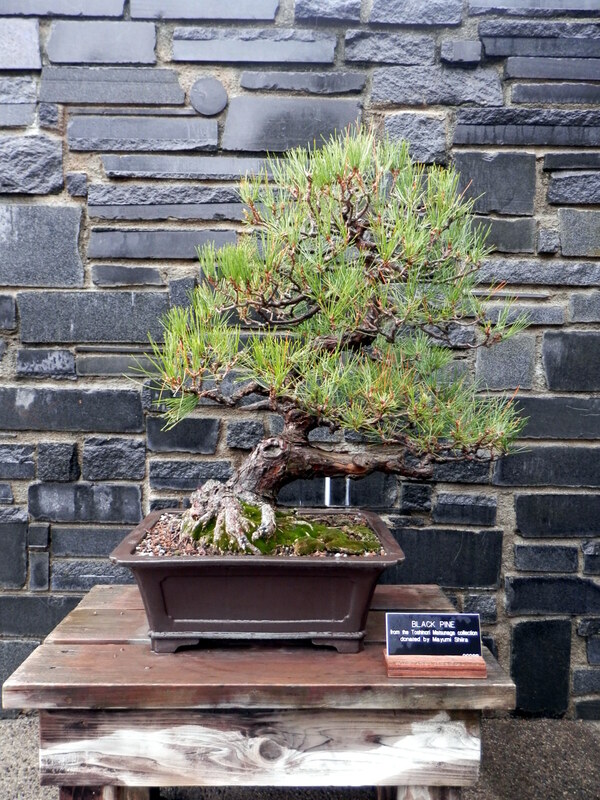 In my opinion Nature’s Way is one of the best bonsai nurseries in the Mid-Atlantic region. 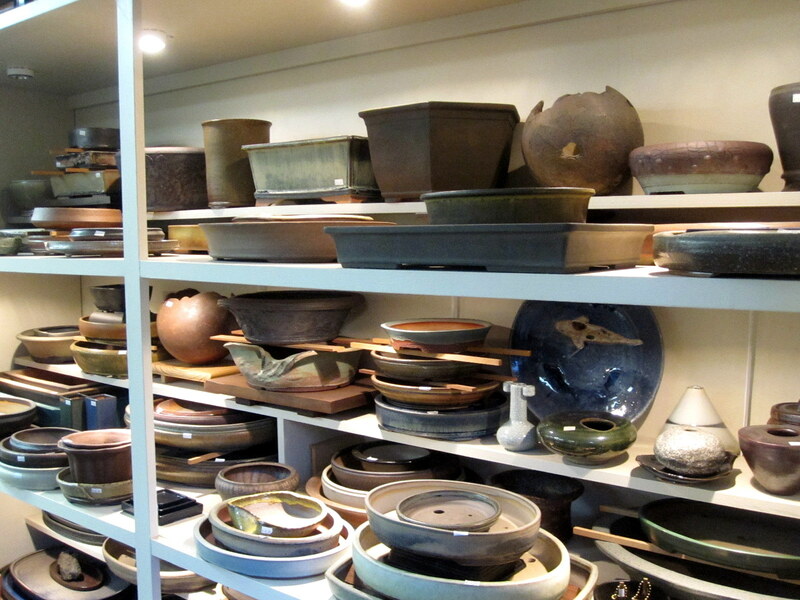 and a great selection of imported and custom pots. 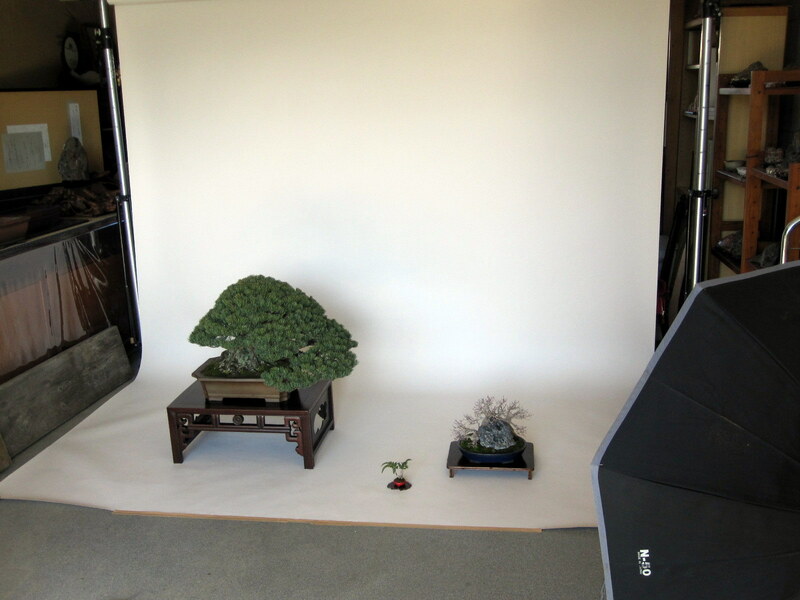 Having taught workshops myself, I’m aware of the challenges when working with a large group like we had. 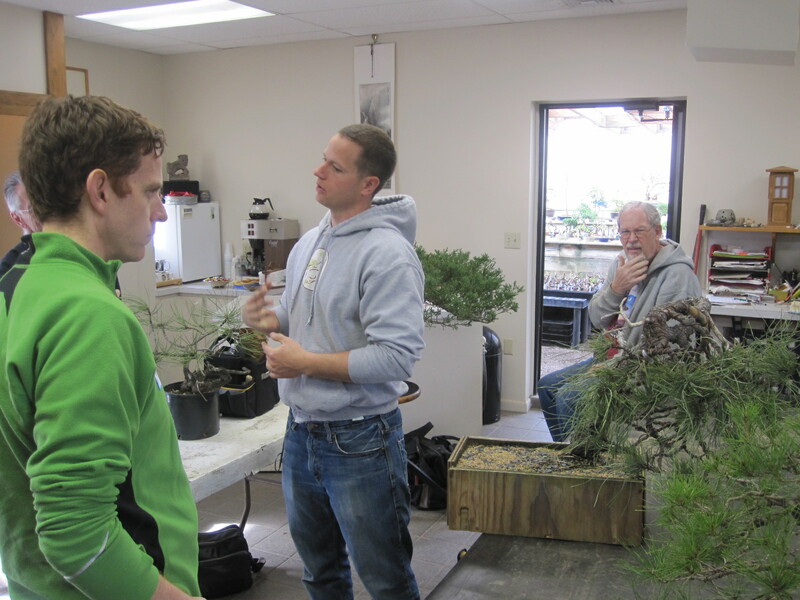 Ryan did a great job of managing his time between everyone while including the group when he was working with each person. 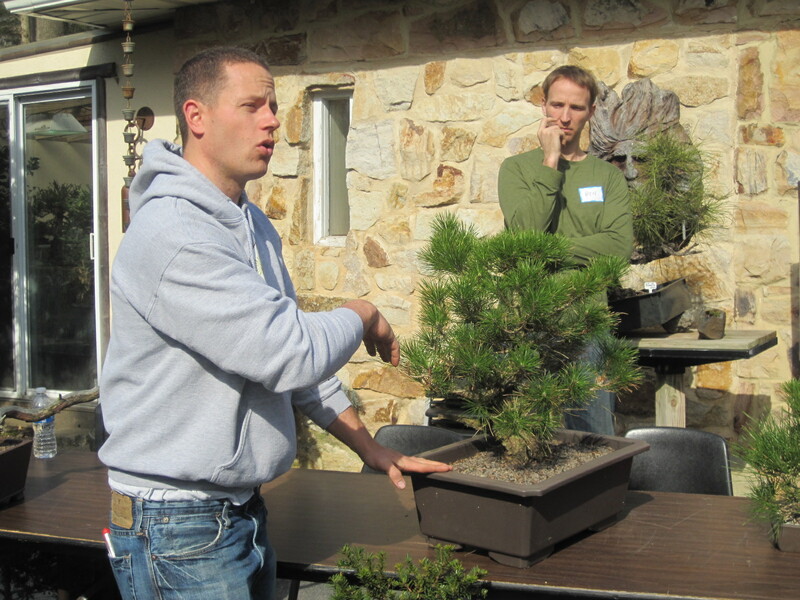 I was amazed by the quantity of knowledge Ryan was able to communicate to the group. 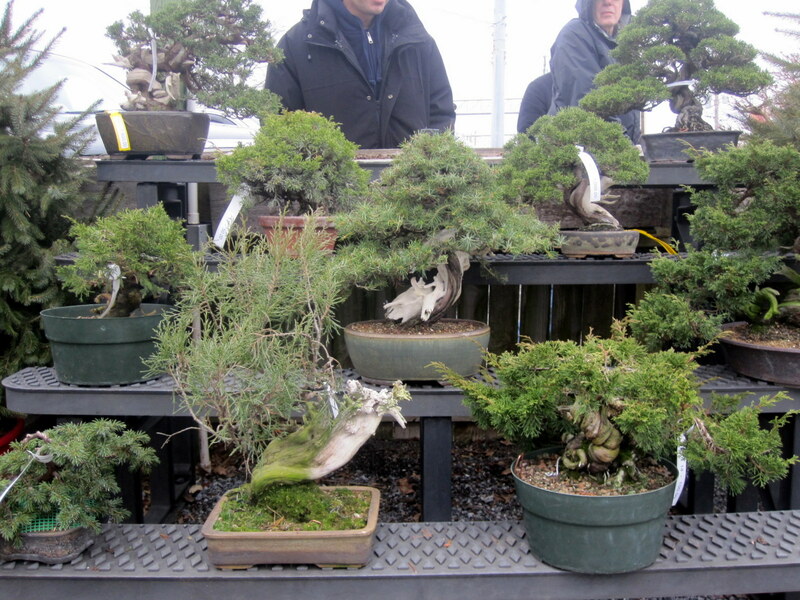 For 8 hours he simultaneously worked on trees while also discussing almost any aspect of bonsai you could imagine. 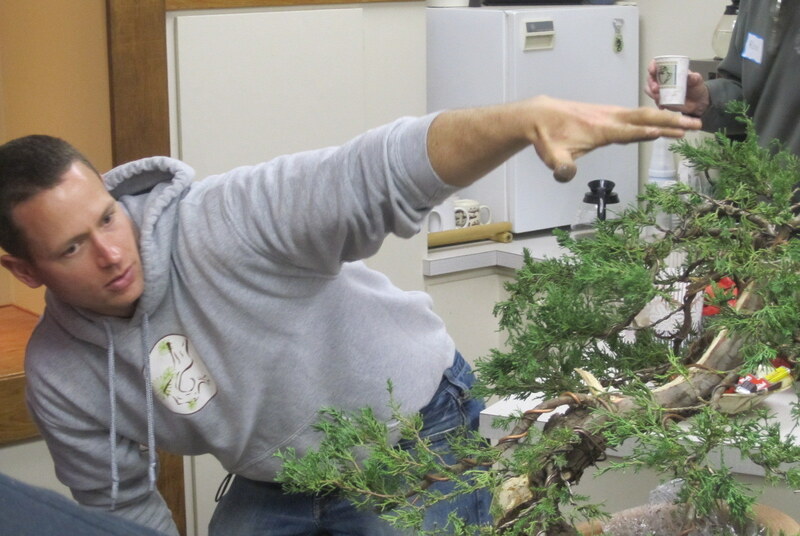 For me, the most refreshing thing about working with Ryan was his humility. 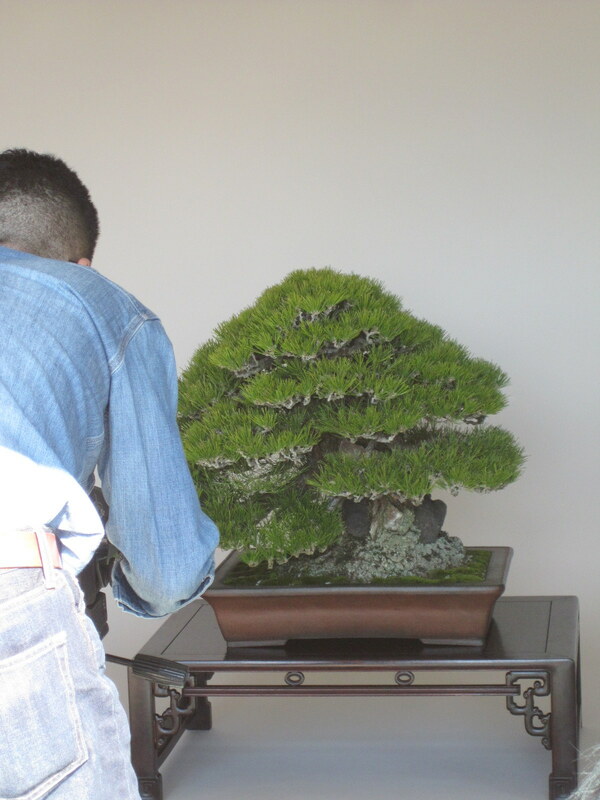 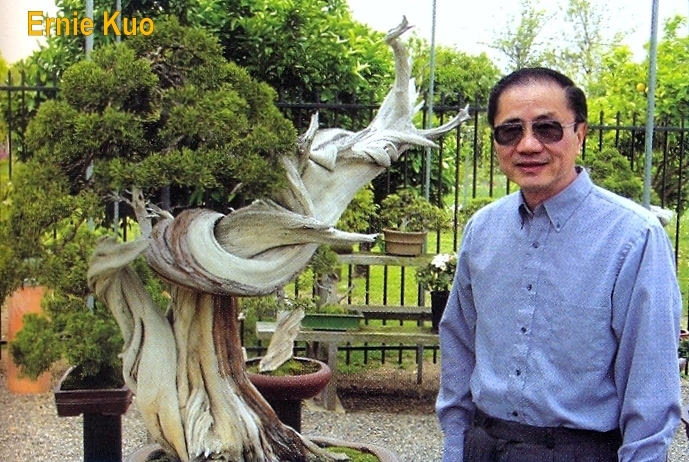 He worked with each student and did not present his ideas as ultimate.He also did something I’ve never seen from a bonsai professional and that was to asked for the owner’s permission before he did anything with the tree. 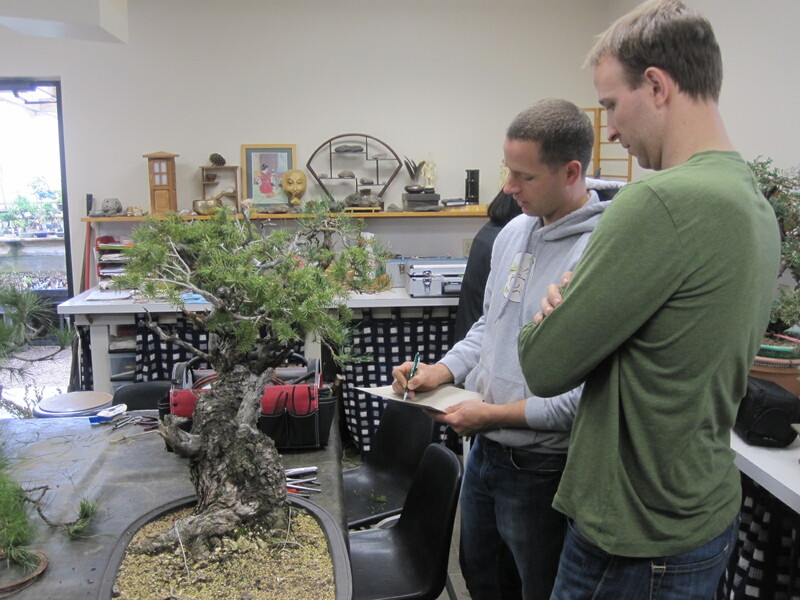 Here he is showing Ben two possible design’s for his Douglas Fir. 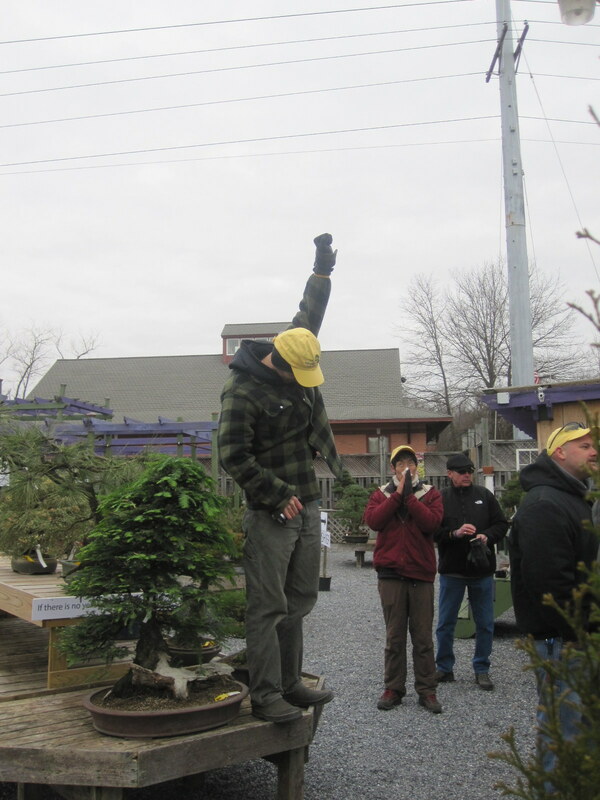 Ben decided to go with the more naturalistic style for his amazing Doug Fir which he collected himself. 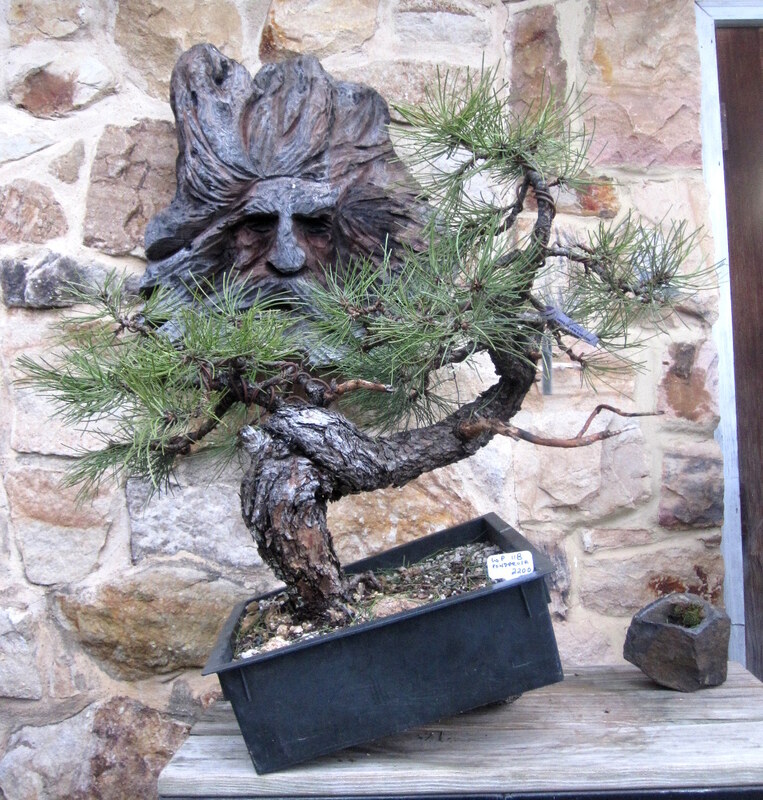 The tree I brought was an Itoigawa Juniper. 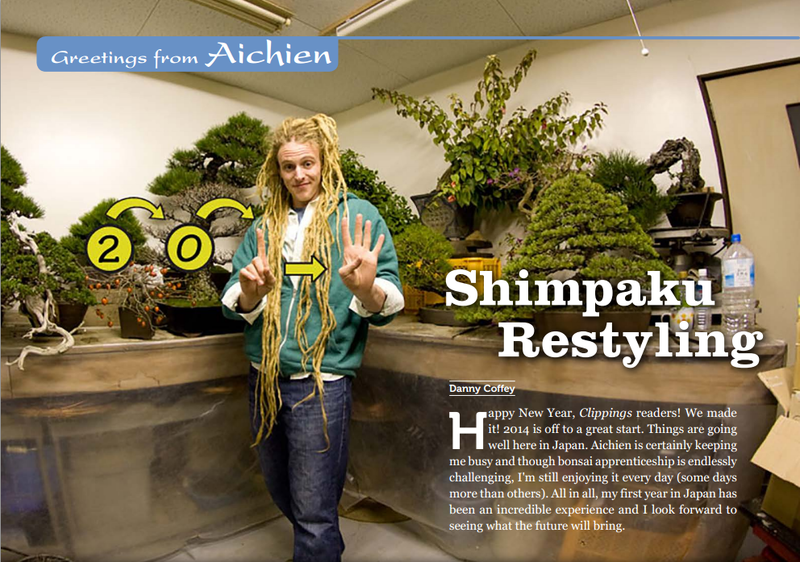 I felt like the design was okay but I wanted to see if I could take it to the next level. 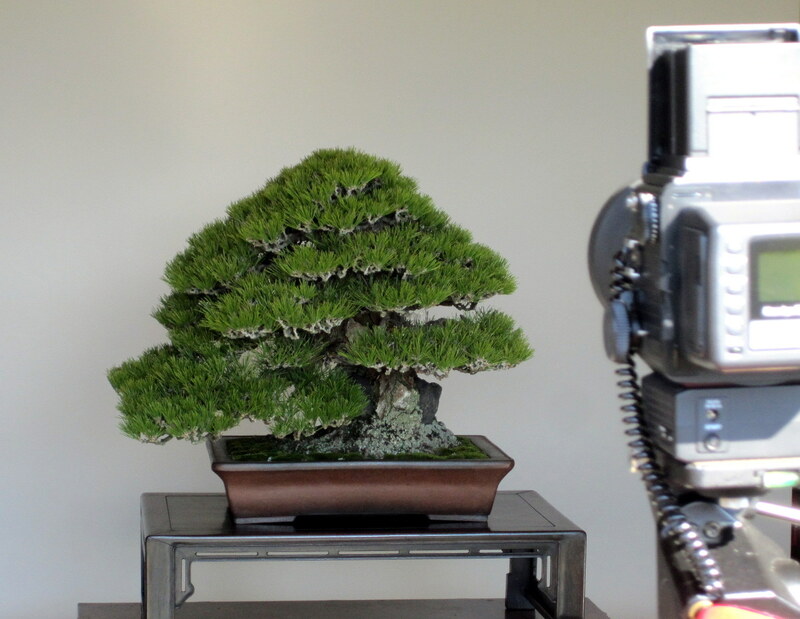 Sometimes when you look at one of your trees for a long time you need a fresh perspective to see the potential that’s already there. 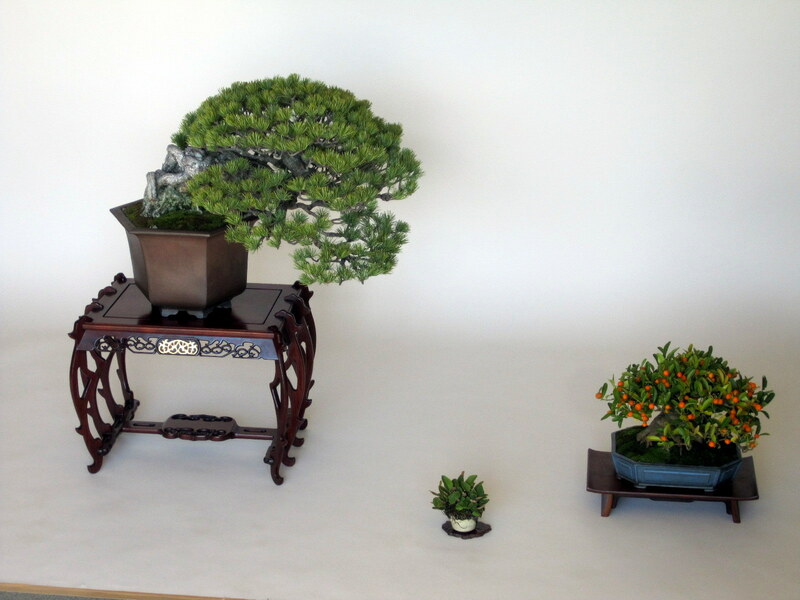 Here is my tree after the workshop. 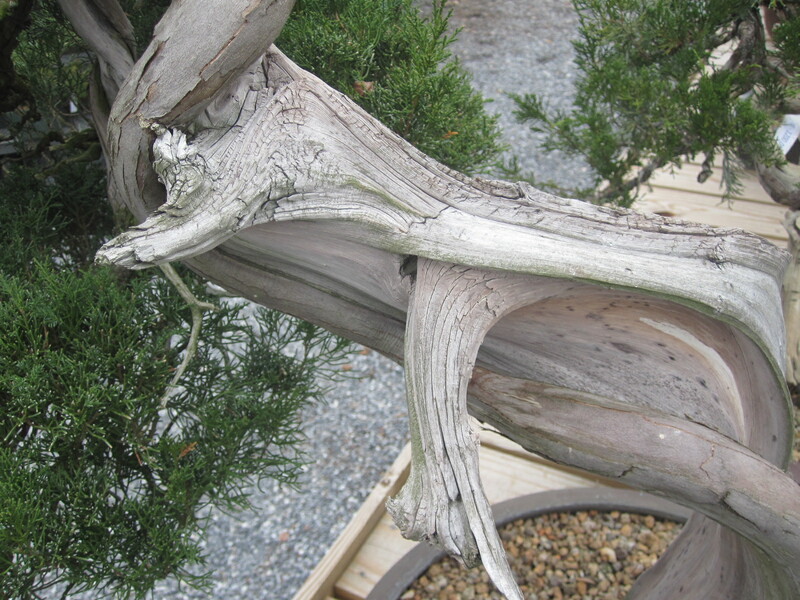 The front was rotated 90 degrees counterclockwise and the tree was slightly angled toward the viewer. 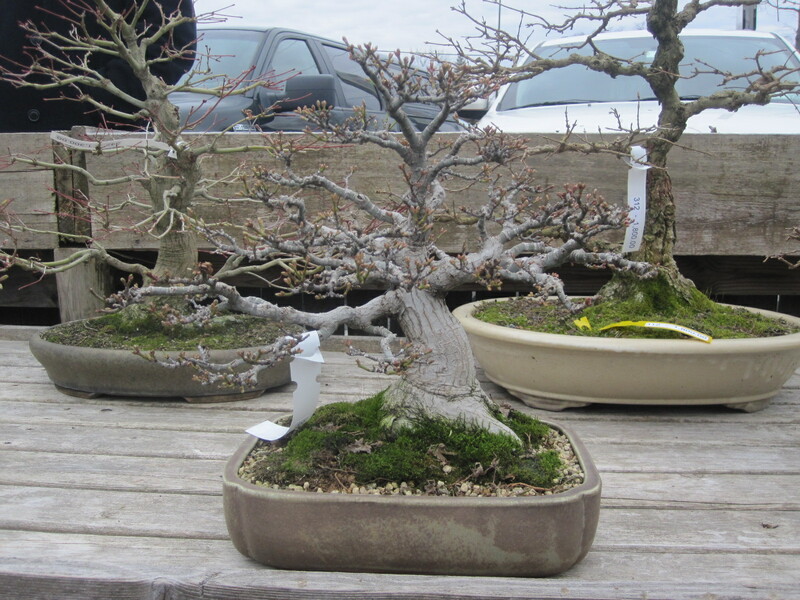 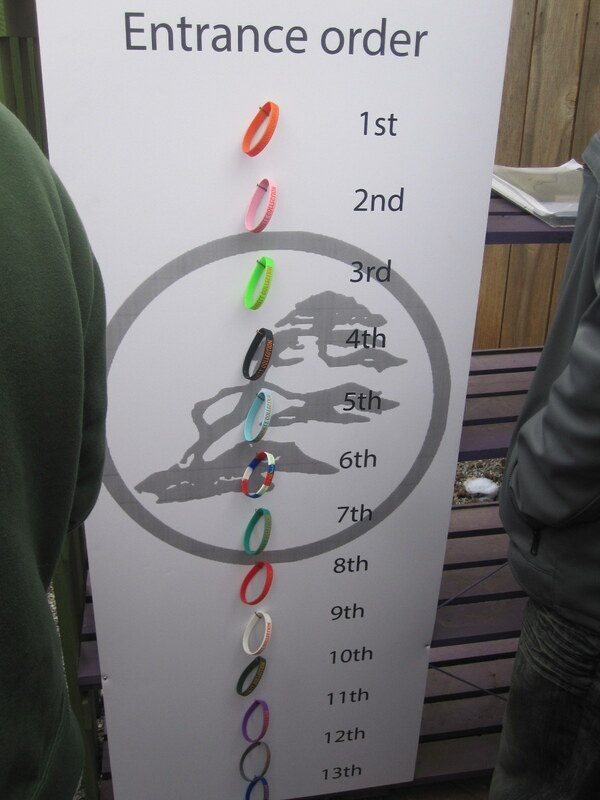 We connected some of the existing jin’s with a shari, then continued it up the trunk. 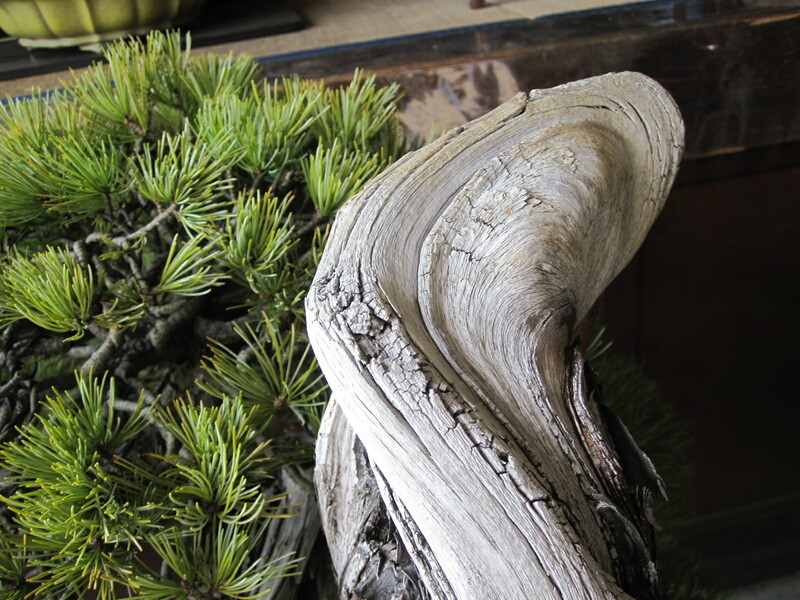 Ryan said I should wait for the freshly exposed wood to dry a little before applying lime sulfur. 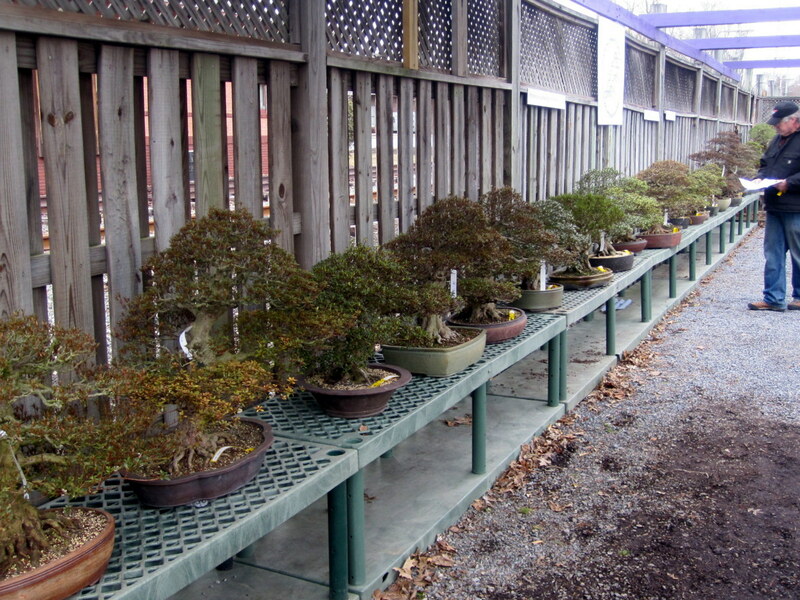 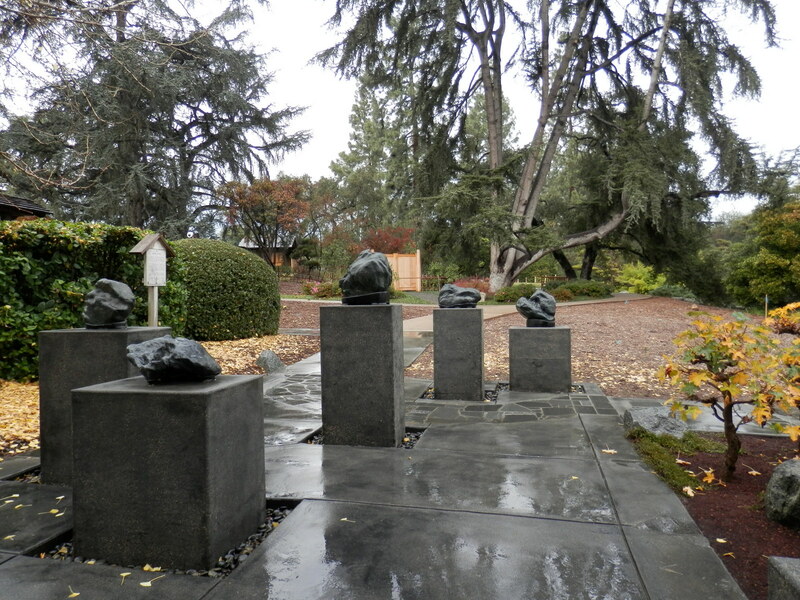 The foliage was thinned and the branches were arranged into smaller pads. 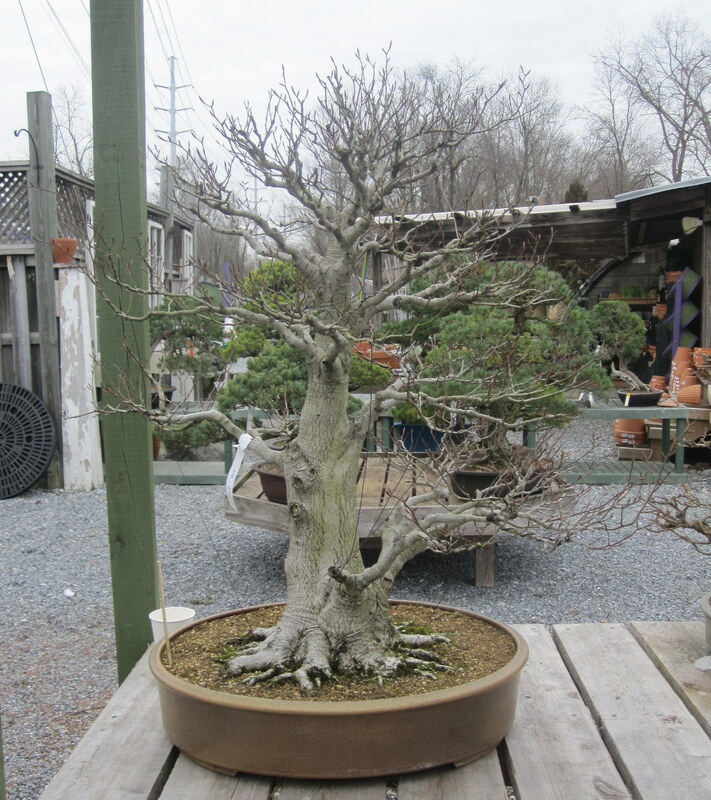 I purchased a new pot for the tree while at the Nursery and repotted it when I got home.The pot is by Nick Lenz and is a little smaller than the previous pot which makes the tree appear larger. 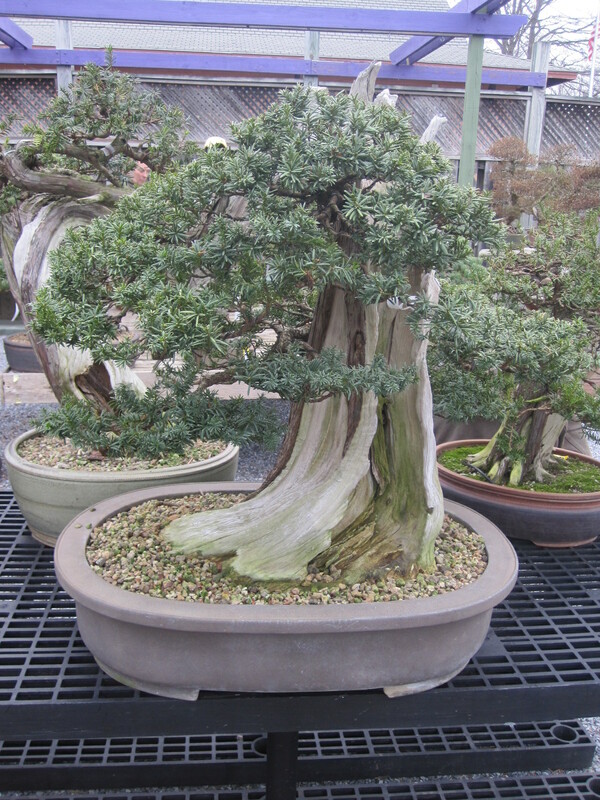 The oval shape also complements the soft curves in the trunk. 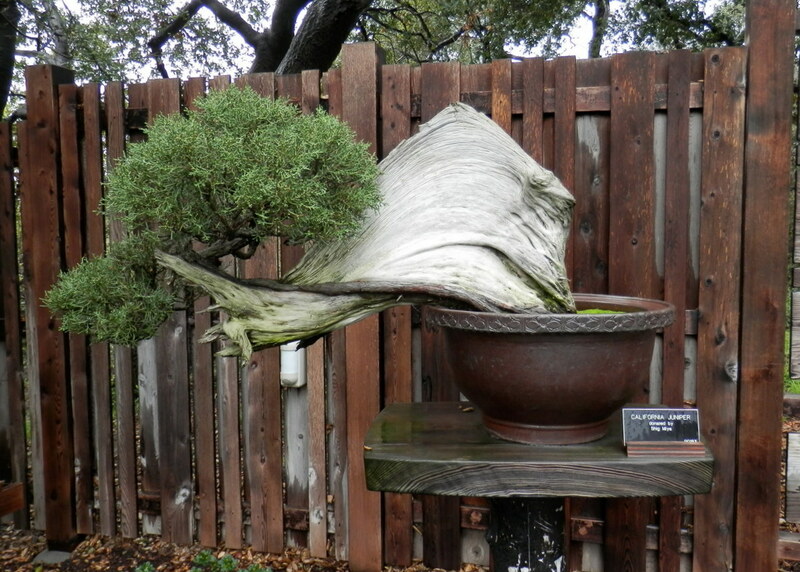 I was very please with how the tree turned out. 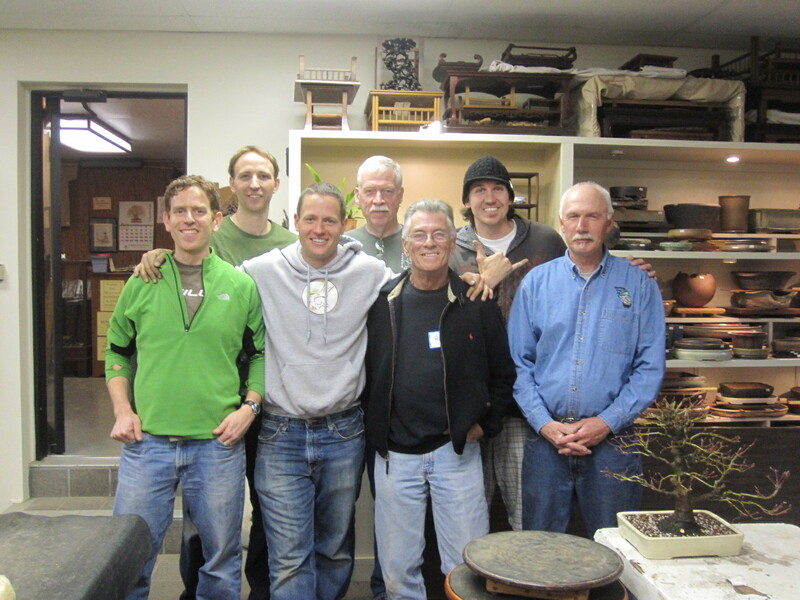 That night the drive back to D.C. went quick as my friends and I talked about all we learned and how great an experience it was. 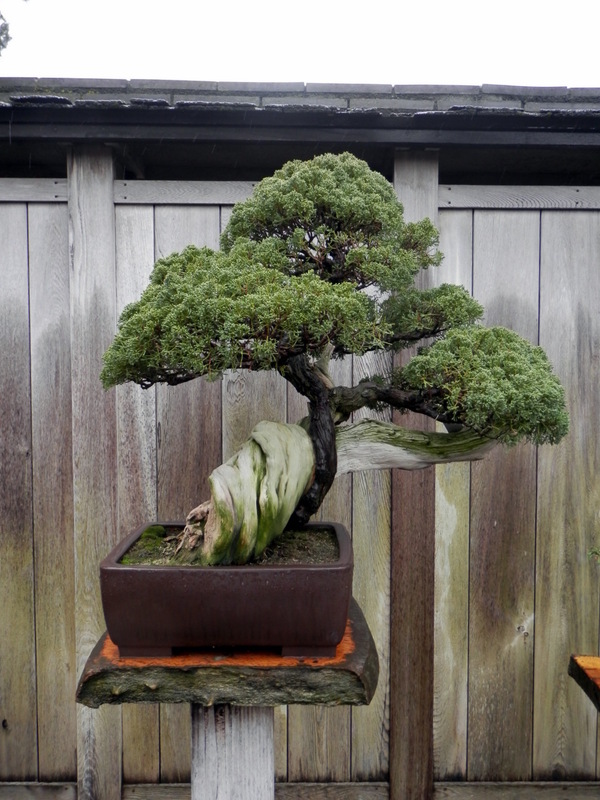 As Ryan’s reputation continues to grow, the demand to work with him will become even greater. 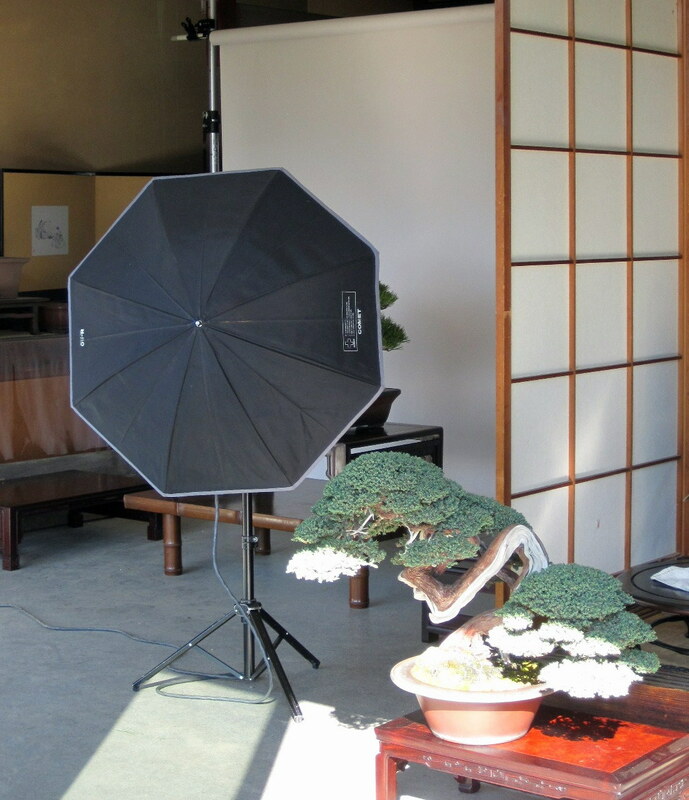 I recommend that if you have the opportunity to work with him you should take it. 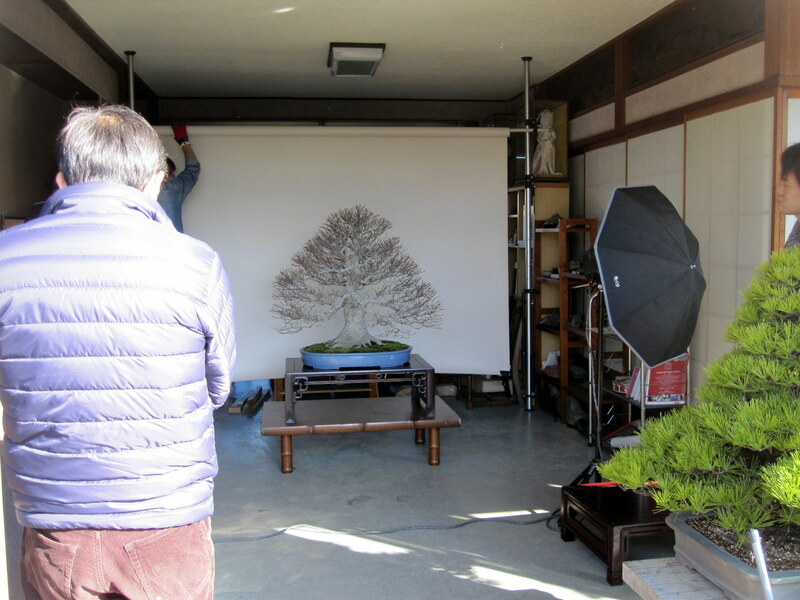 This November Ryan will be returning to Nature’s Way for another series of workshops and I am already planning my return trip.